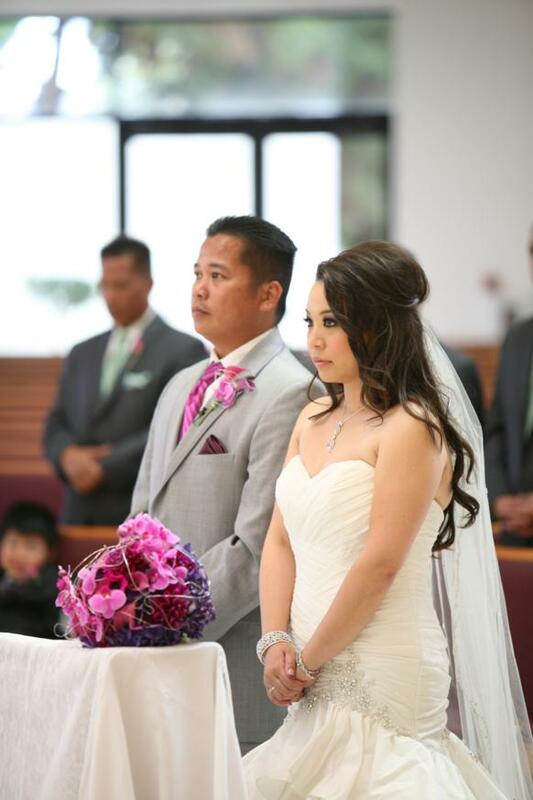 Happy 1 Year Anniversary Michelle and Kevin! 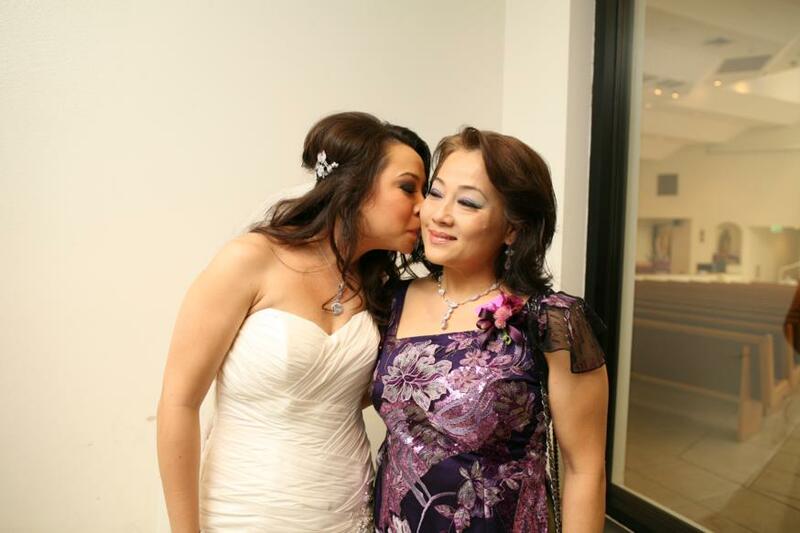 Have a wonderful time celebrating all the goodness and love in you! 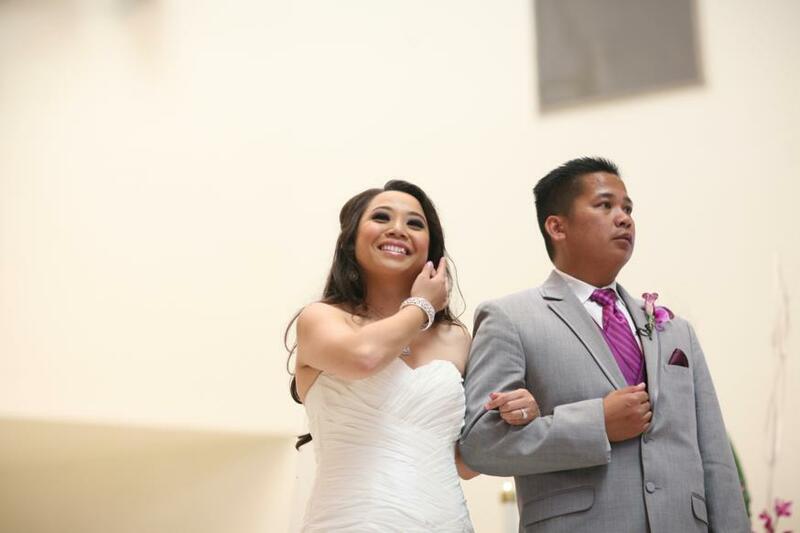 This is the moment Renrick and I have been waiting for a long long time. 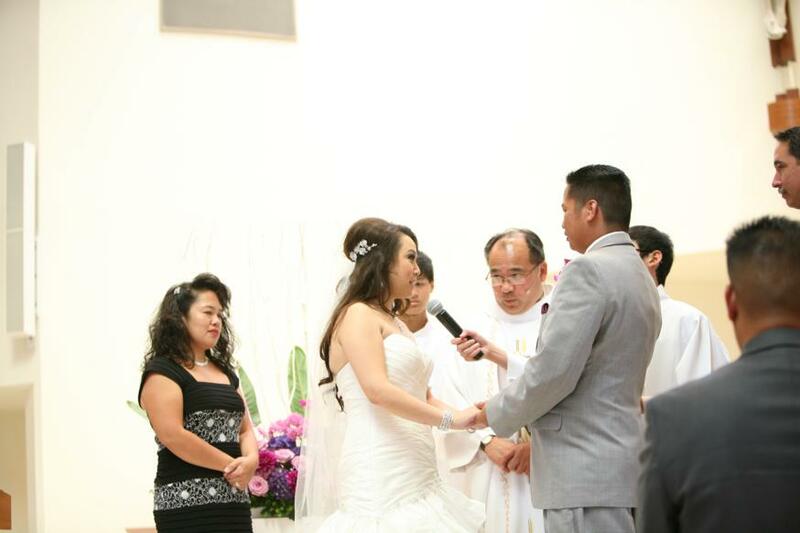 After all the things we have gone through, we were finally going to be united as husband and wife. 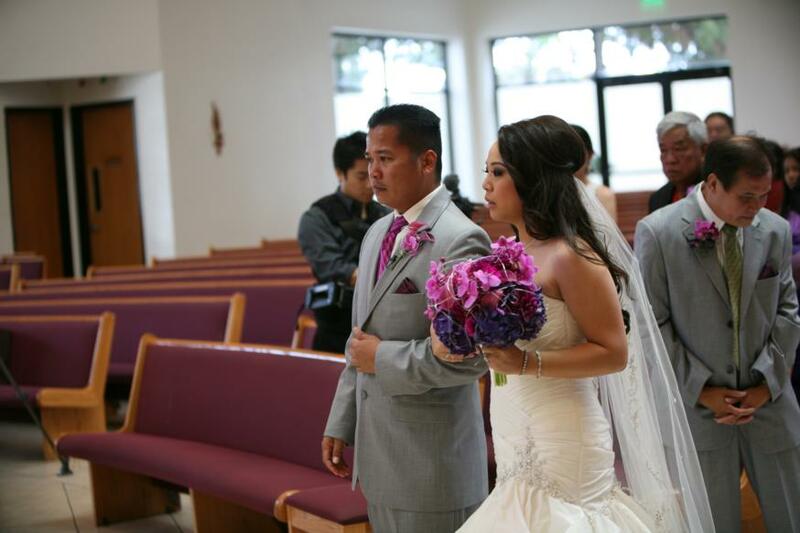 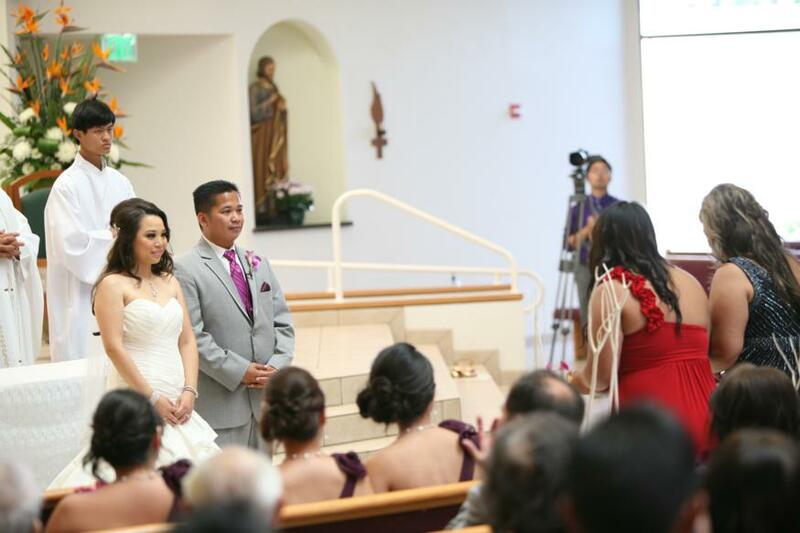 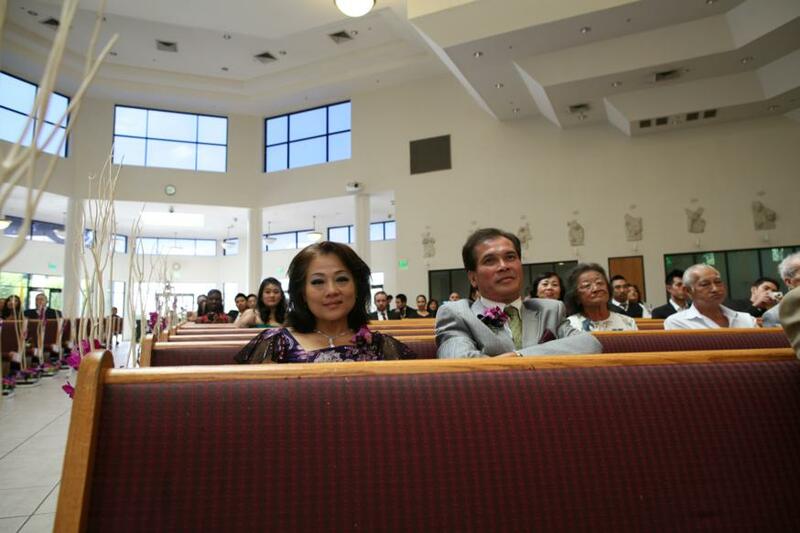 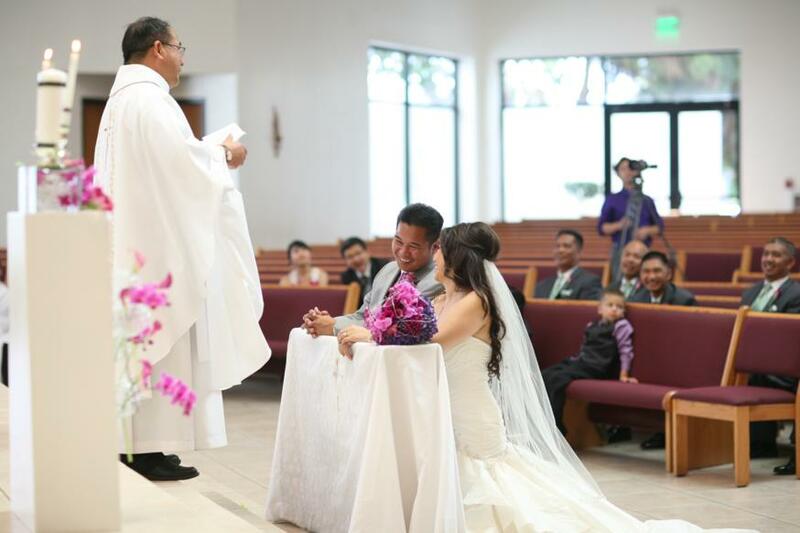 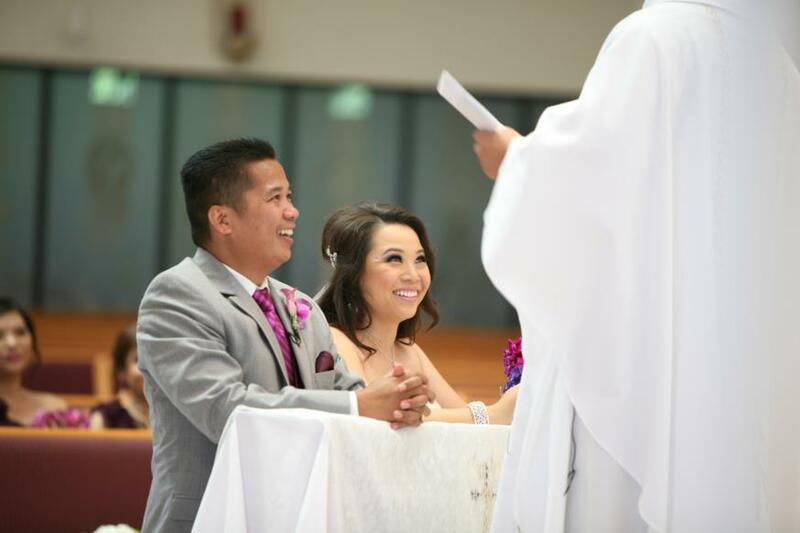 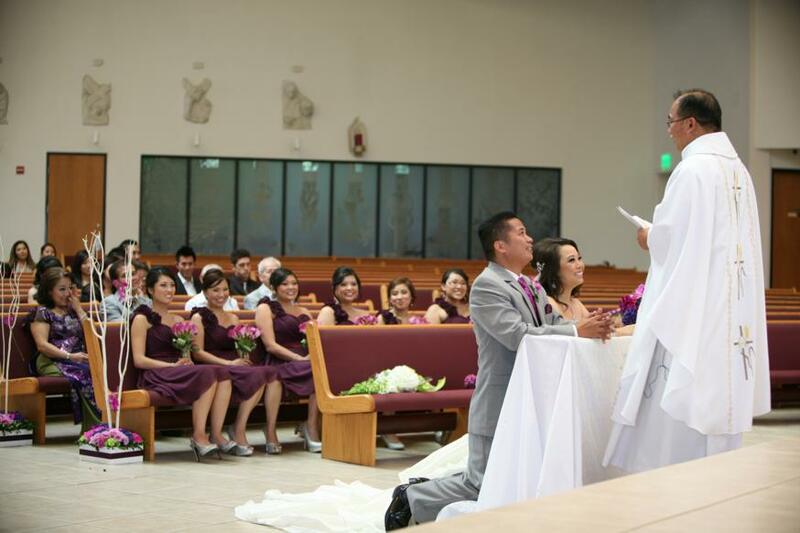 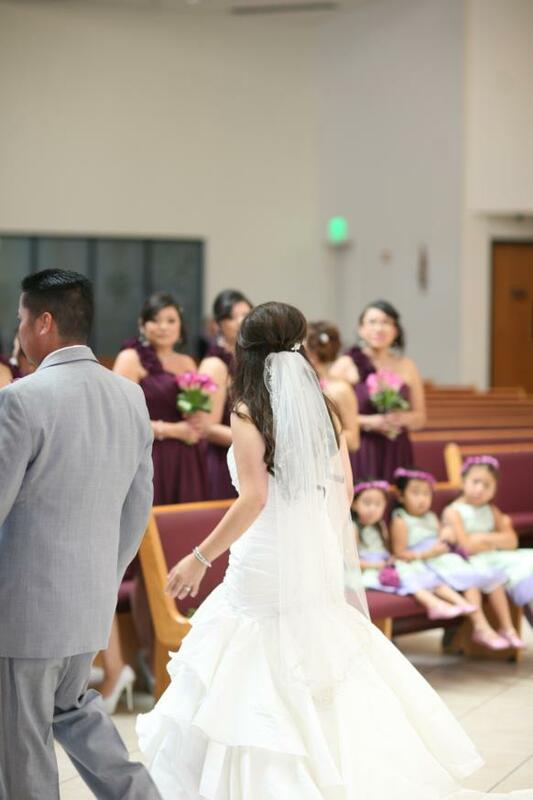 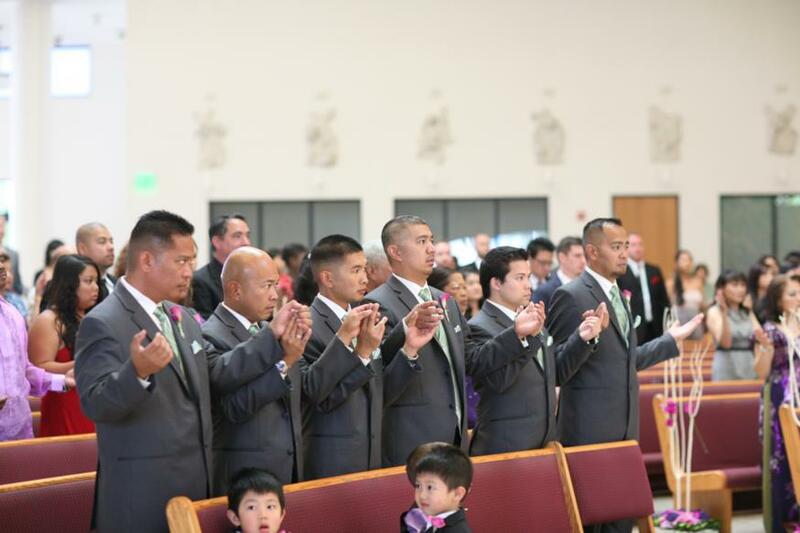 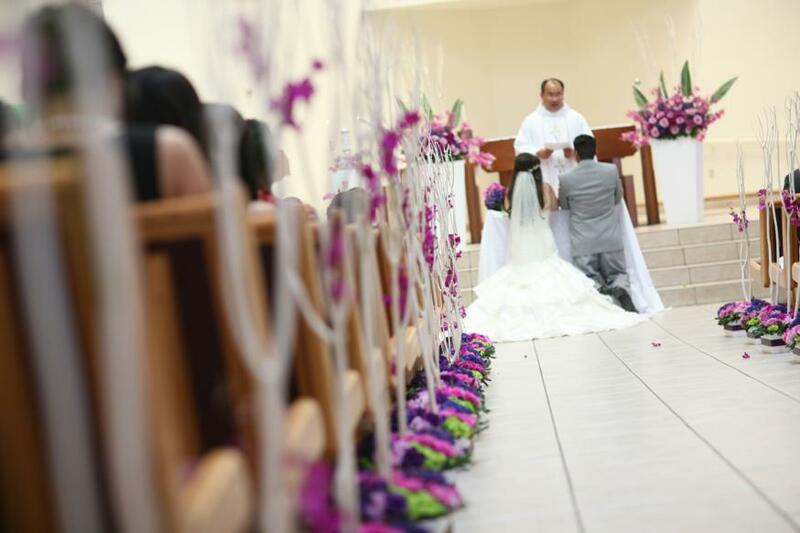 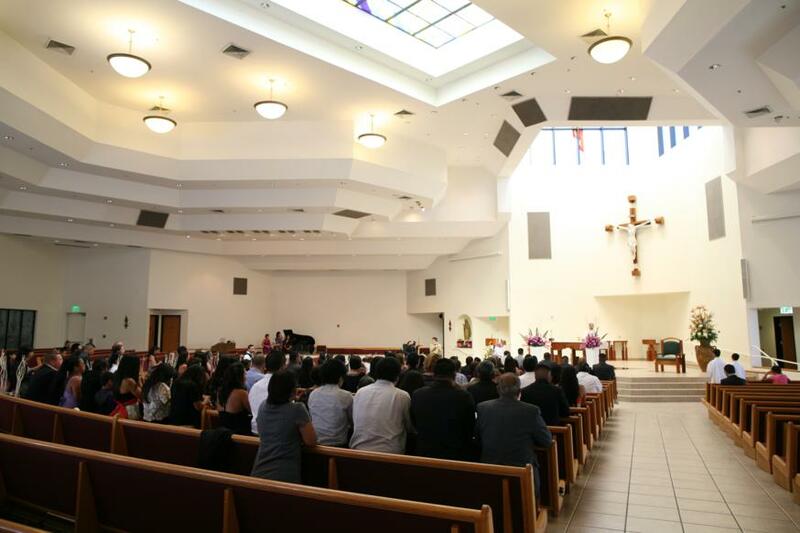 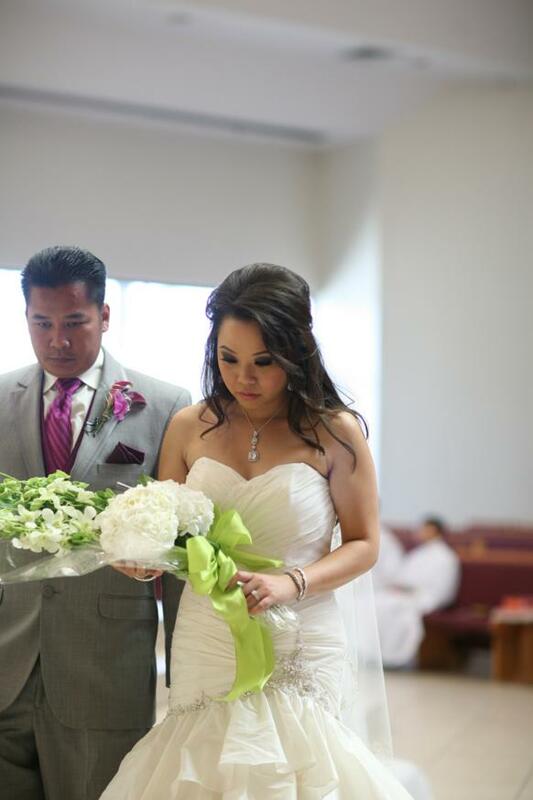 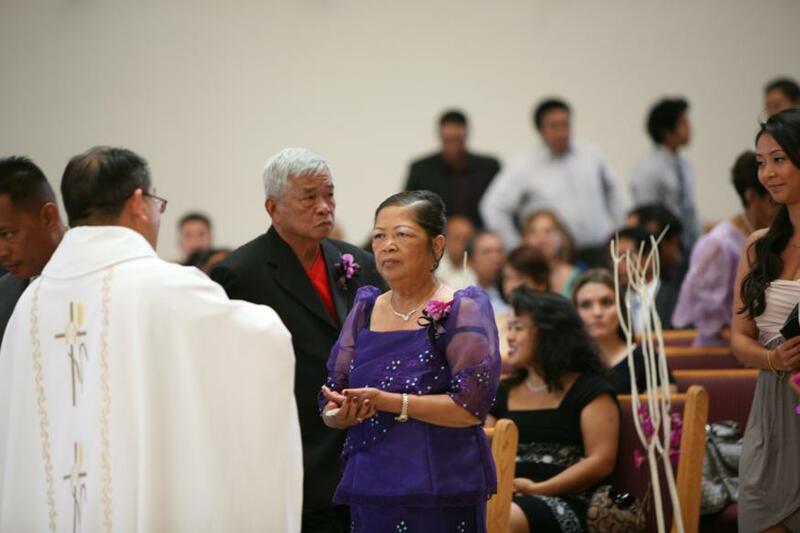 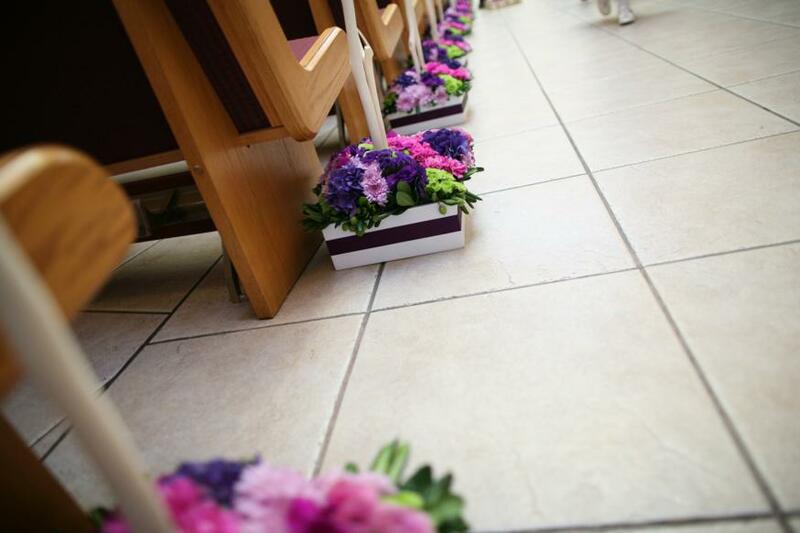 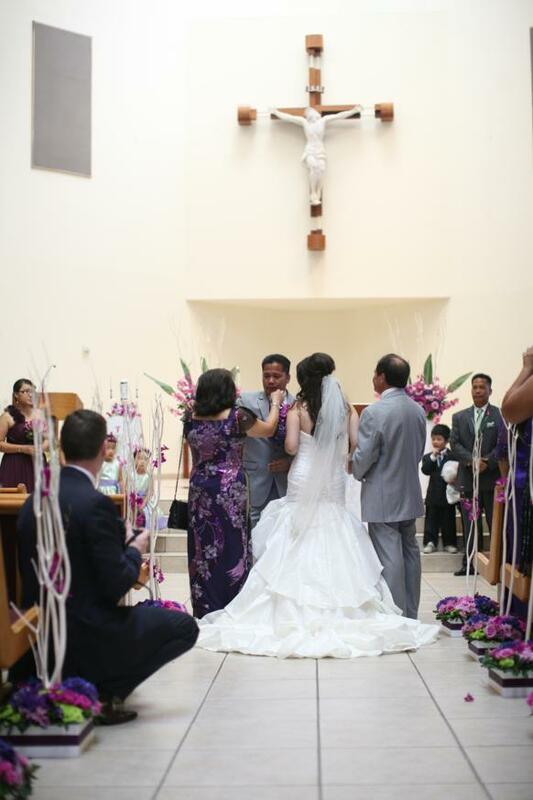 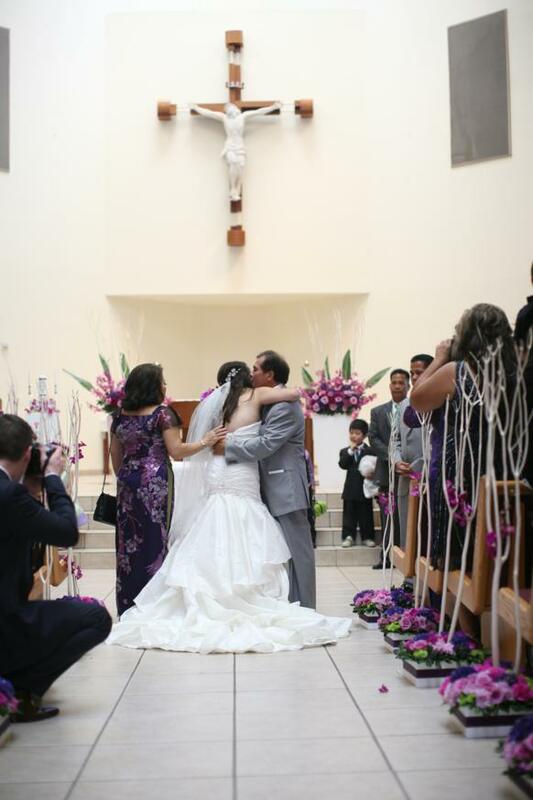 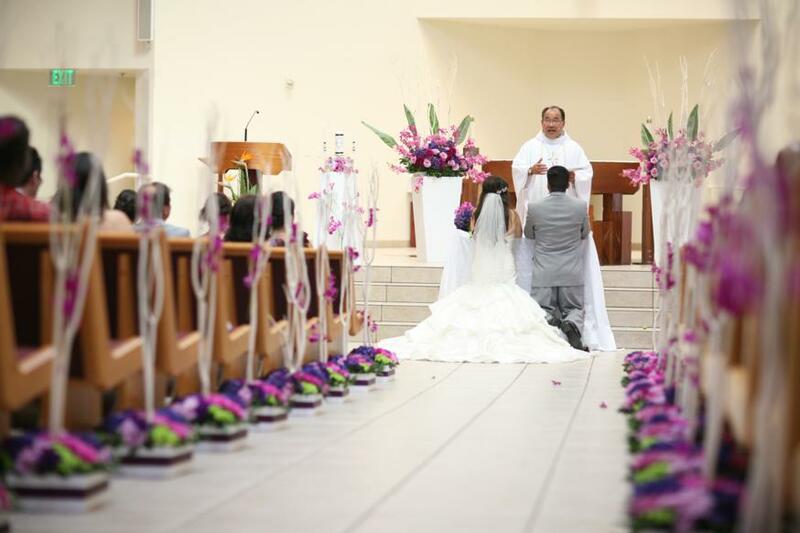 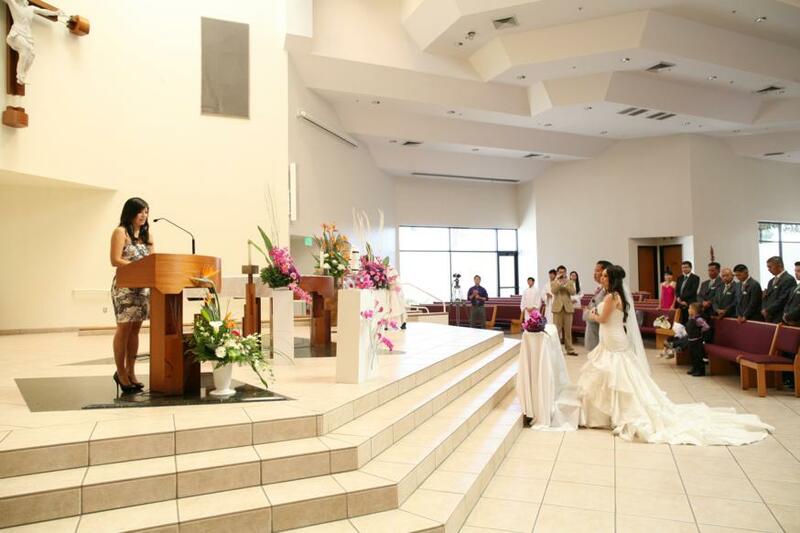 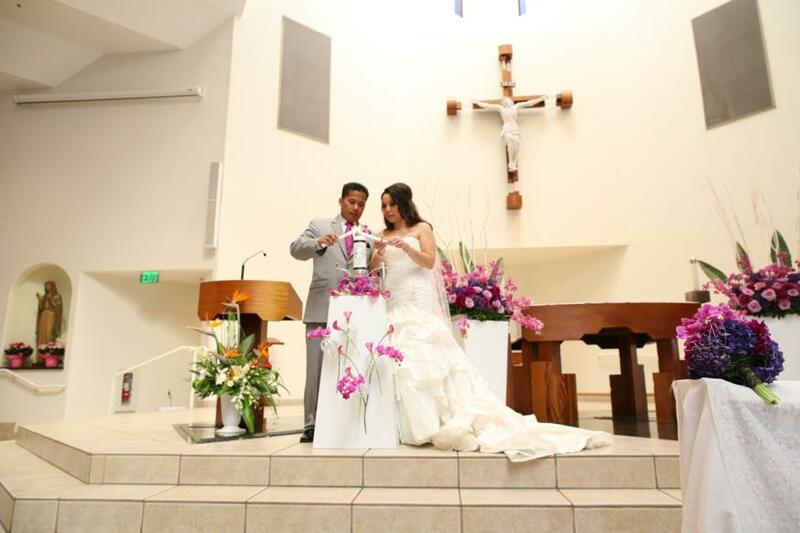 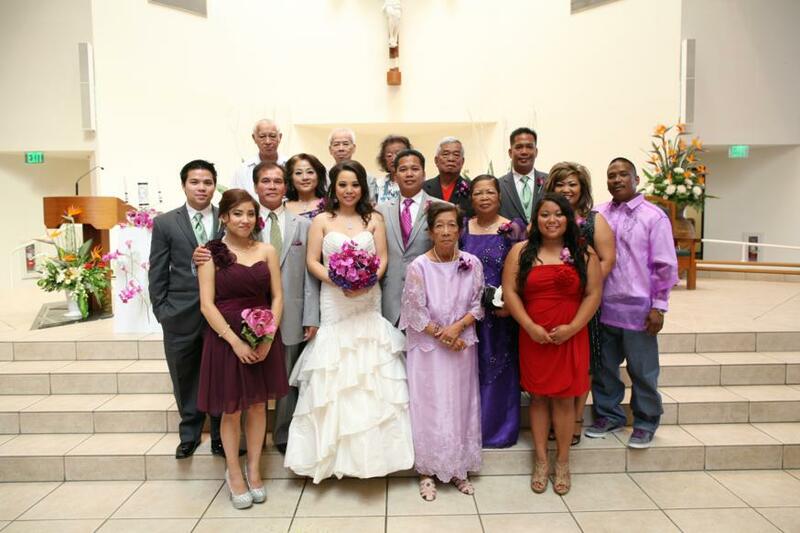 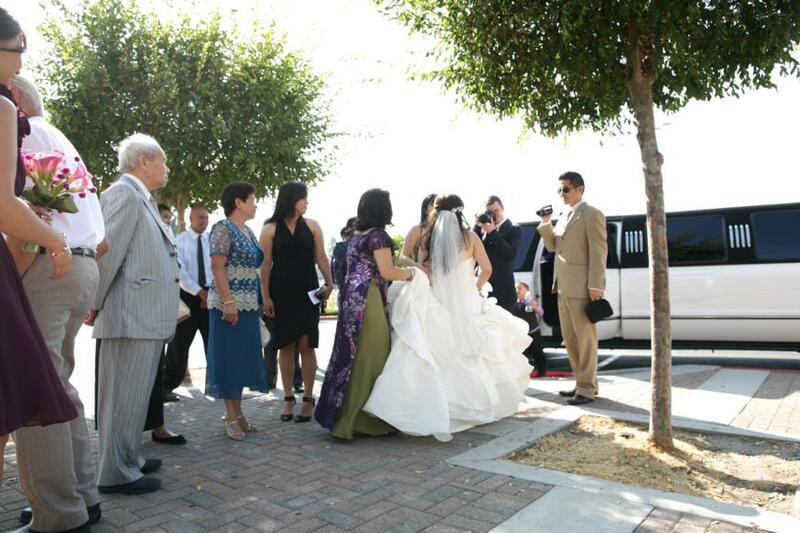 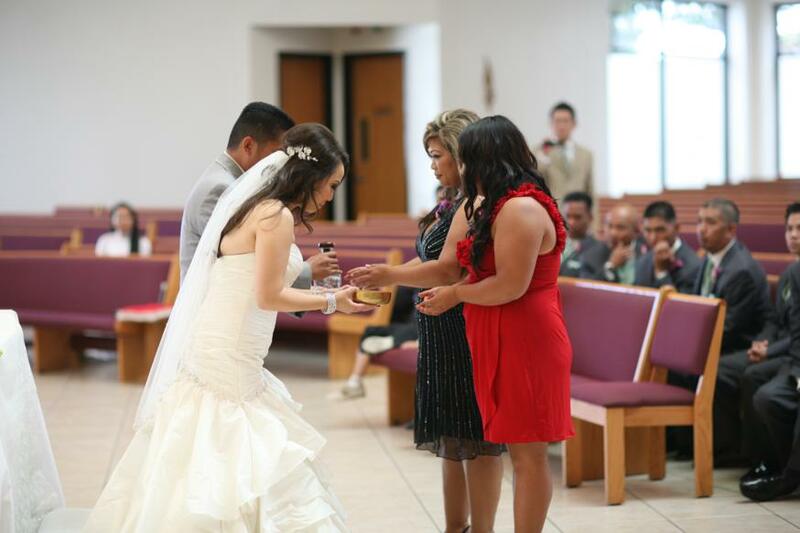 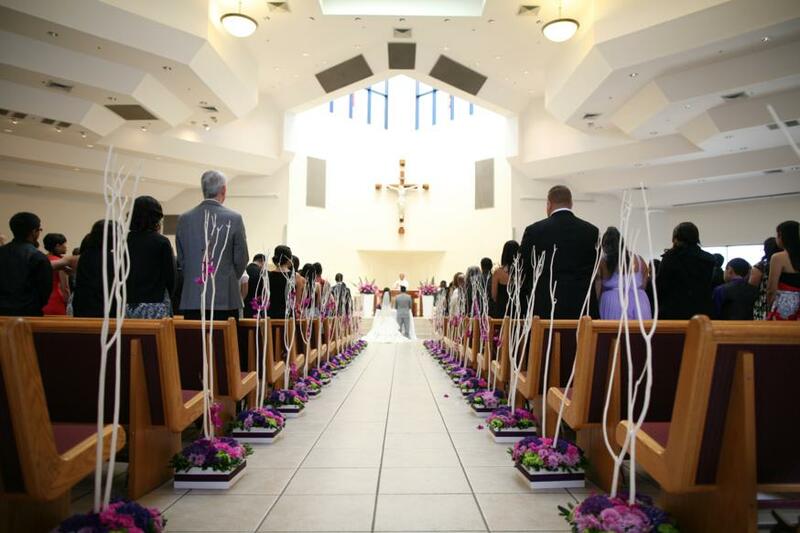 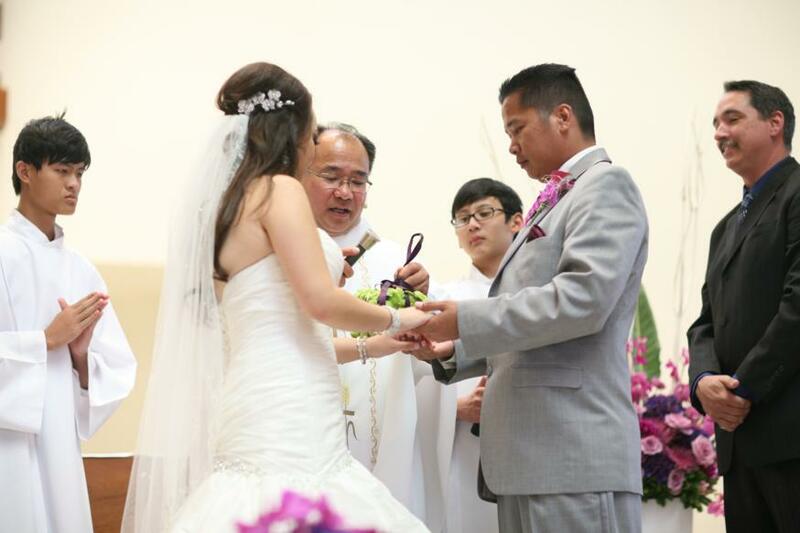 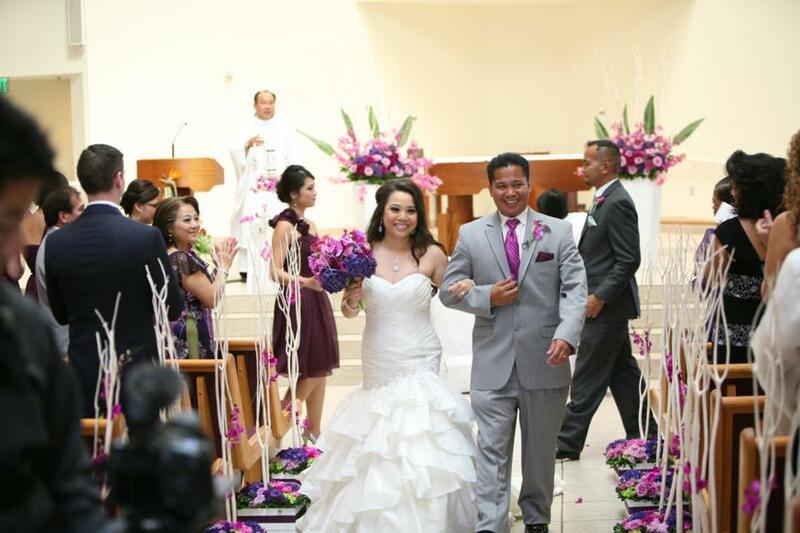 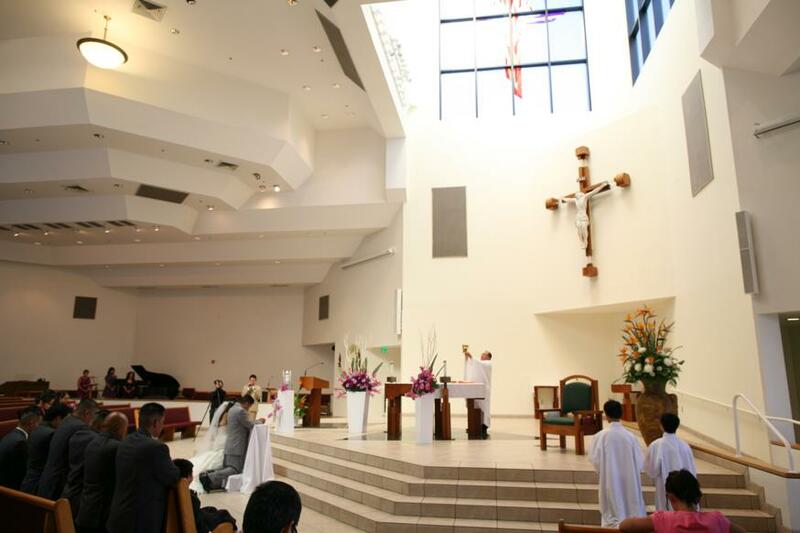 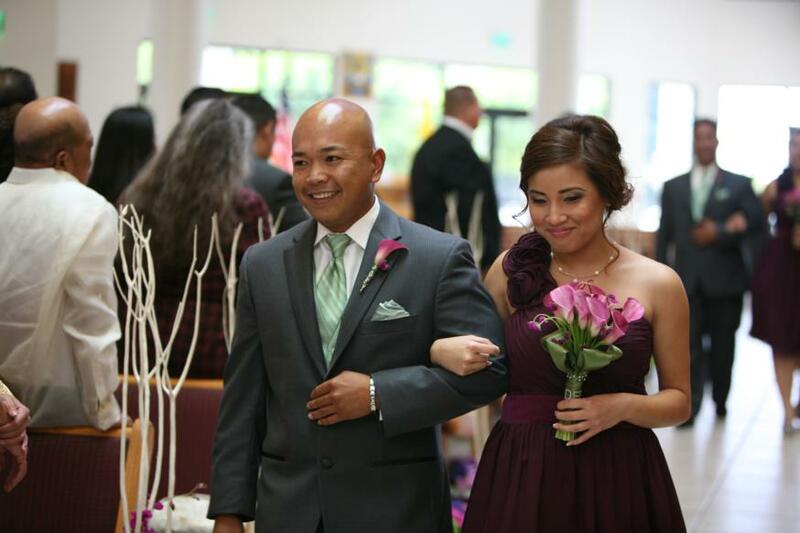 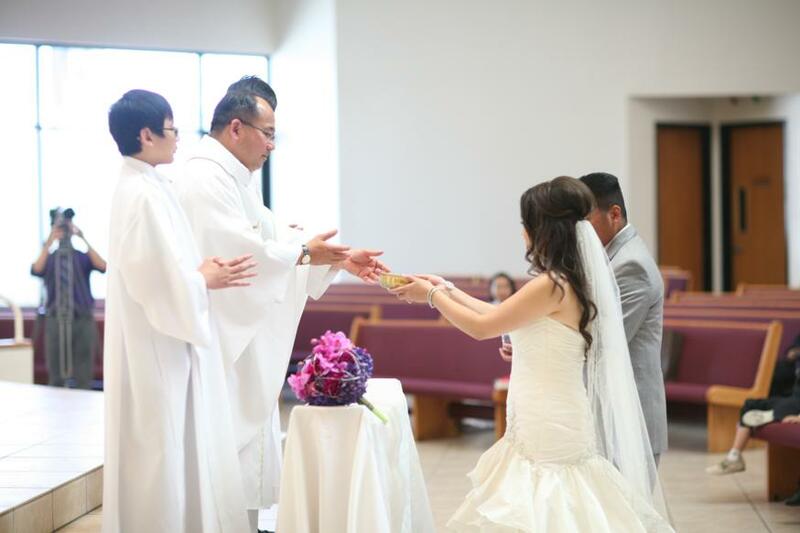 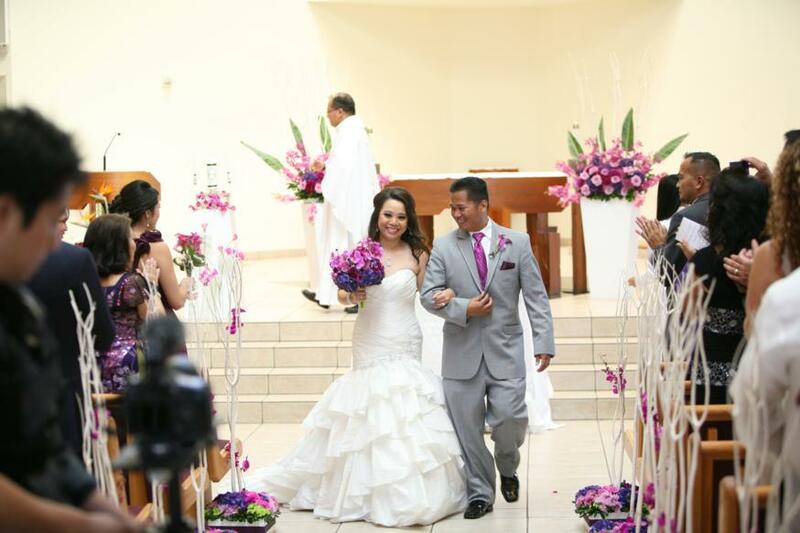 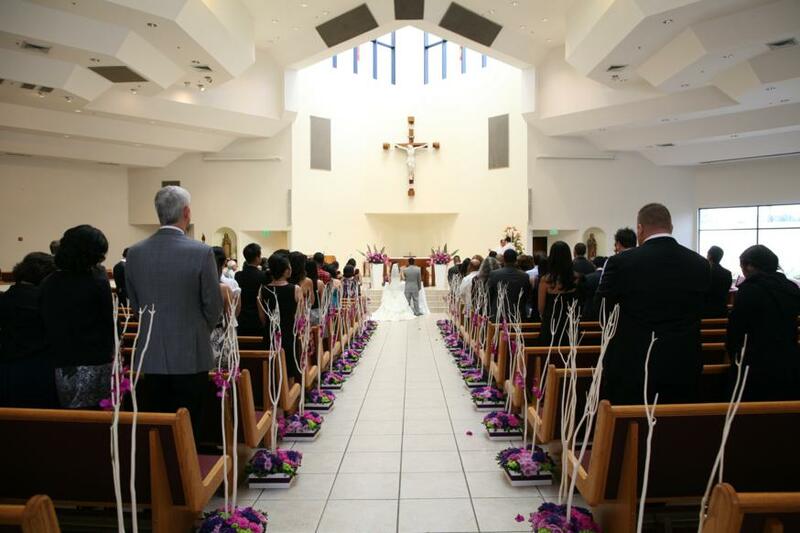 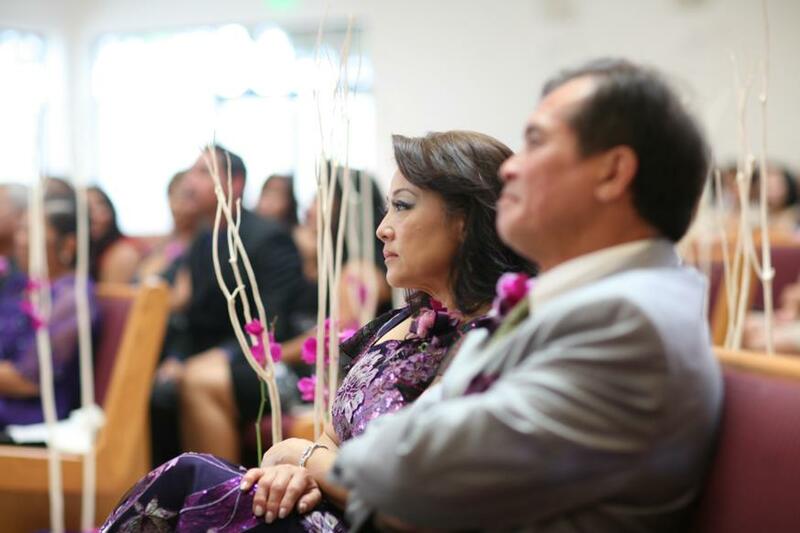 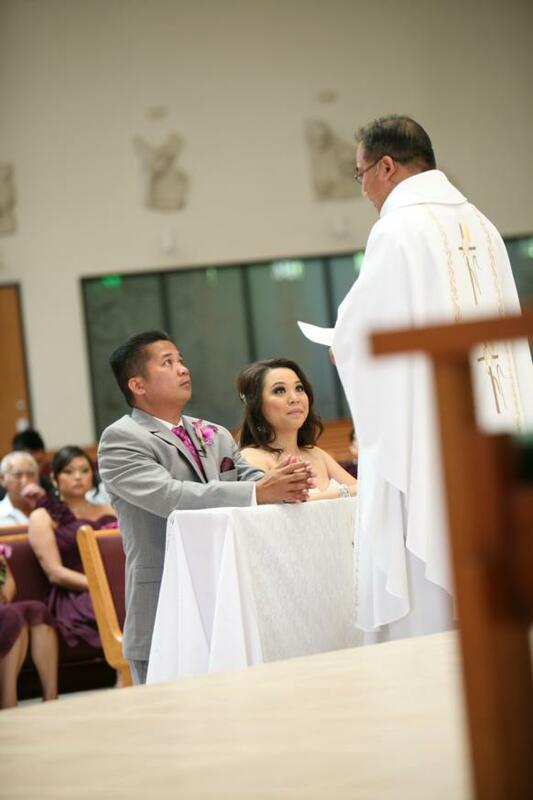 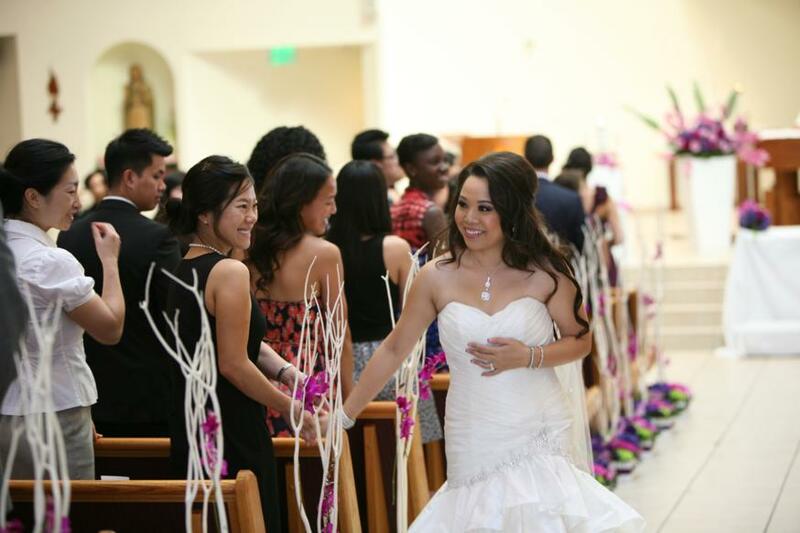 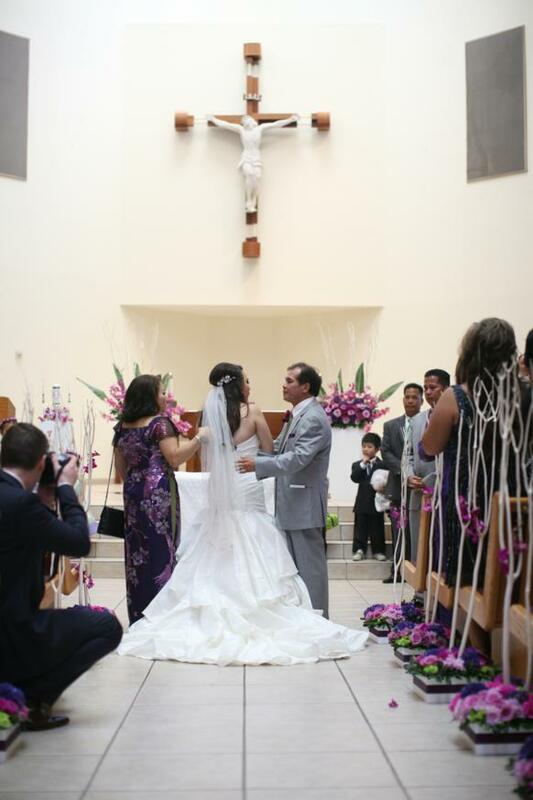 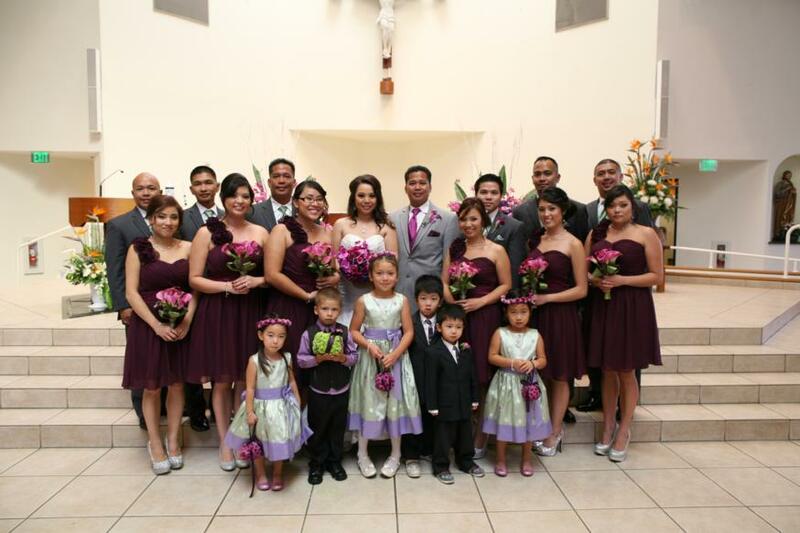 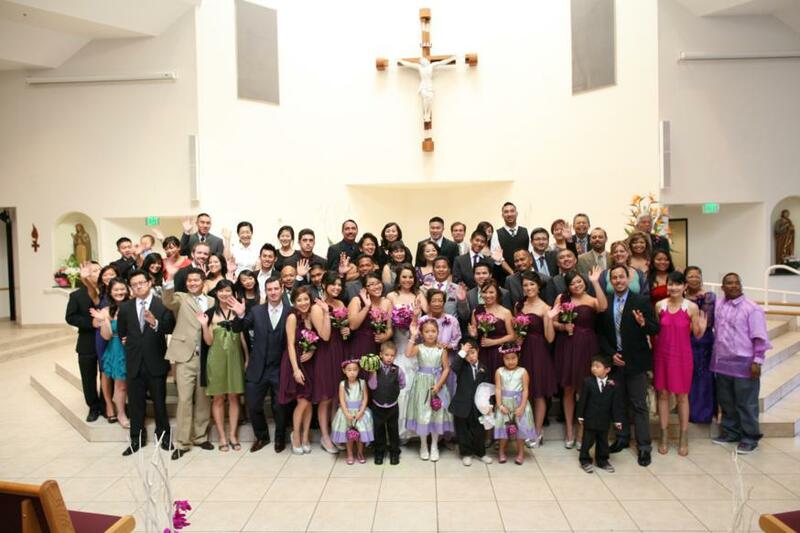 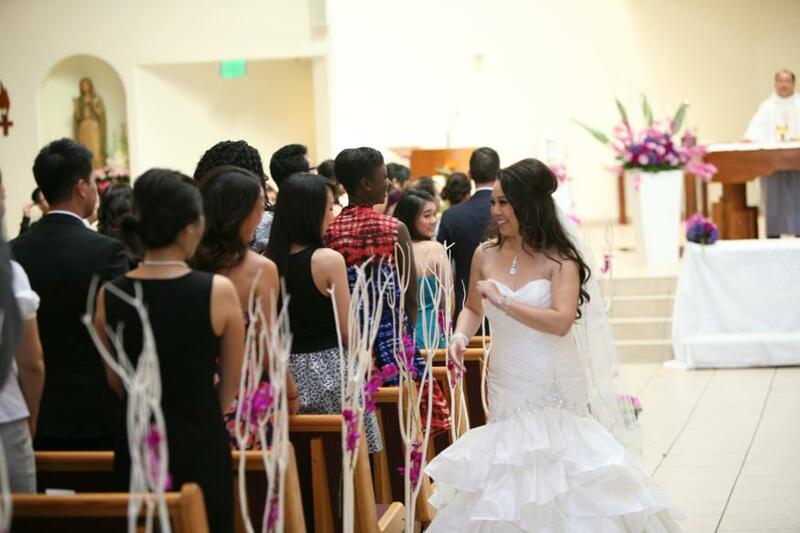 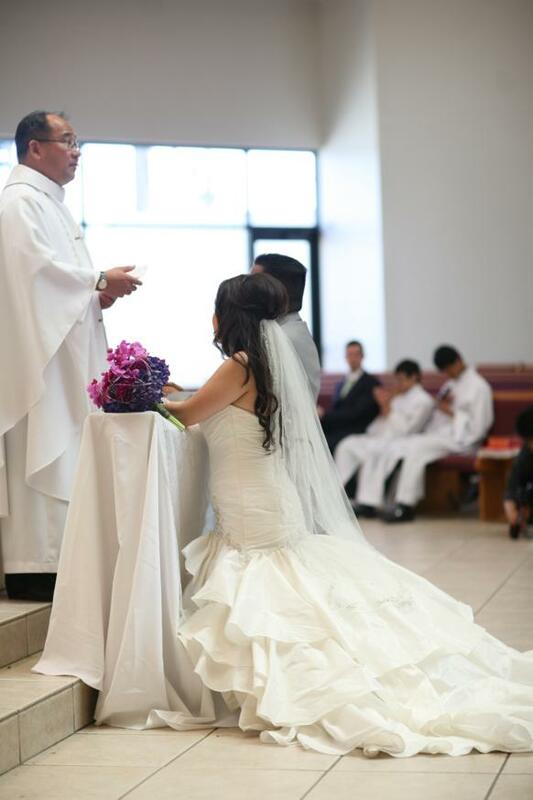 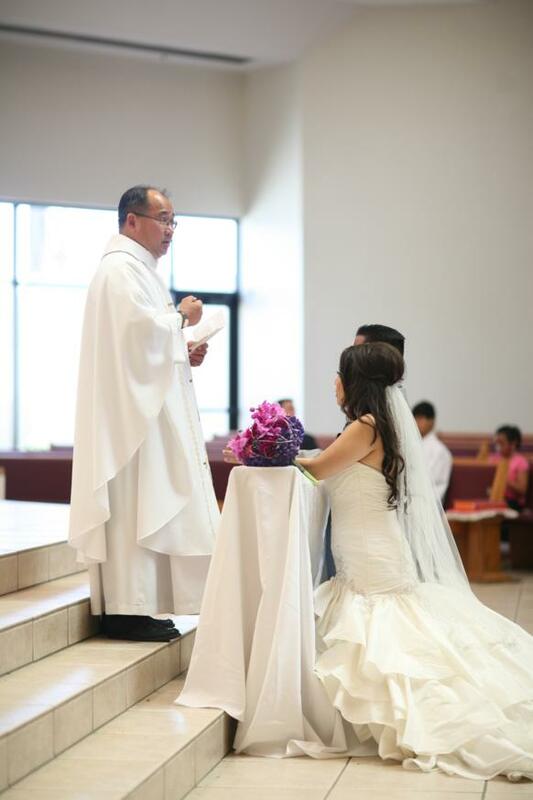 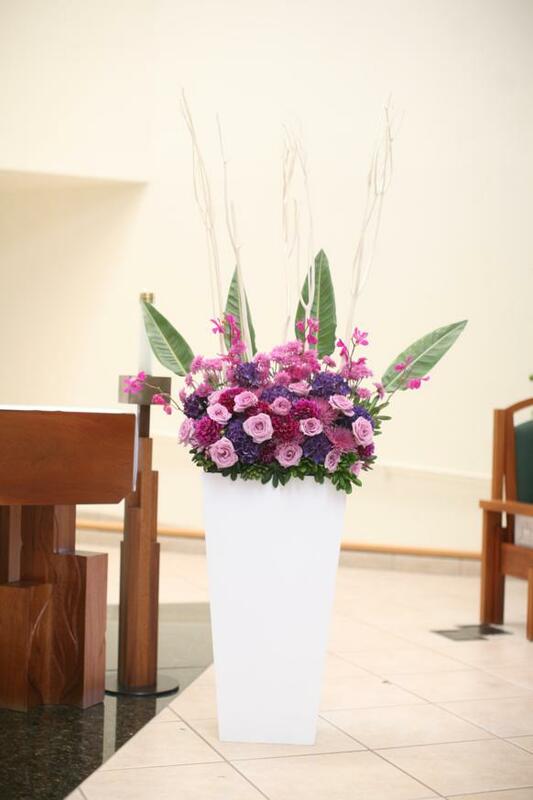 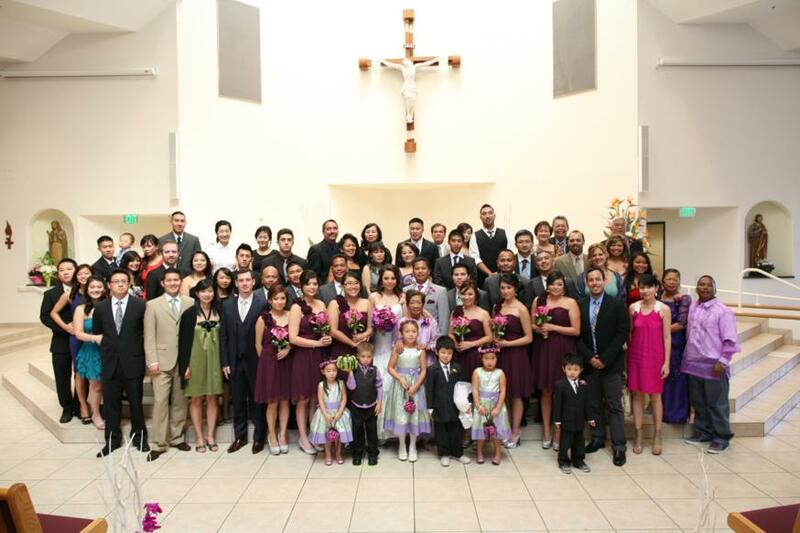 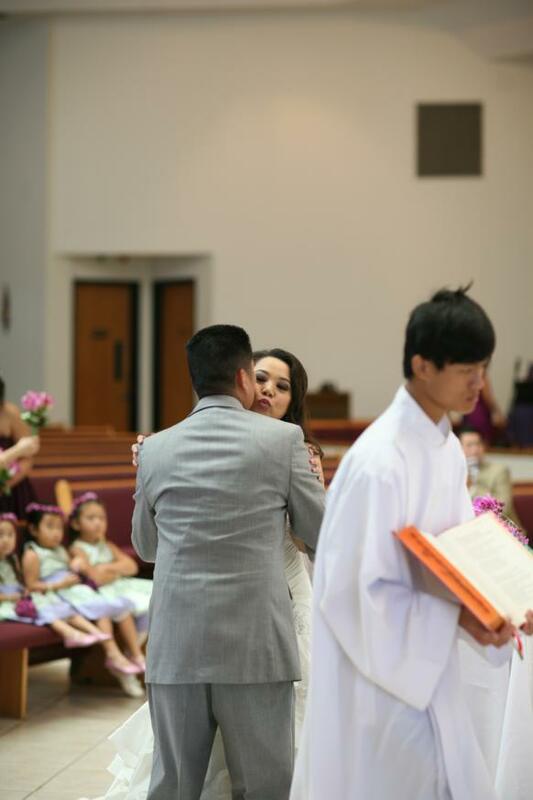 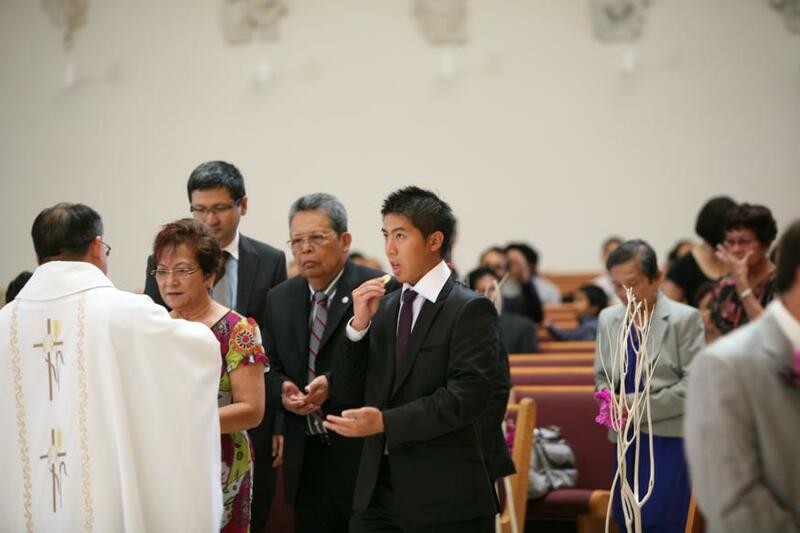 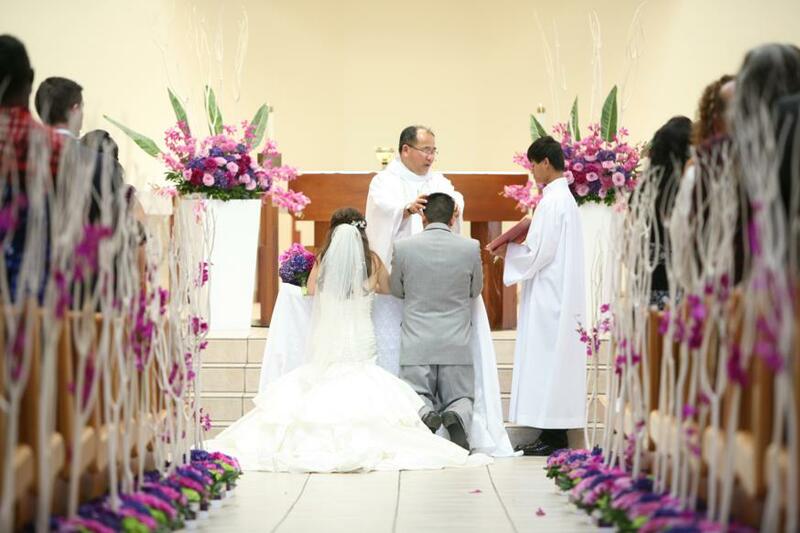 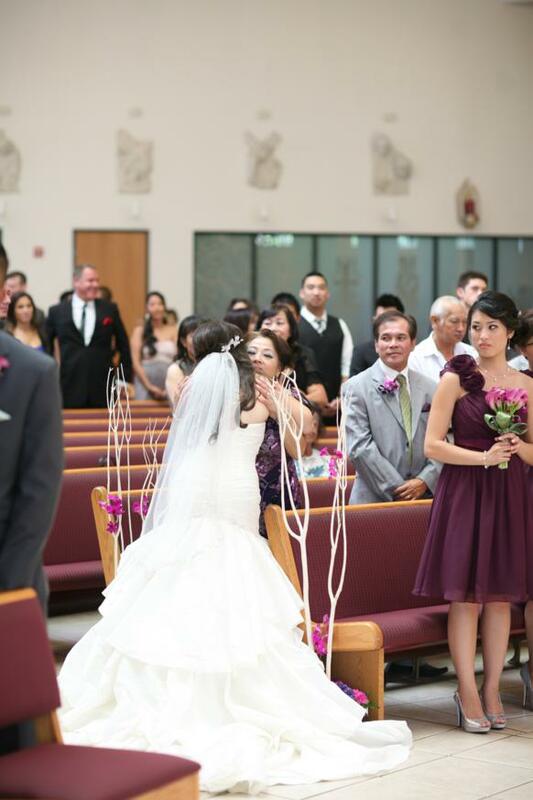 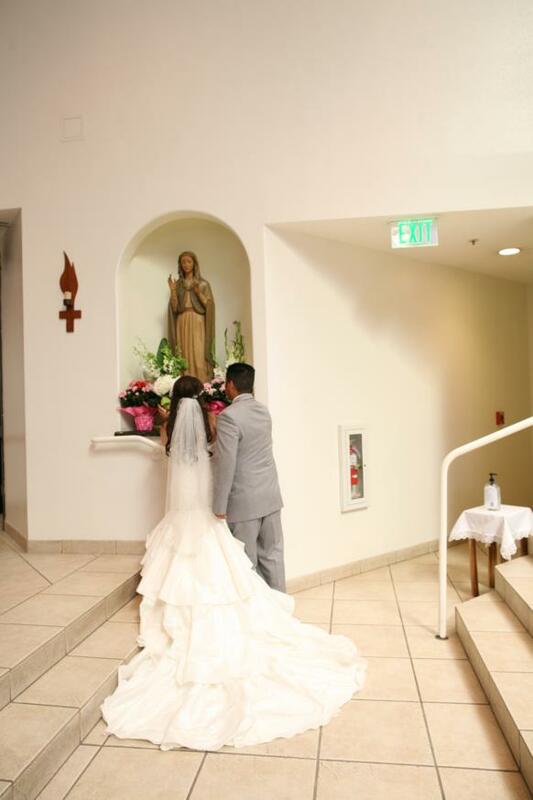 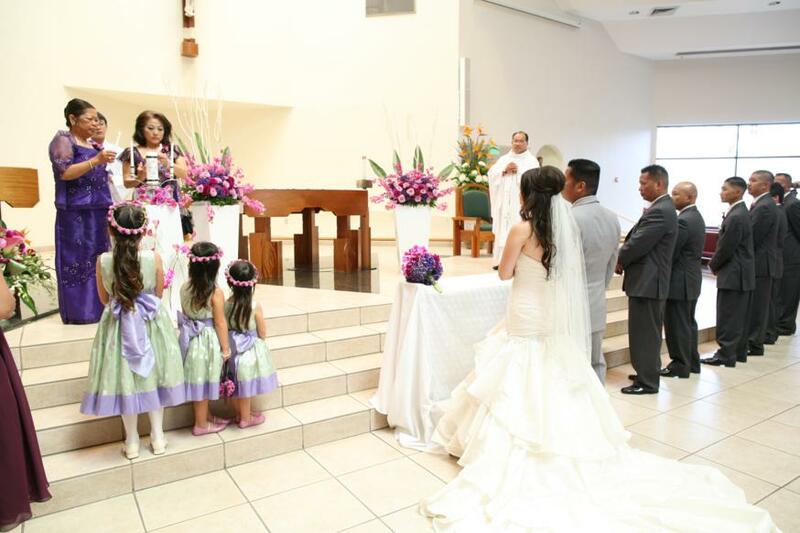 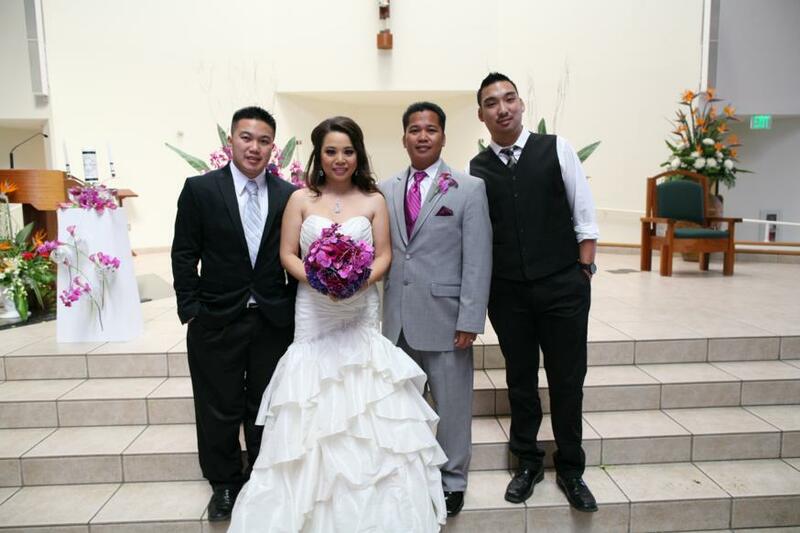 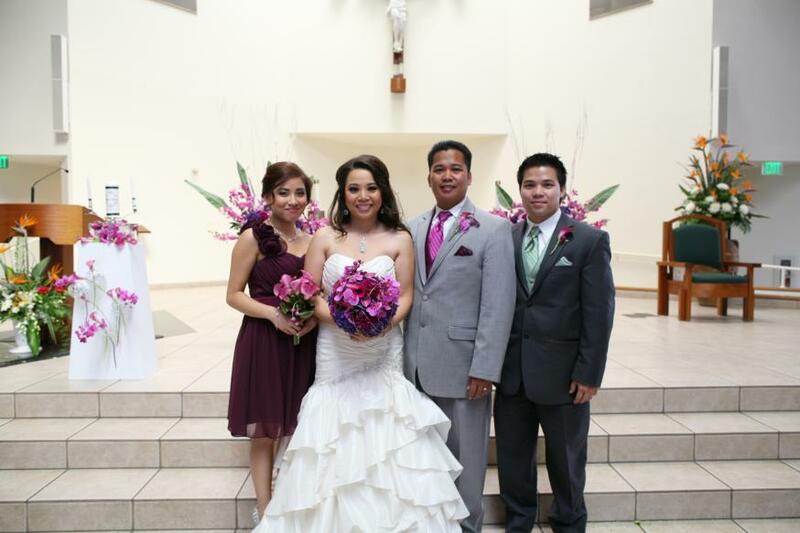 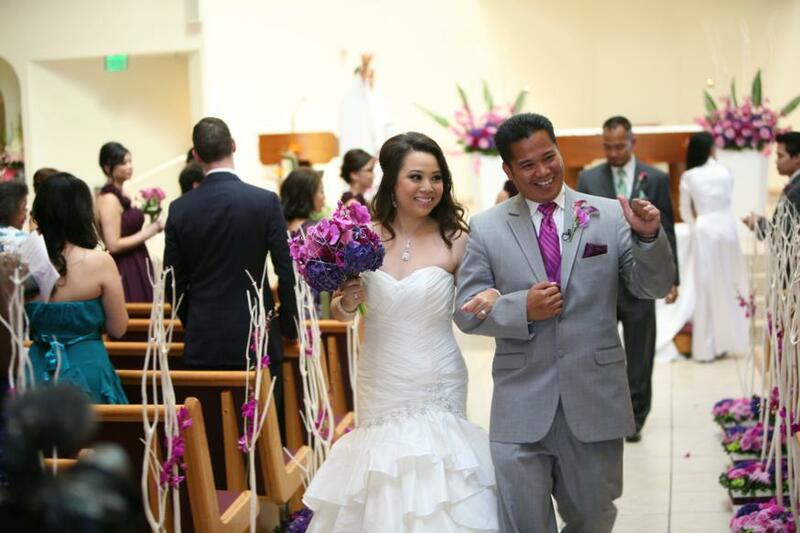 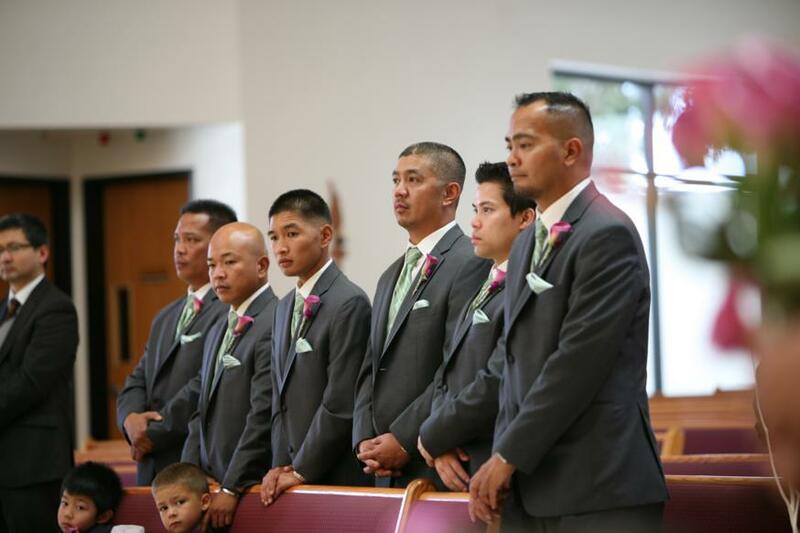 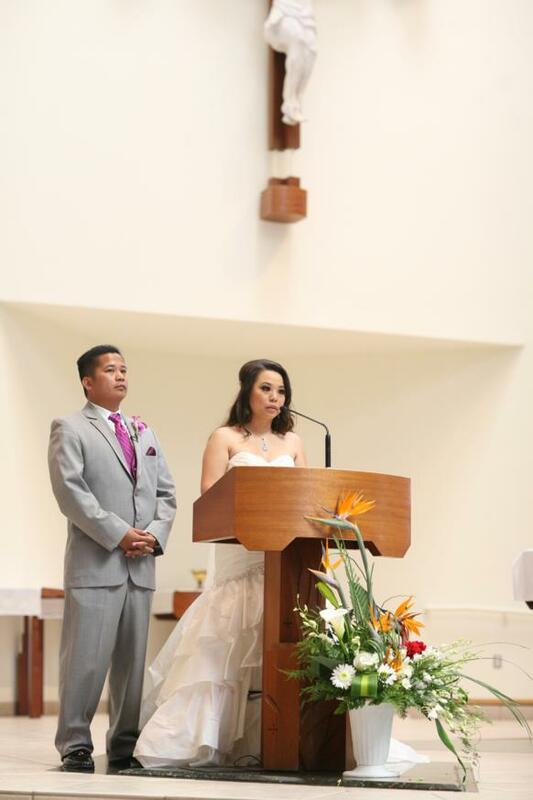 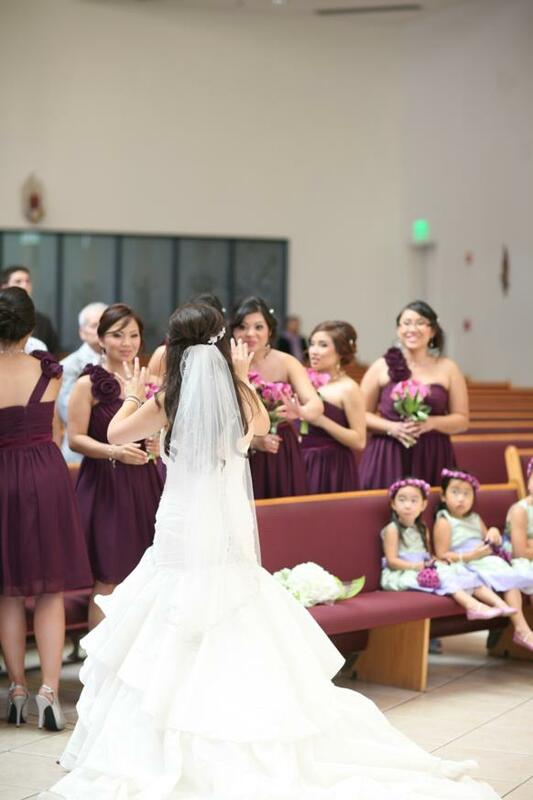 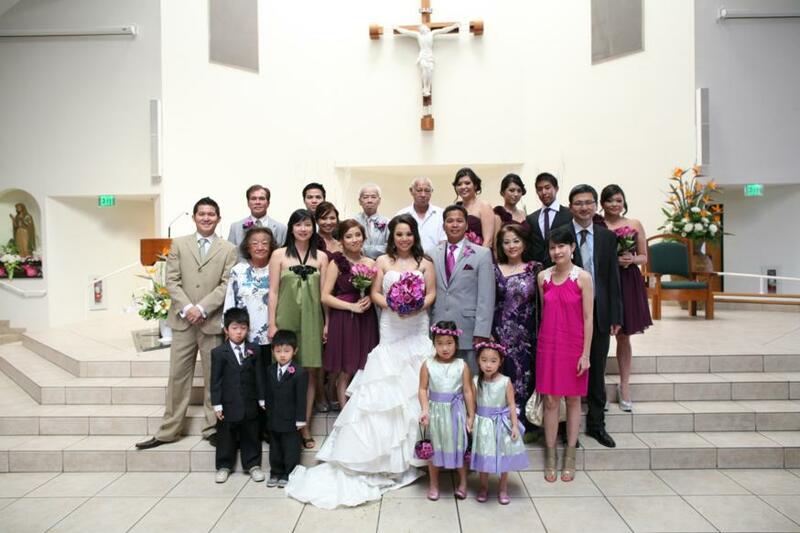 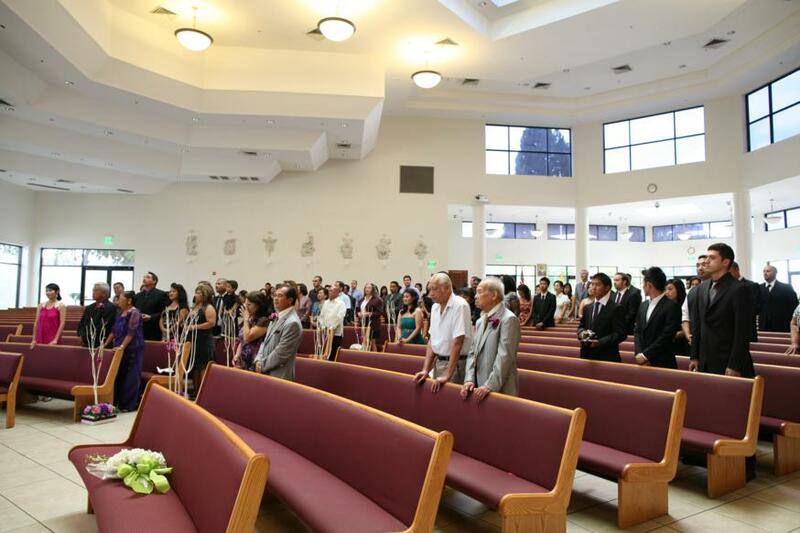 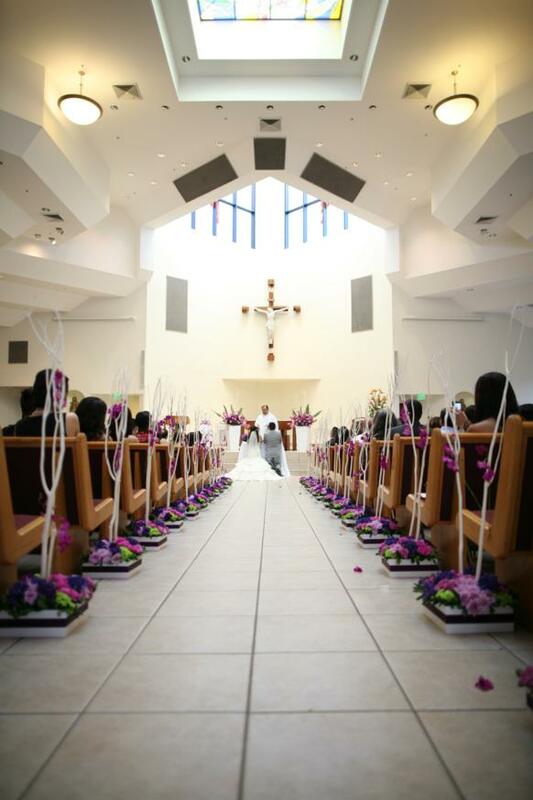 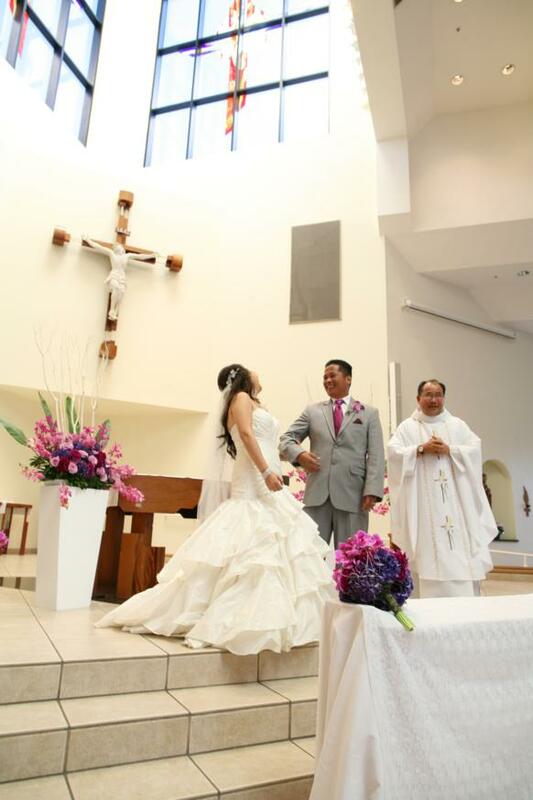 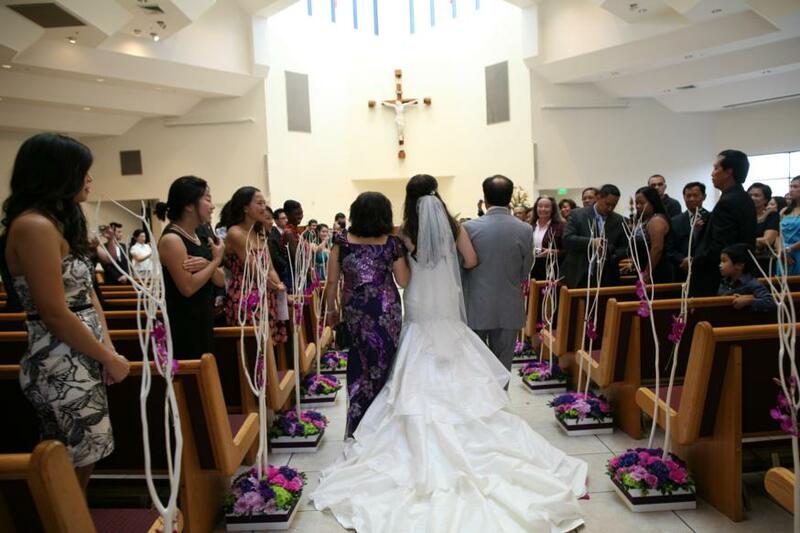 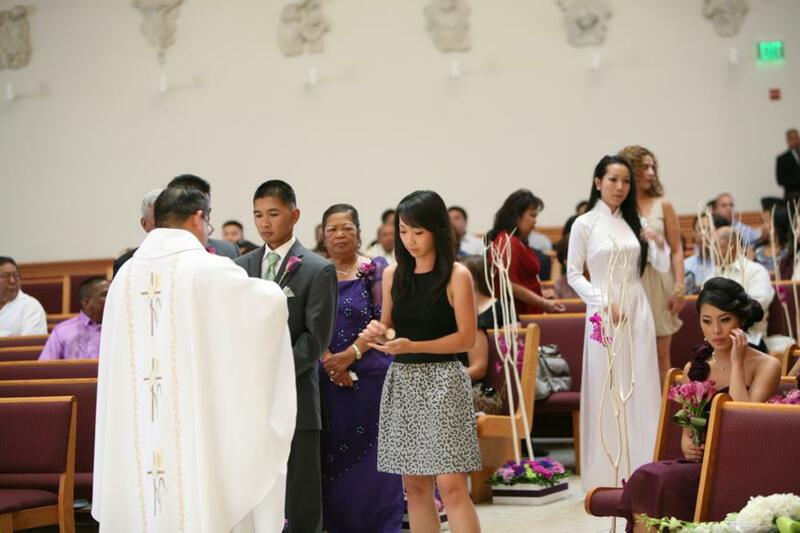 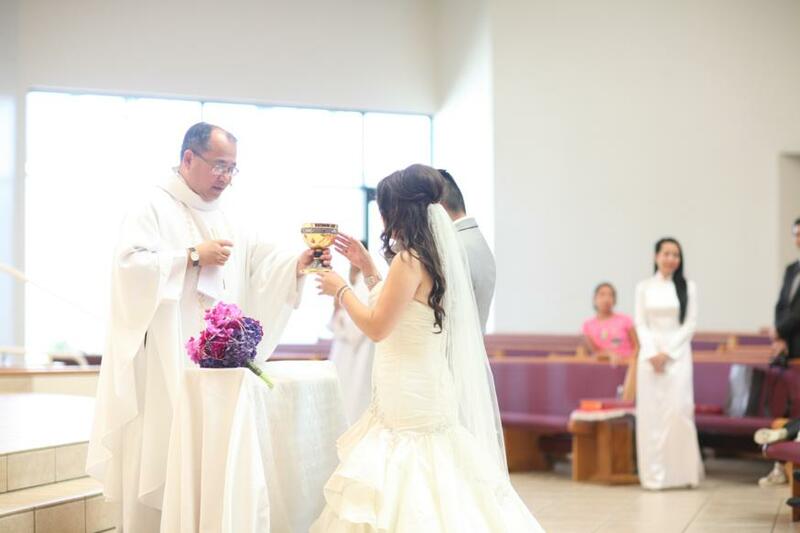 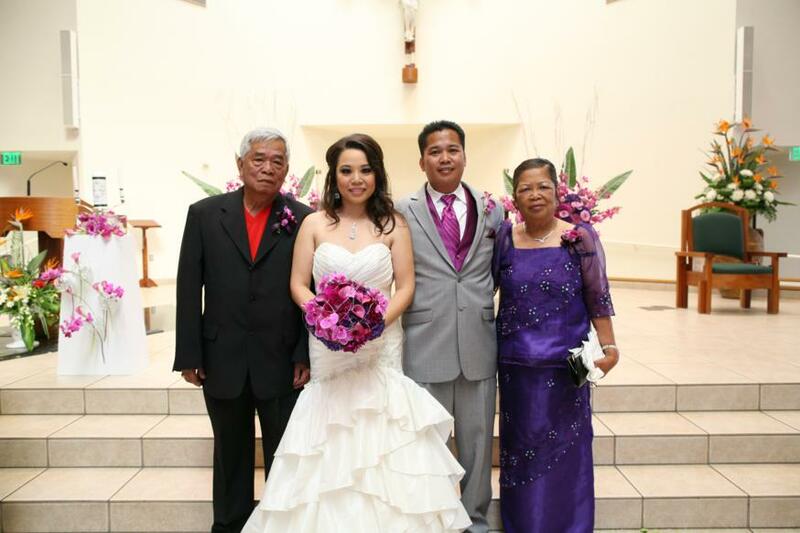 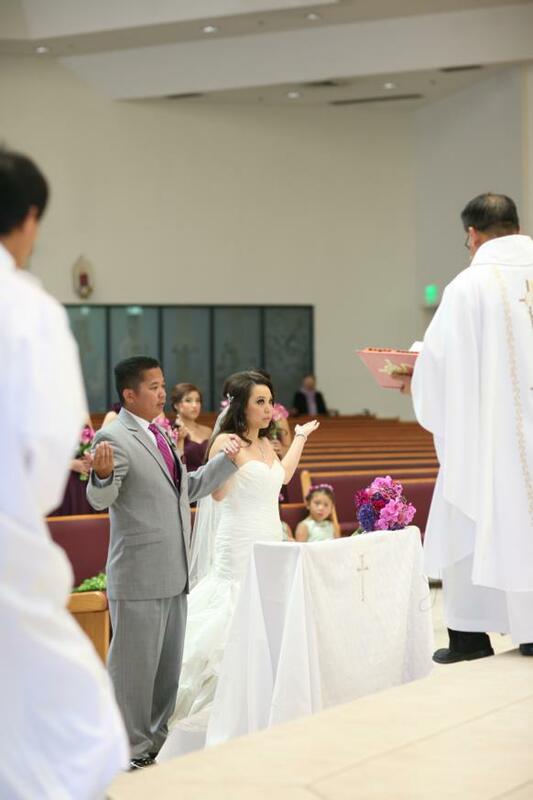 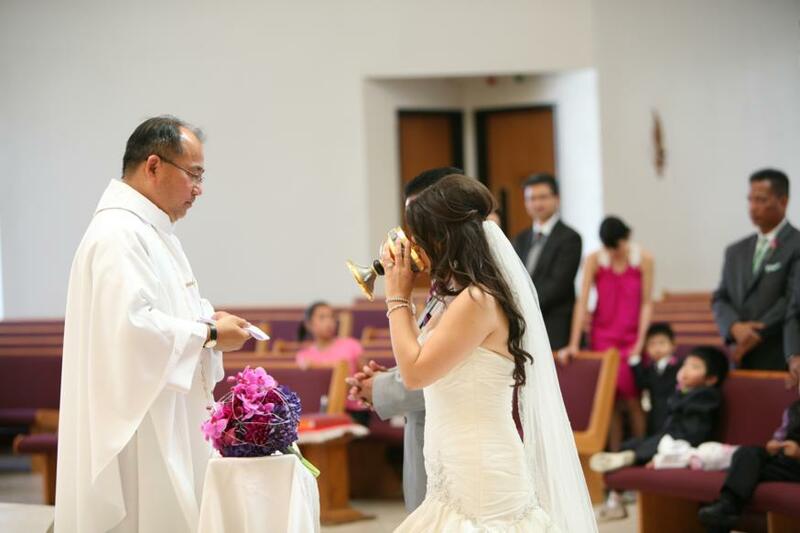 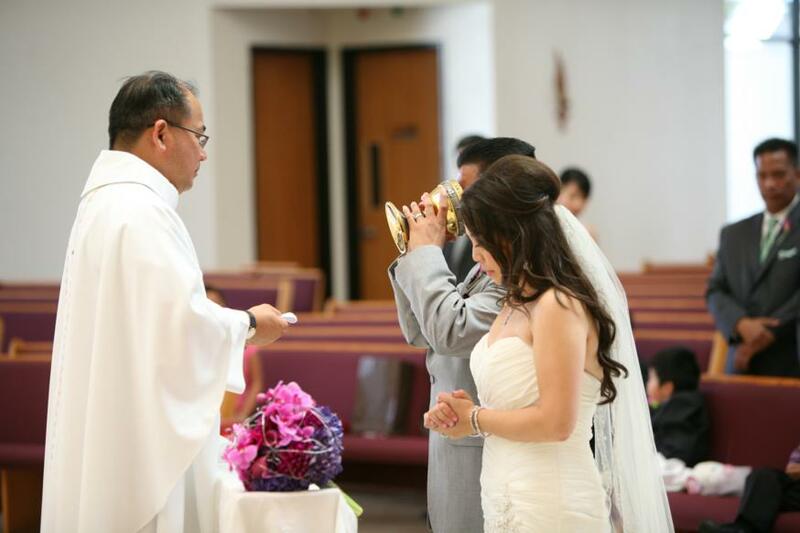 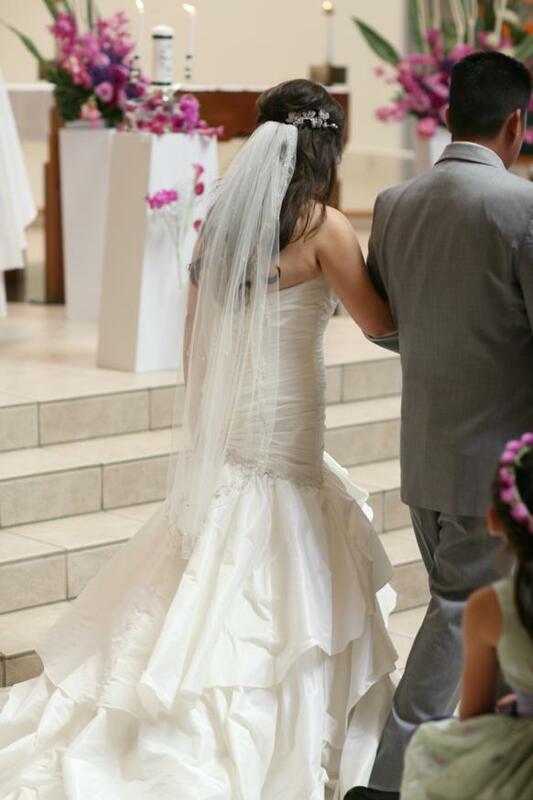 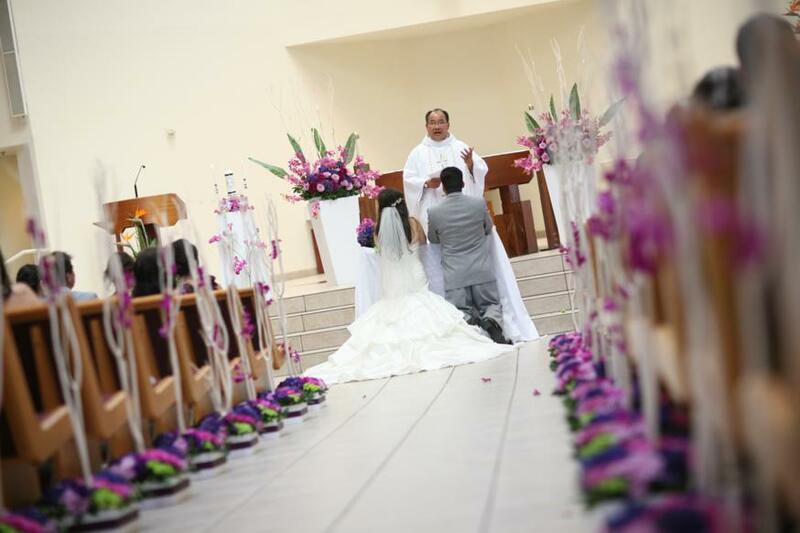 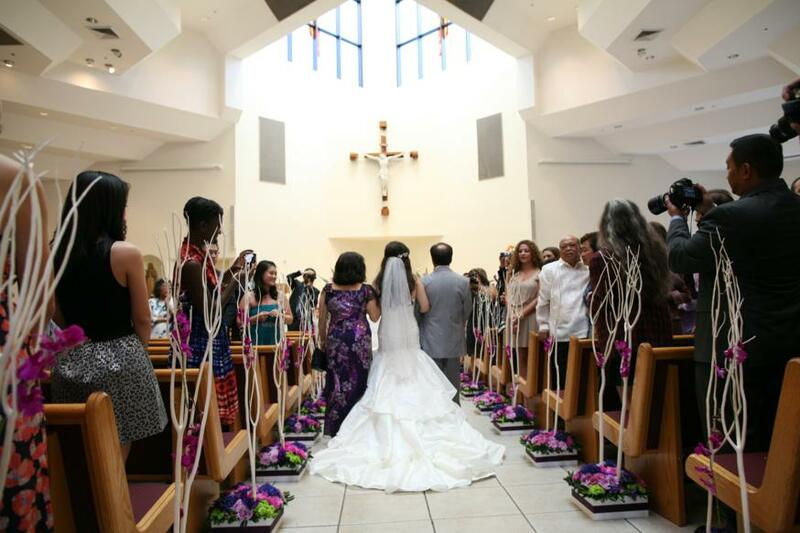 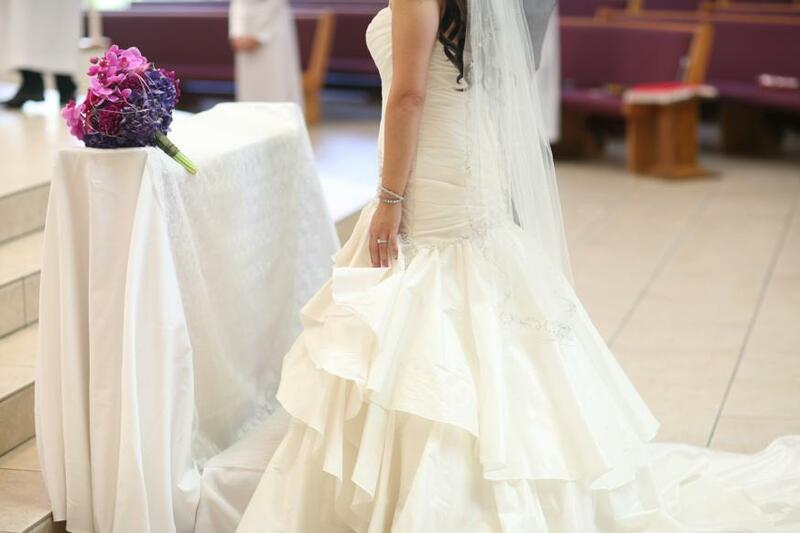 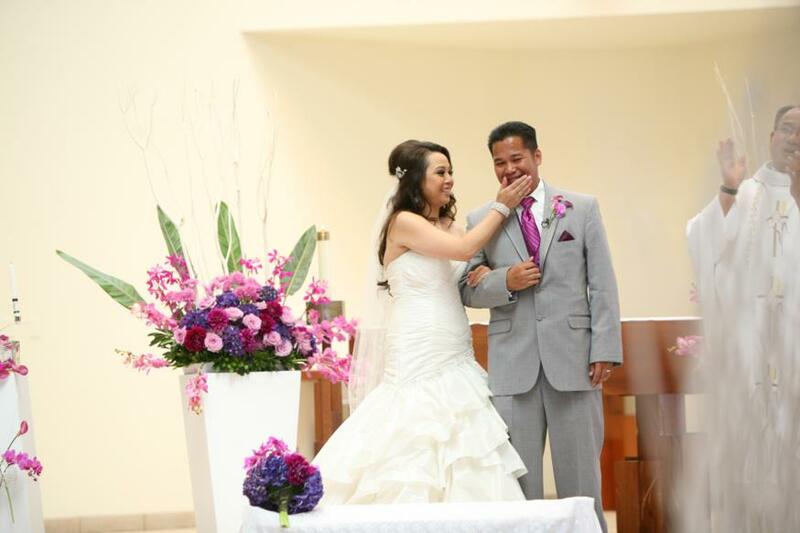 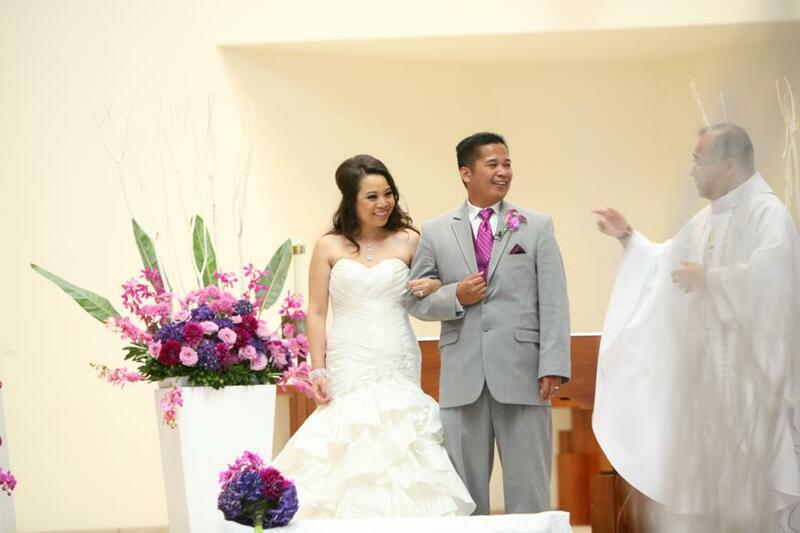 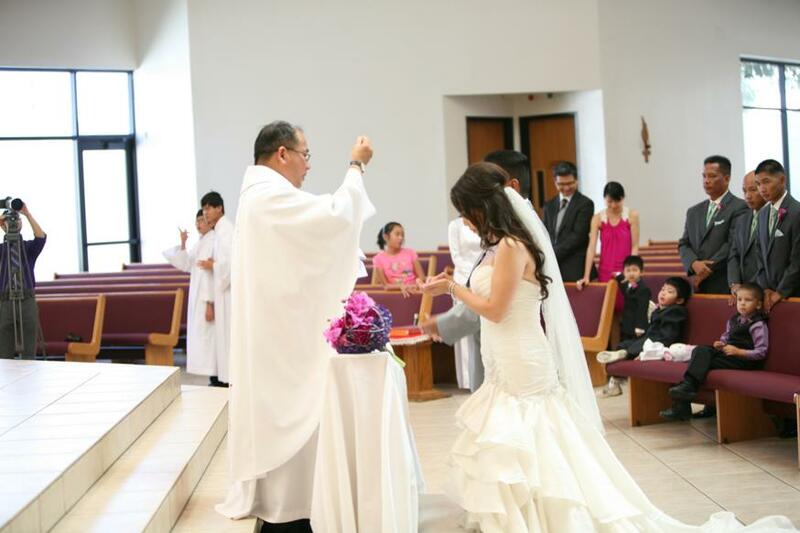 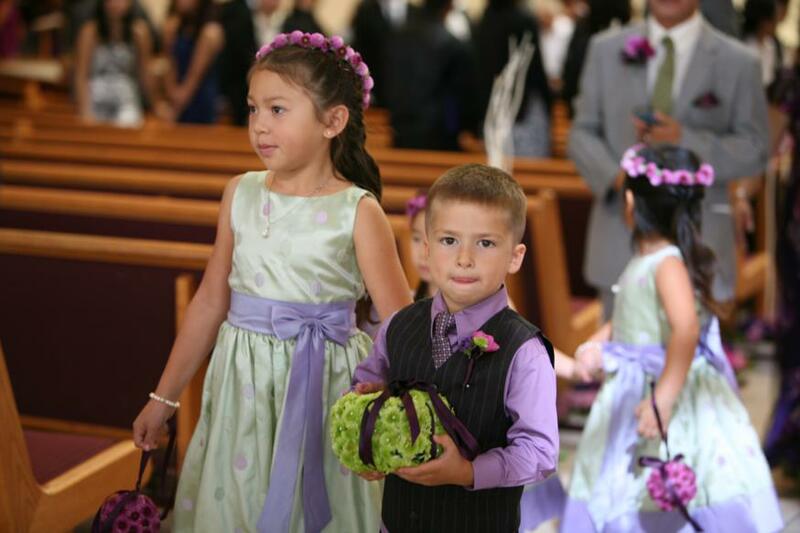 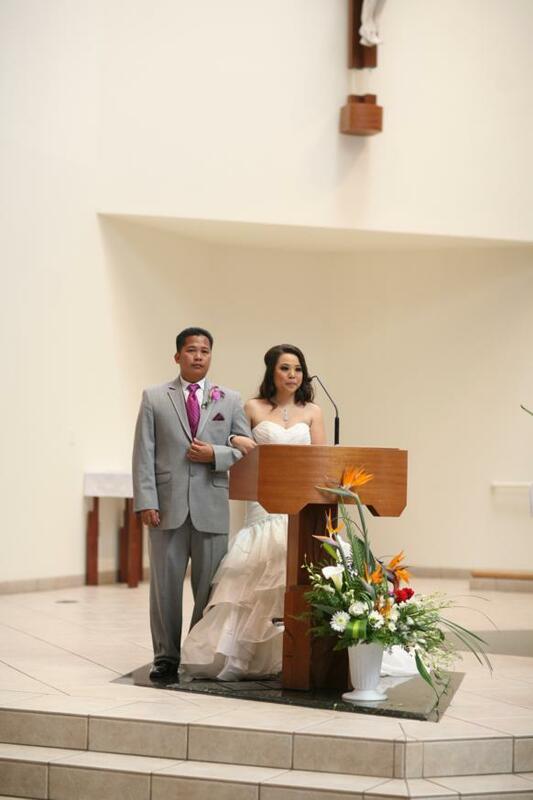 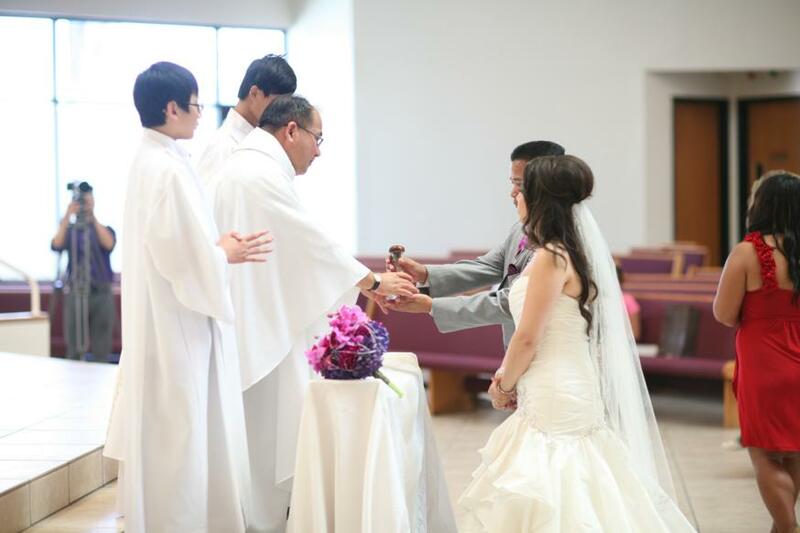 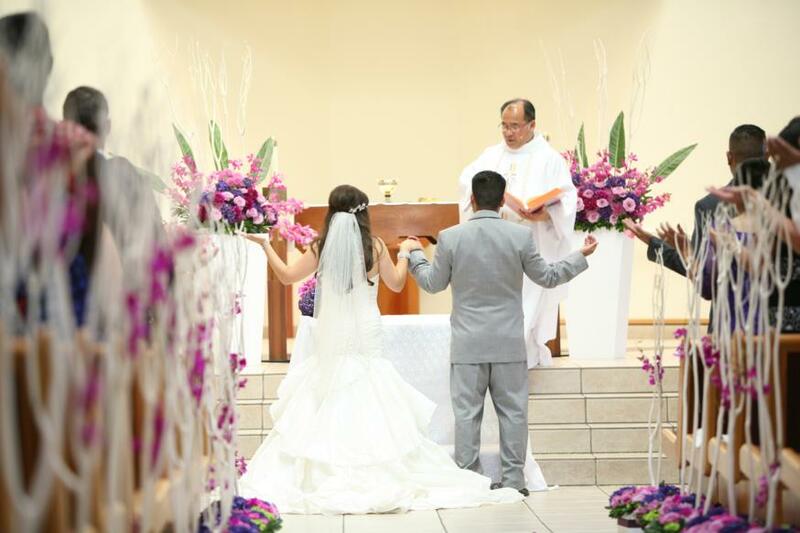 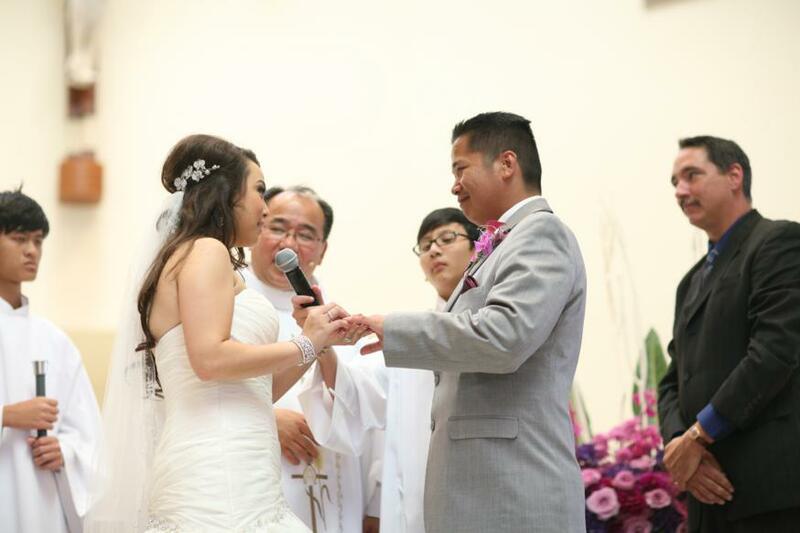 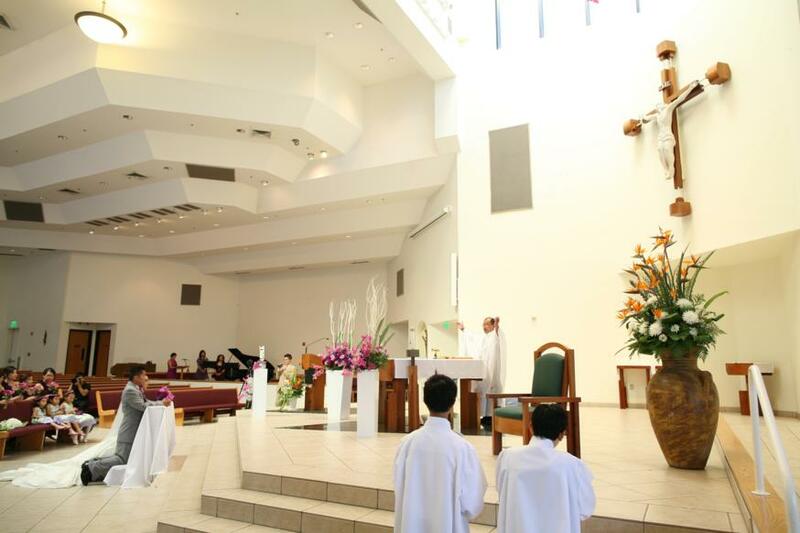 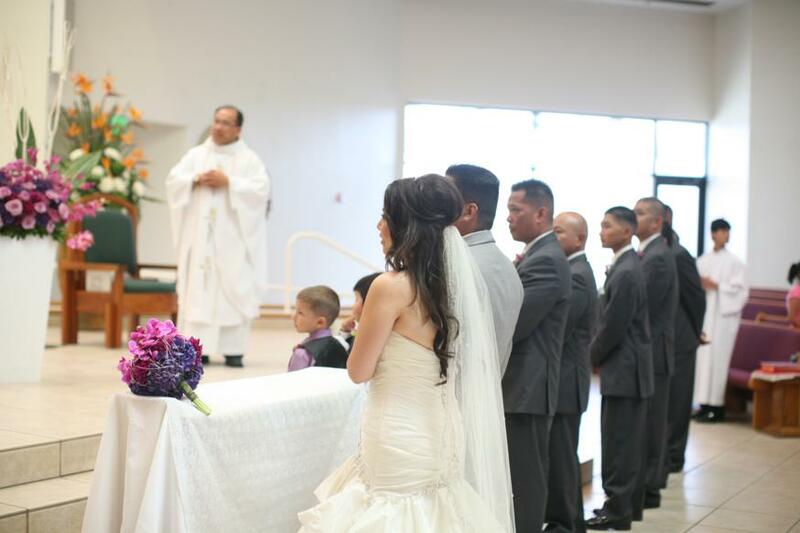 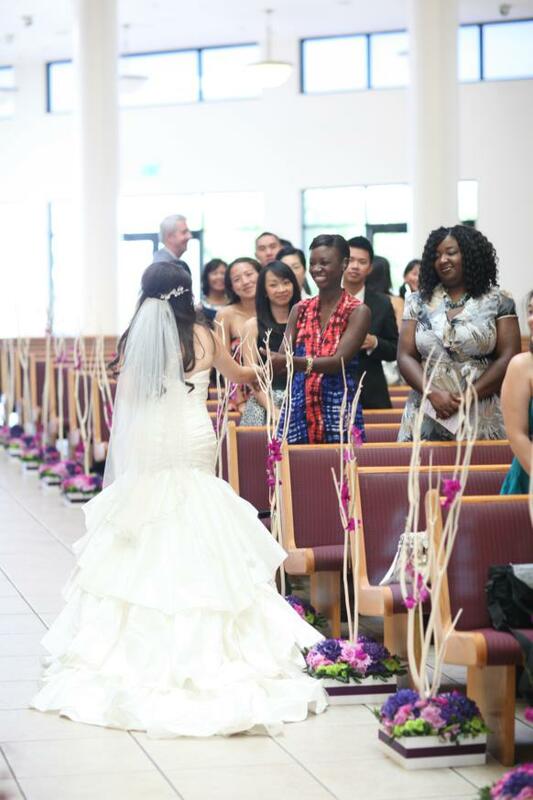 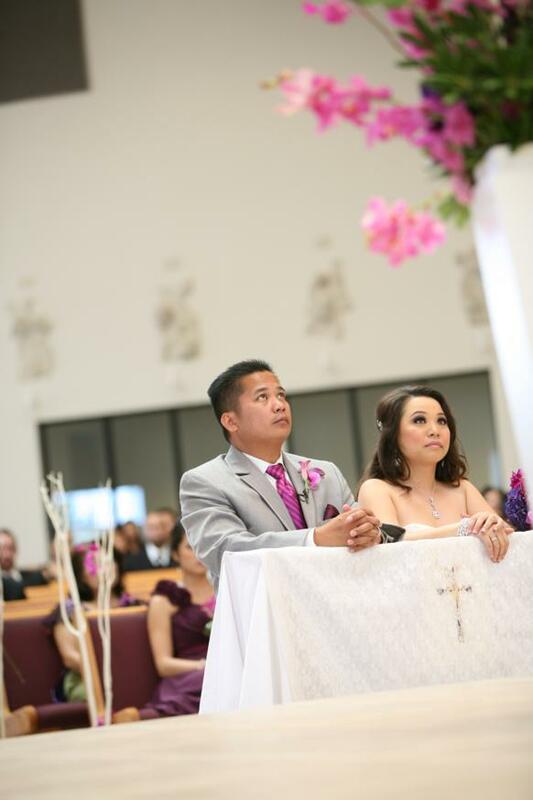 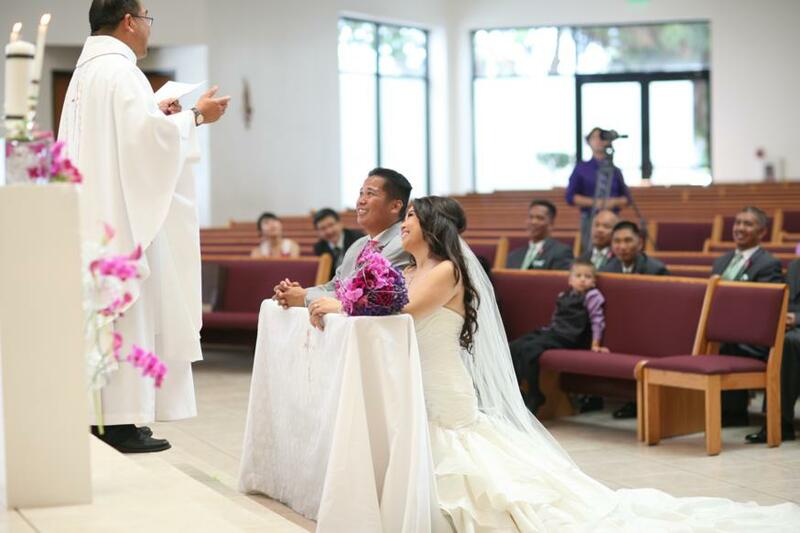 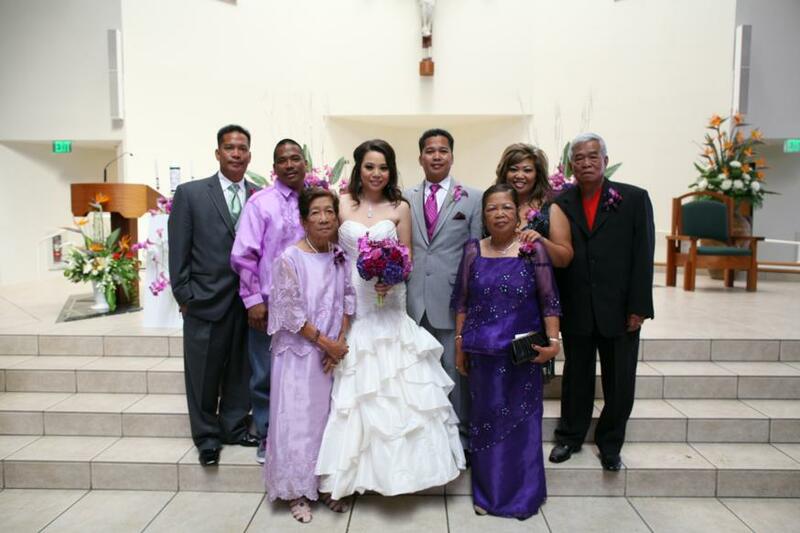 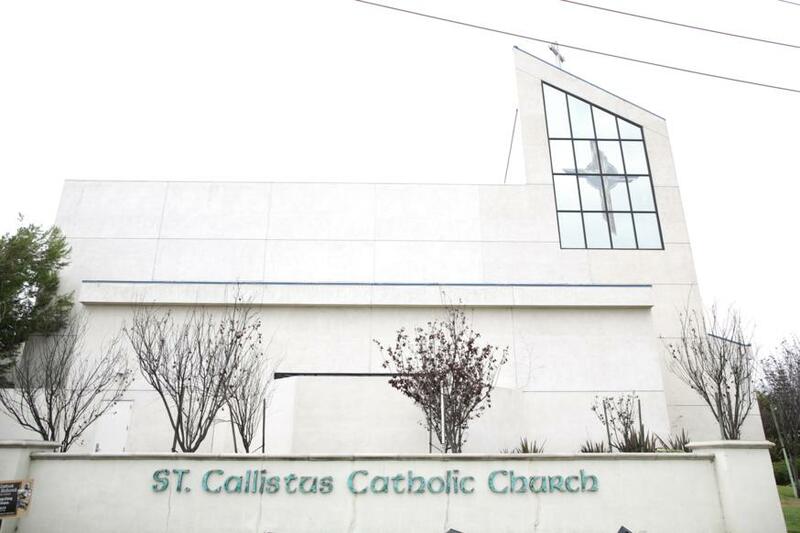 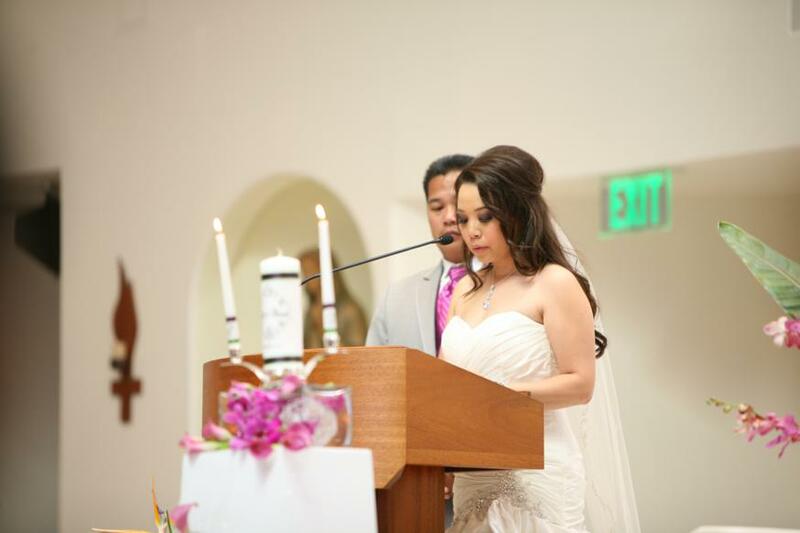 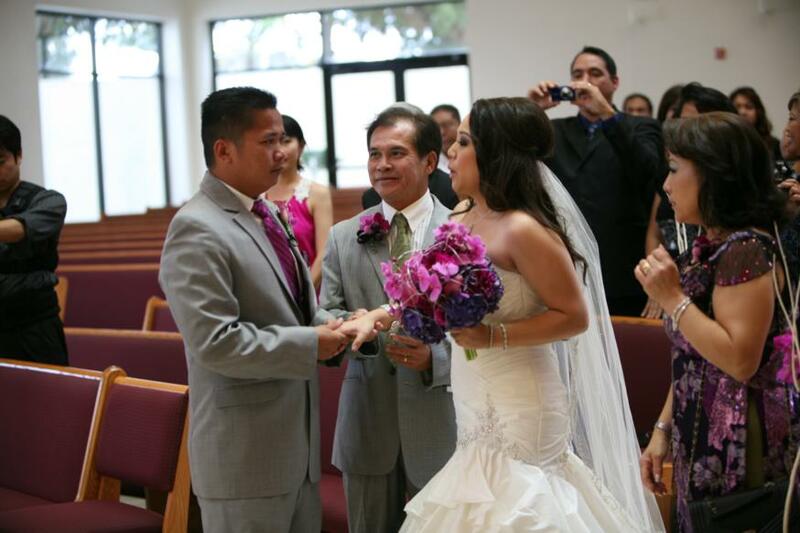 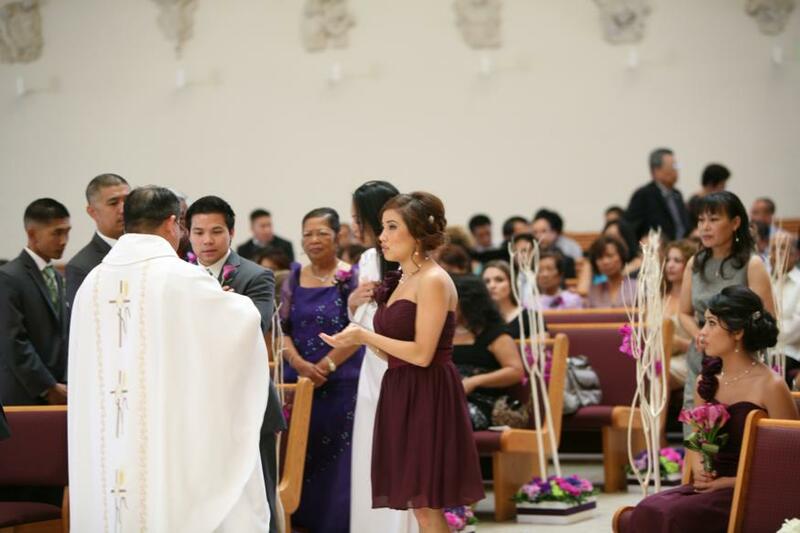 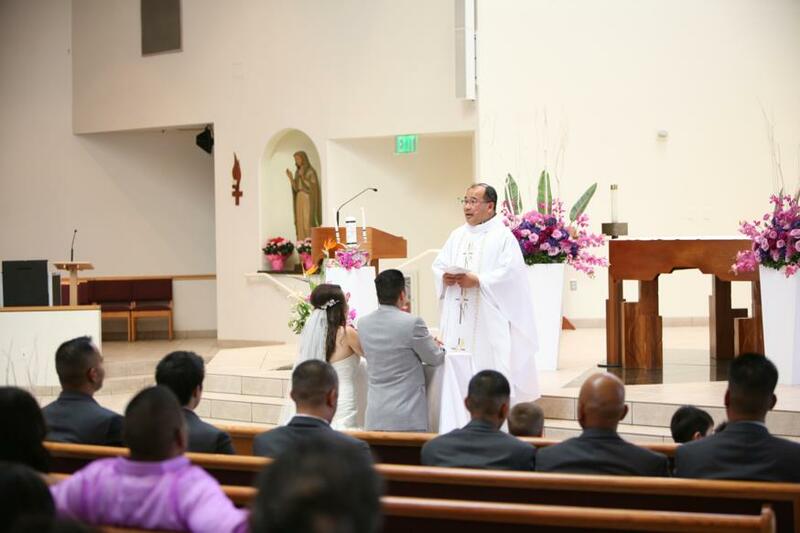 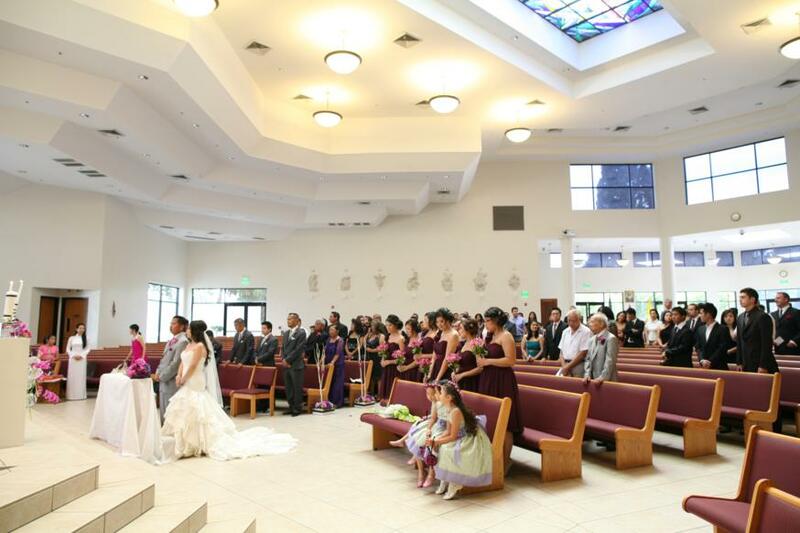 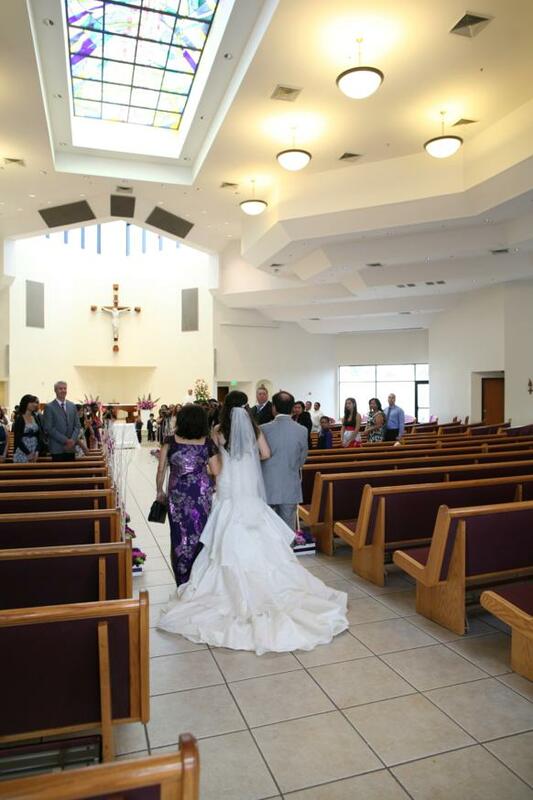 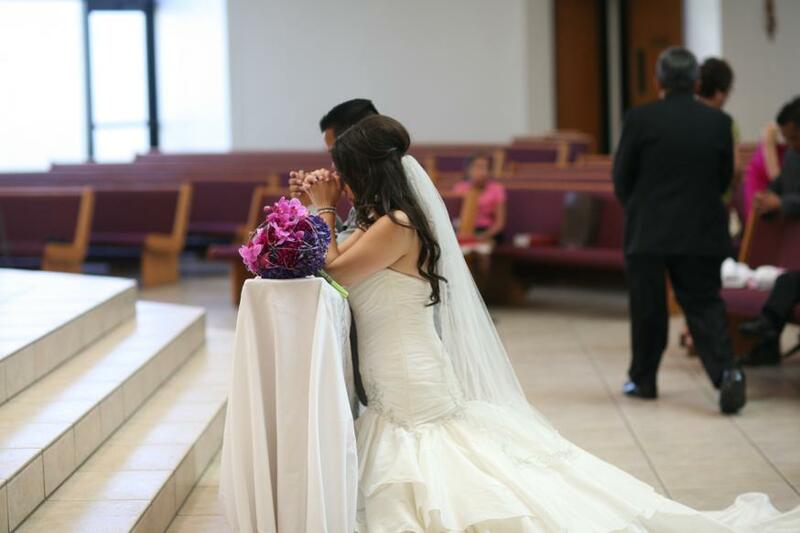 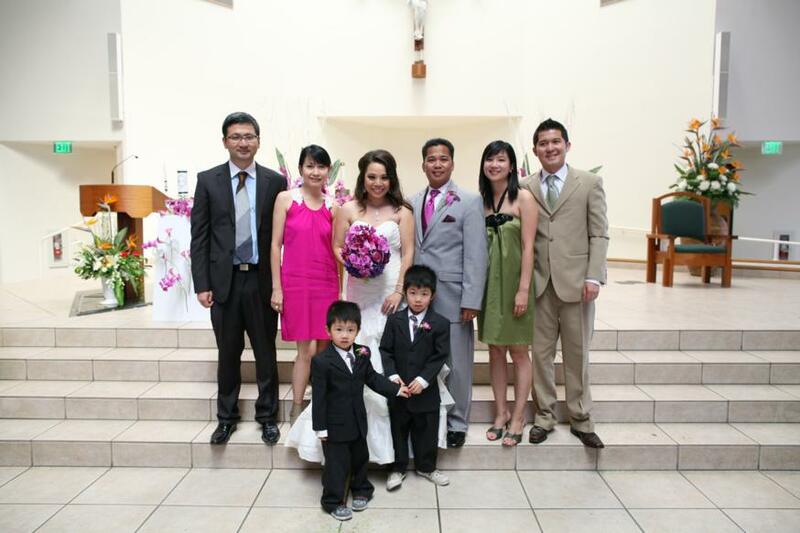 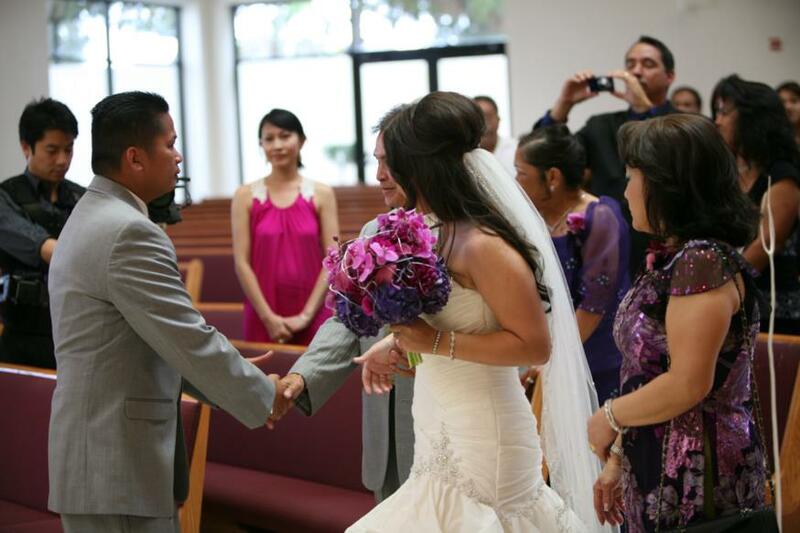 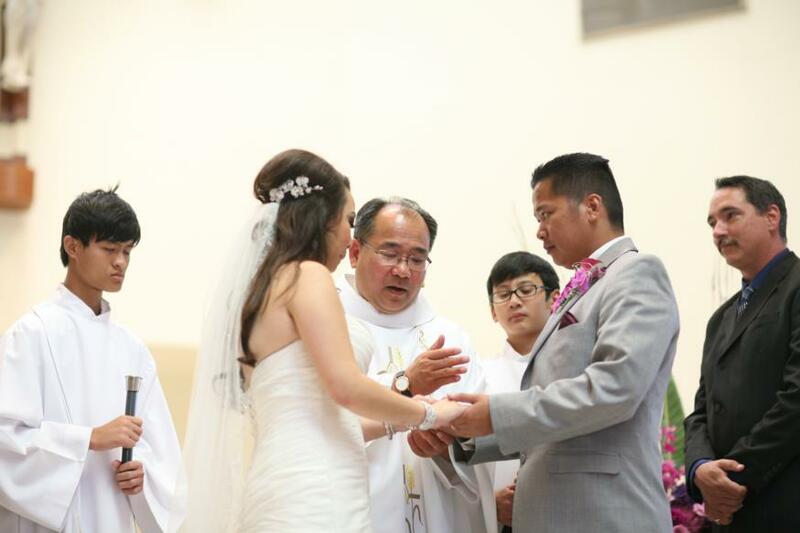 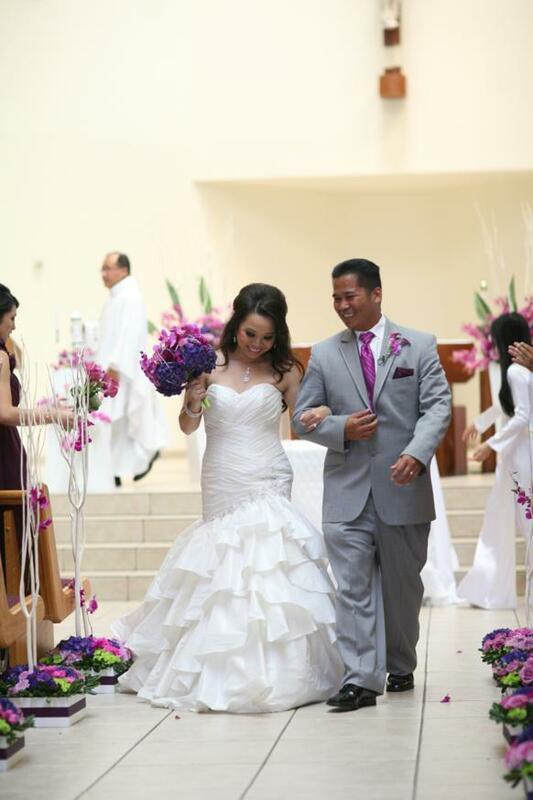 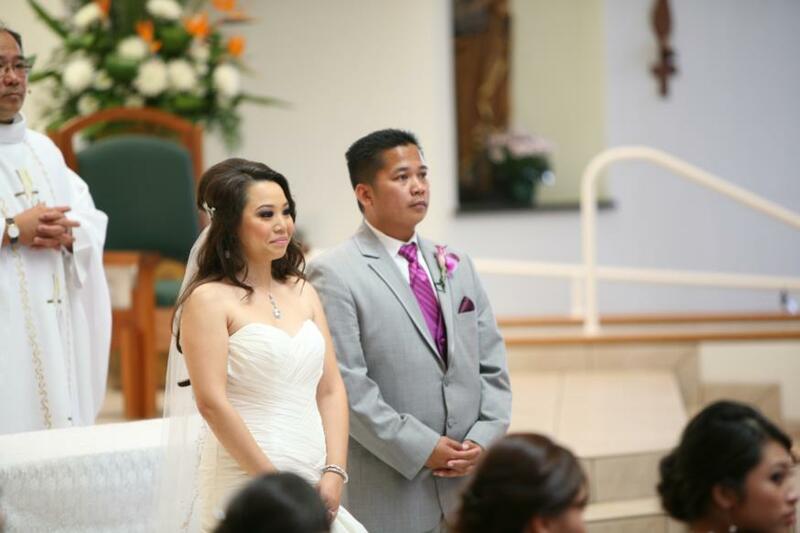 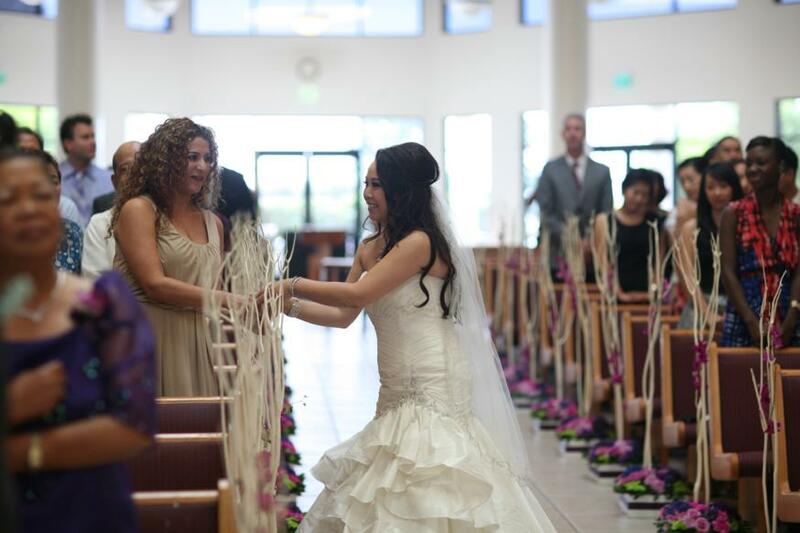 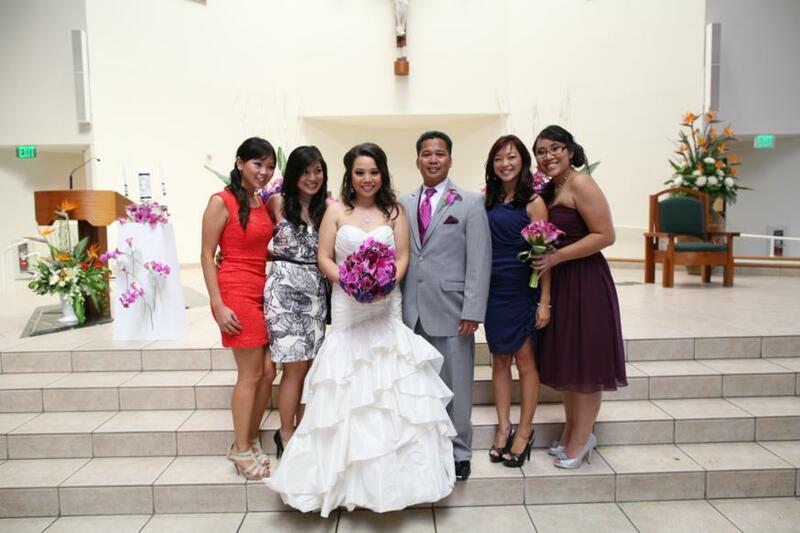 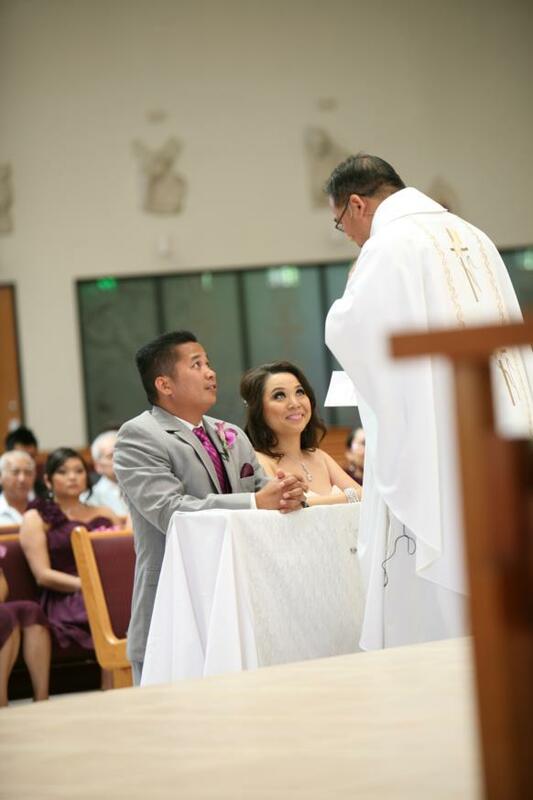 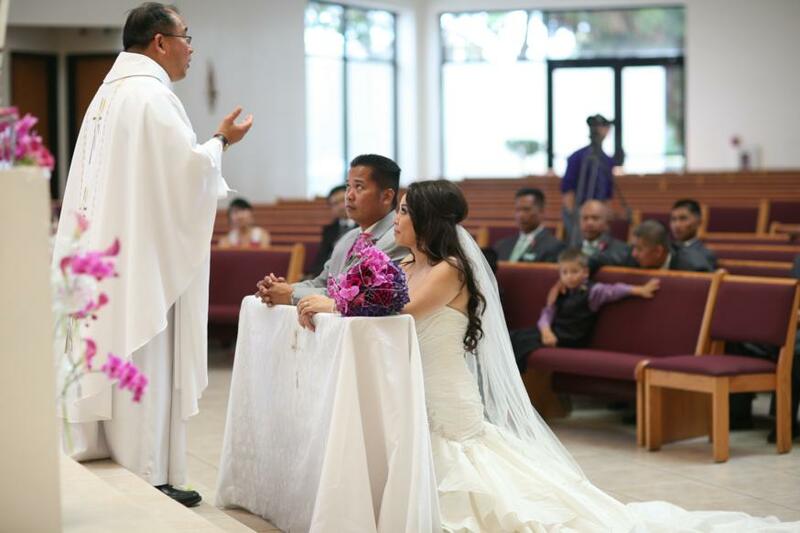 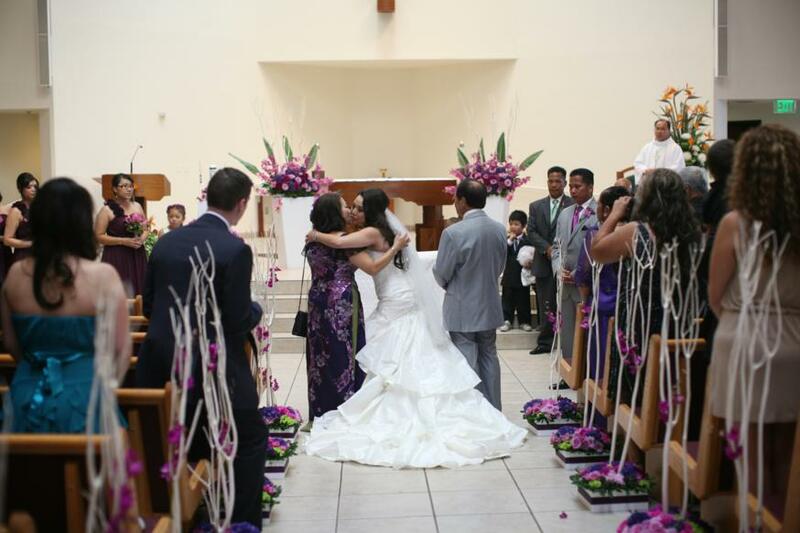 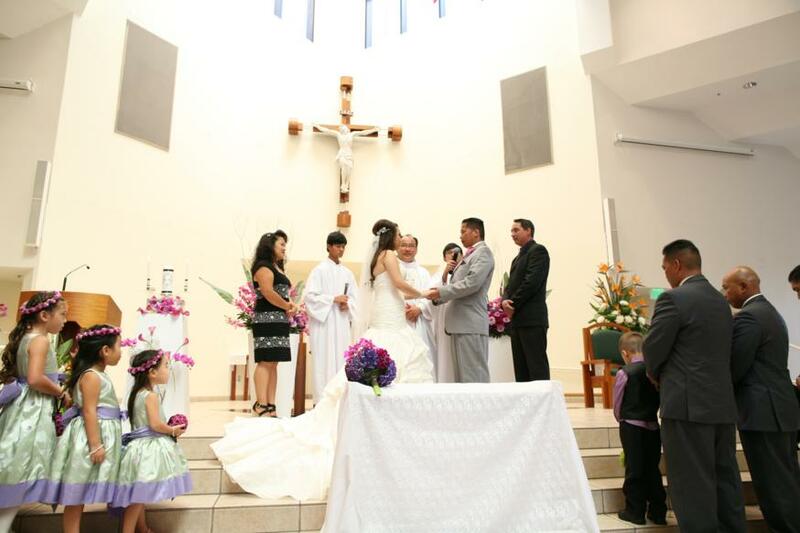 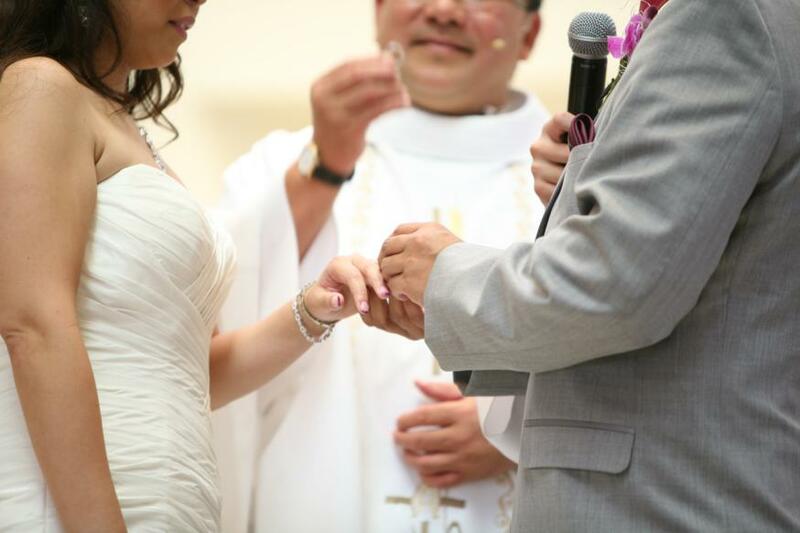 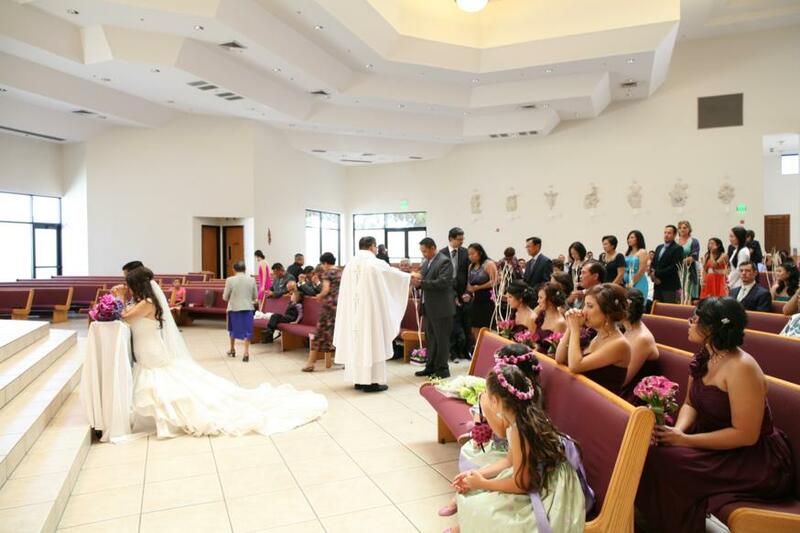 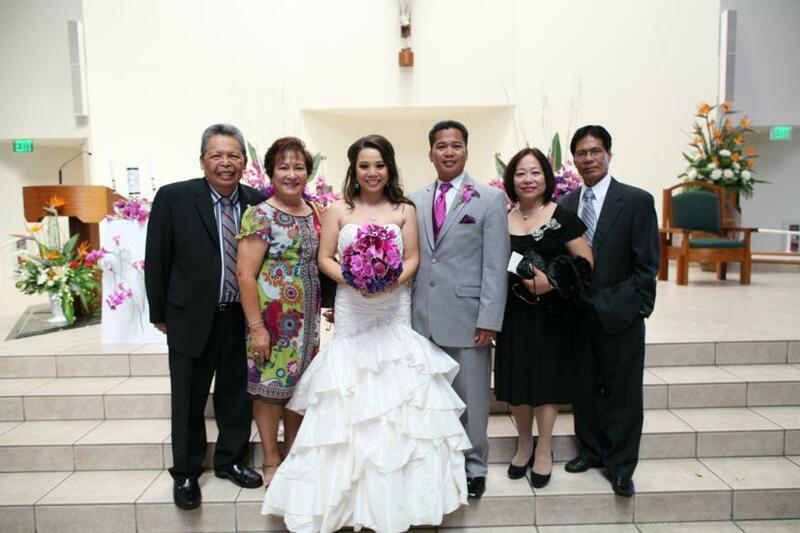 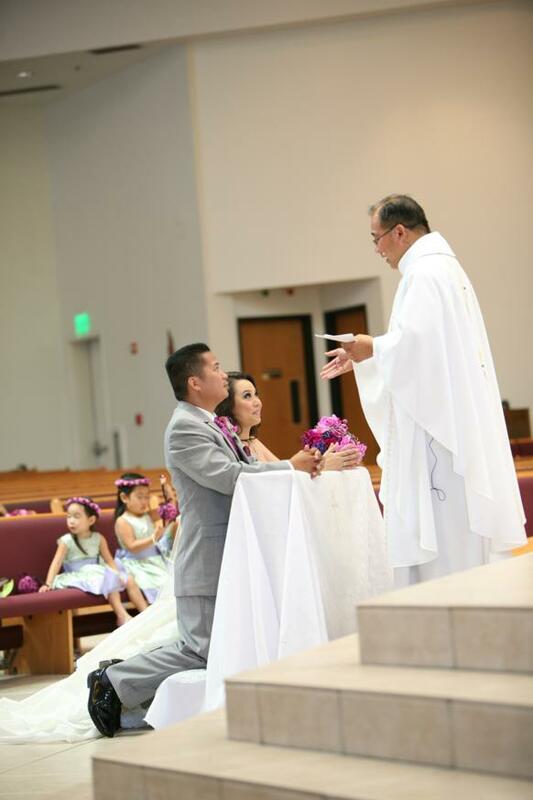 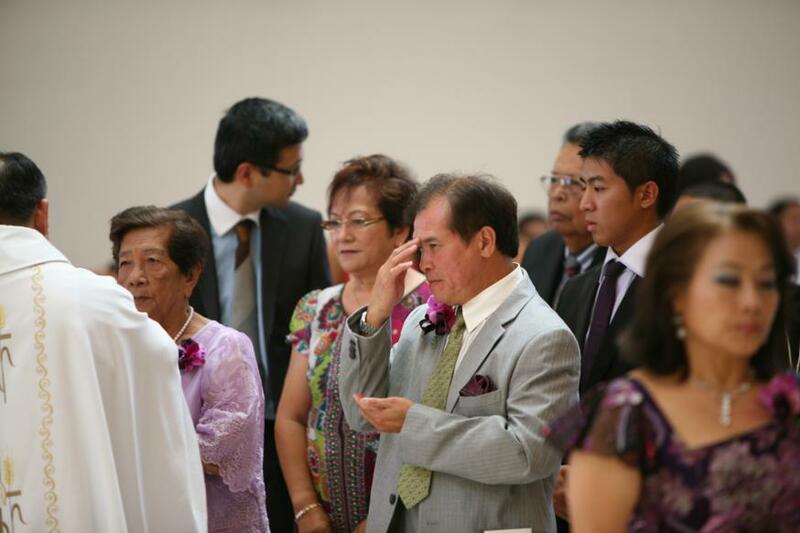 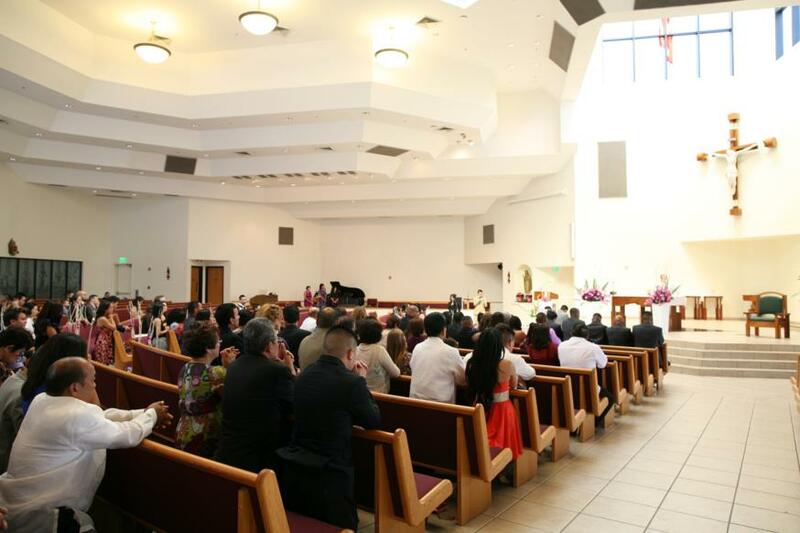 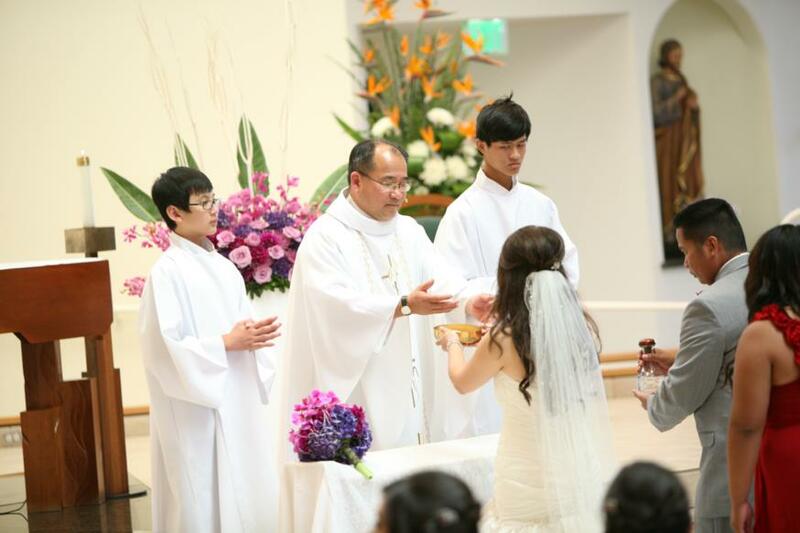 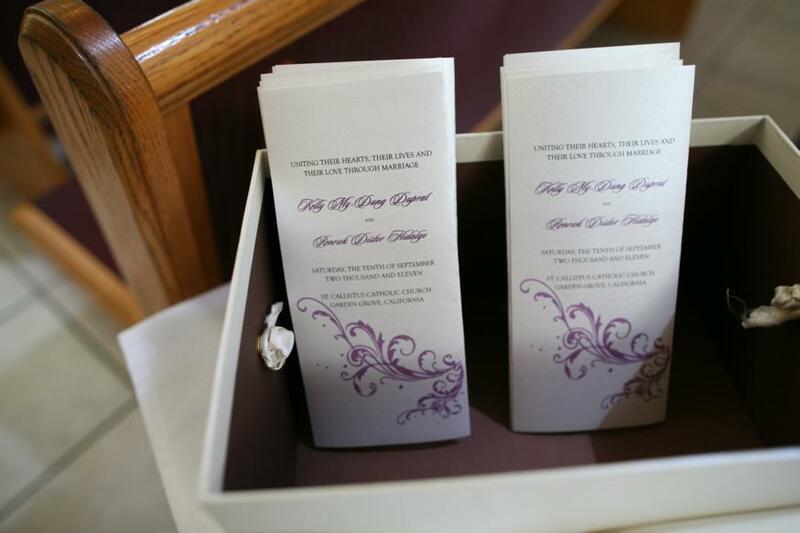 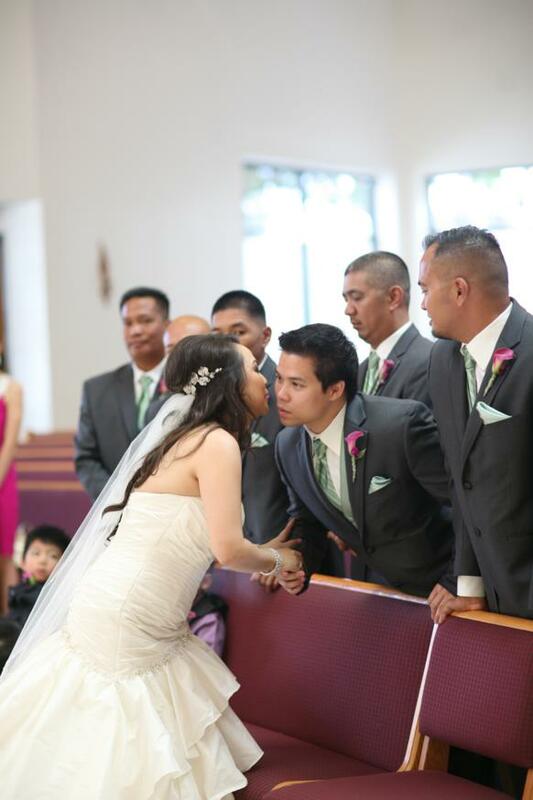 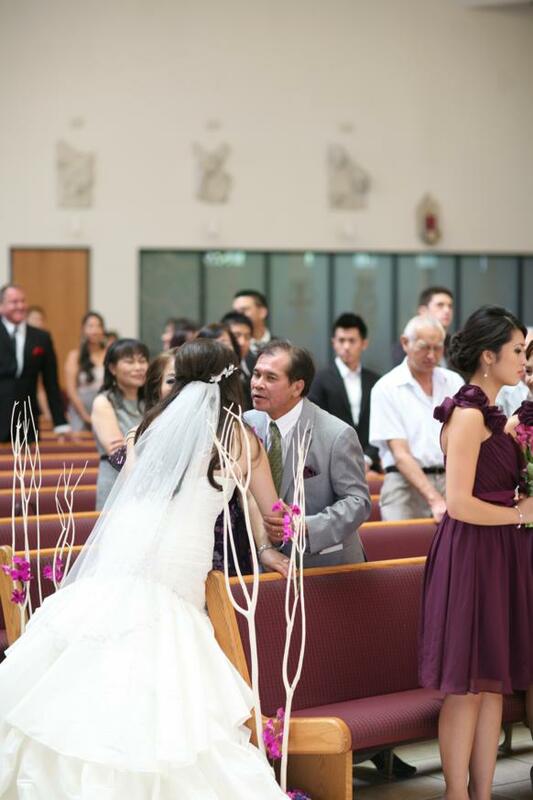 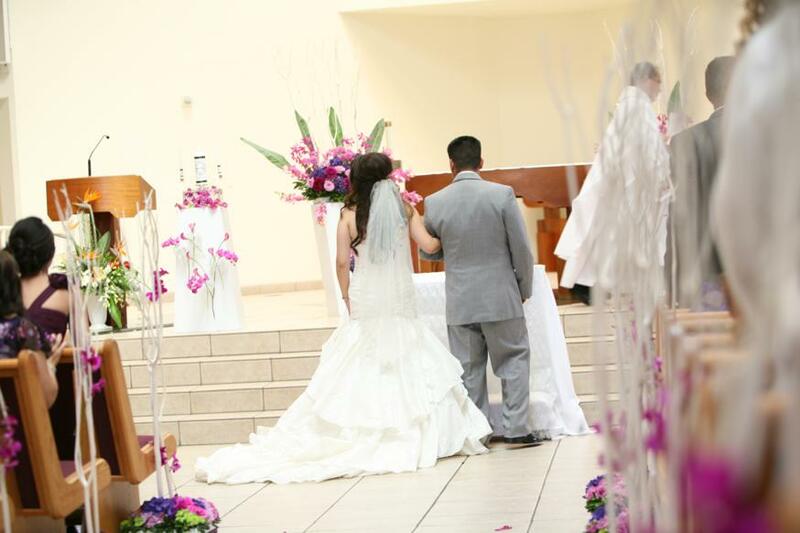 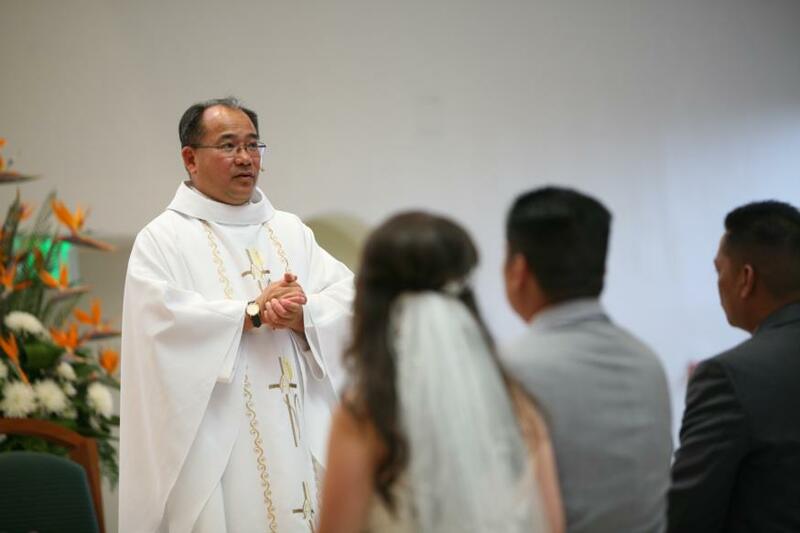 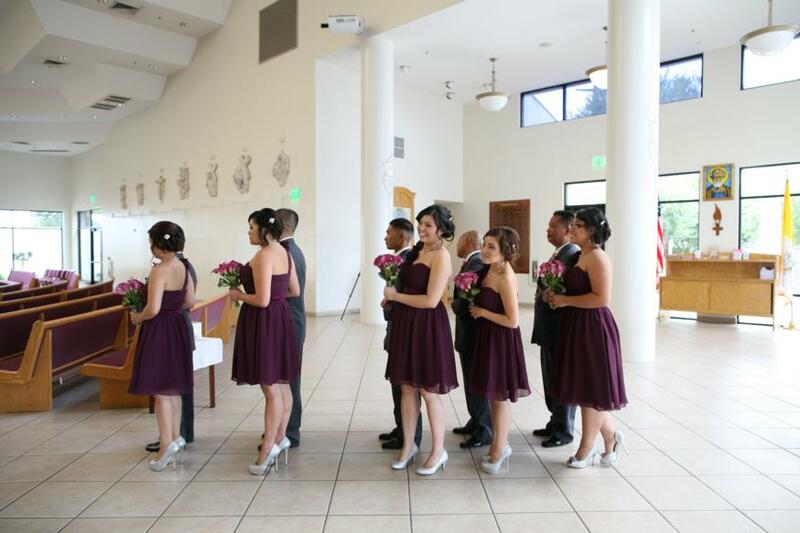 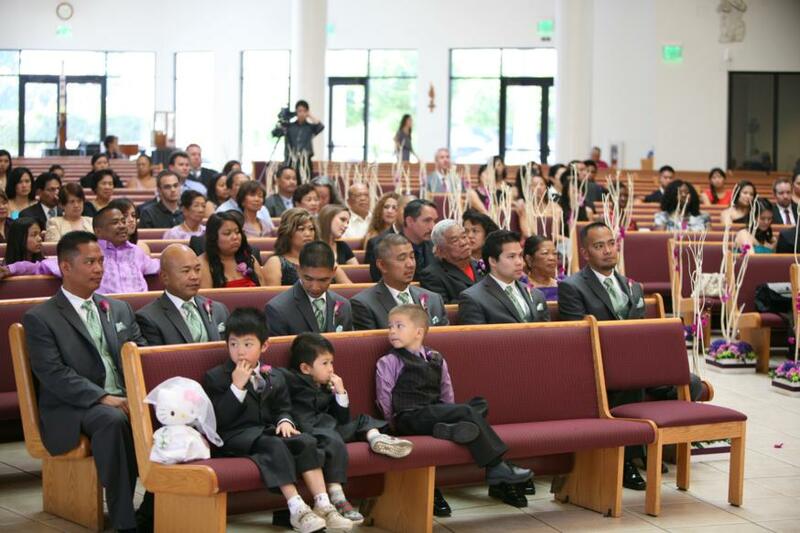 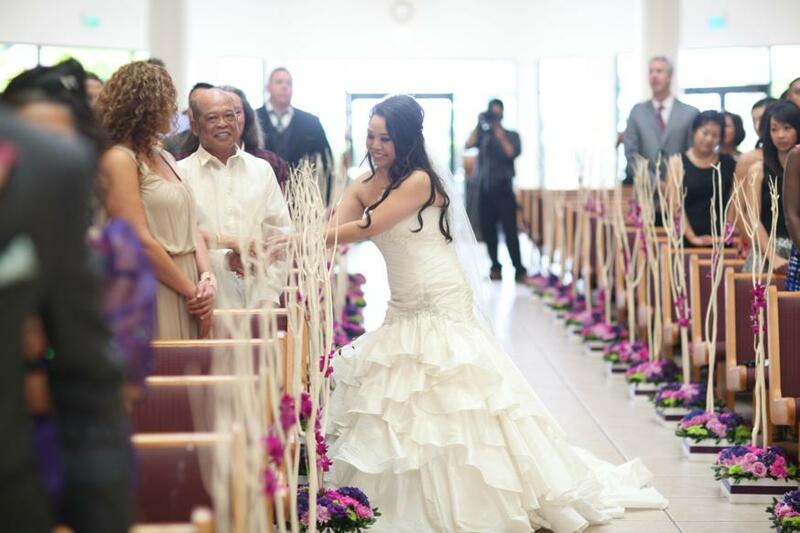 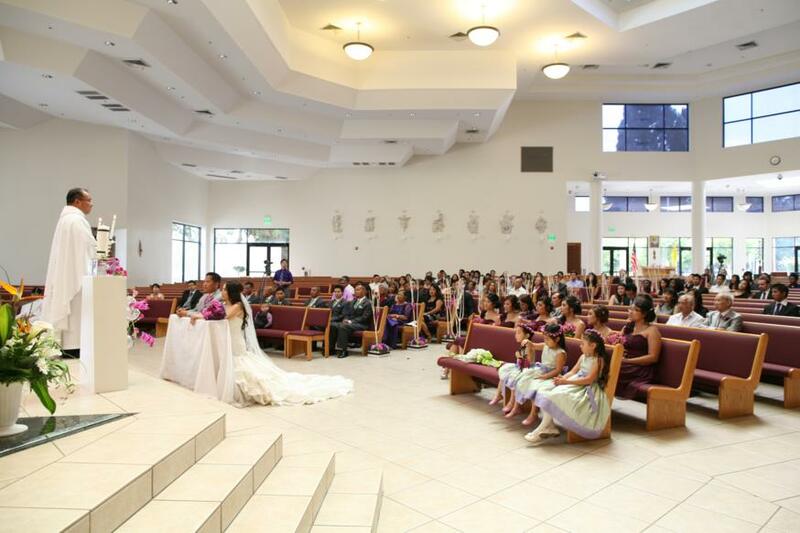 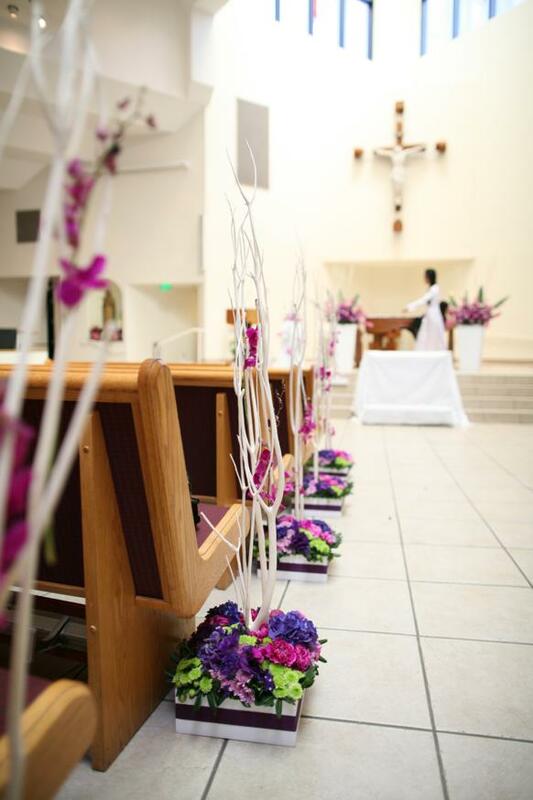 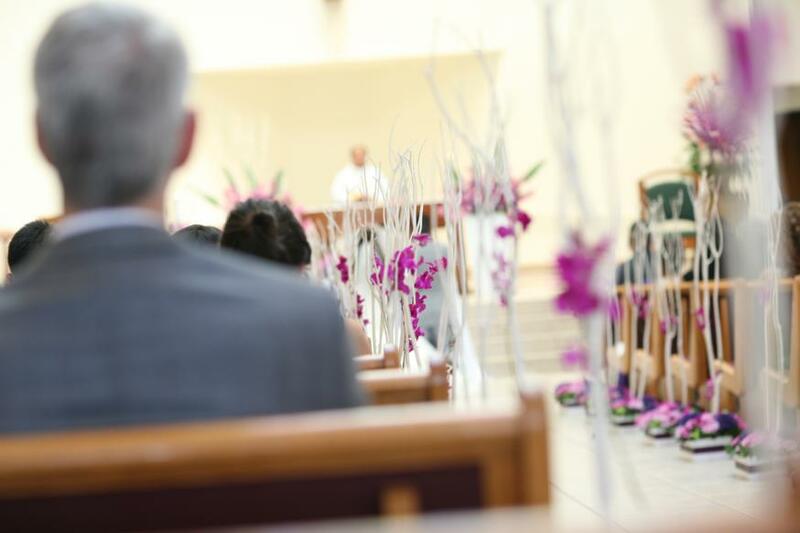 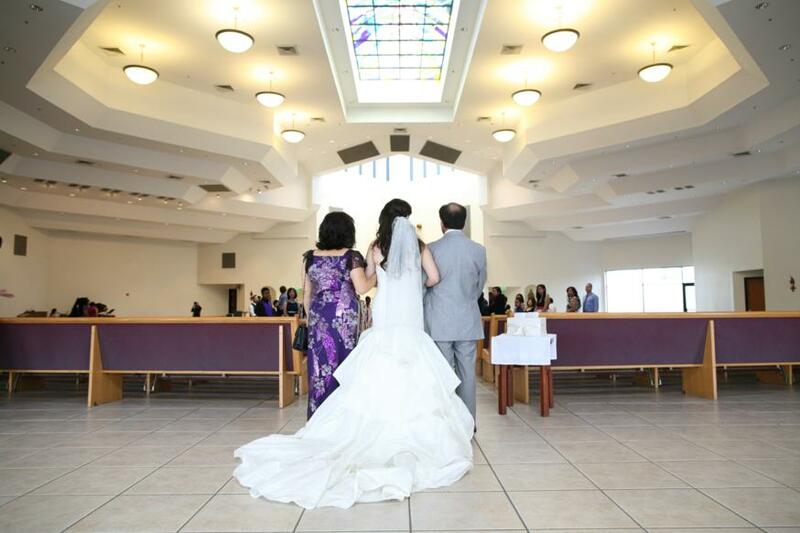 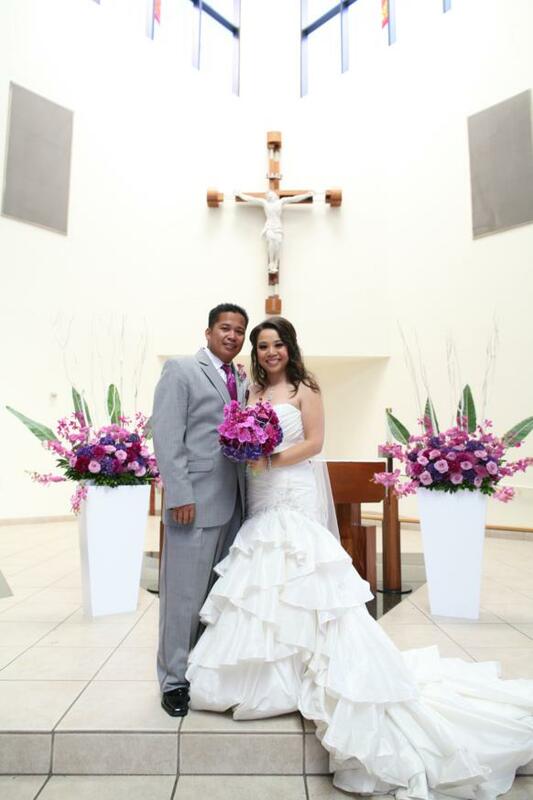 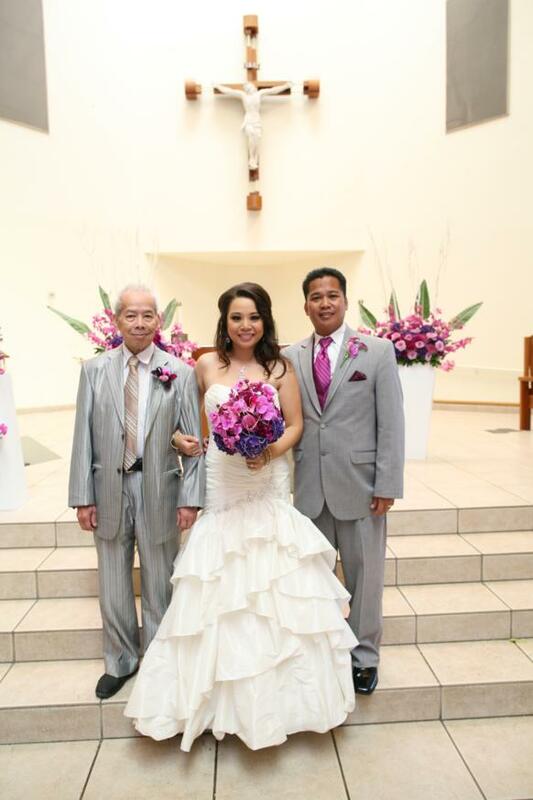 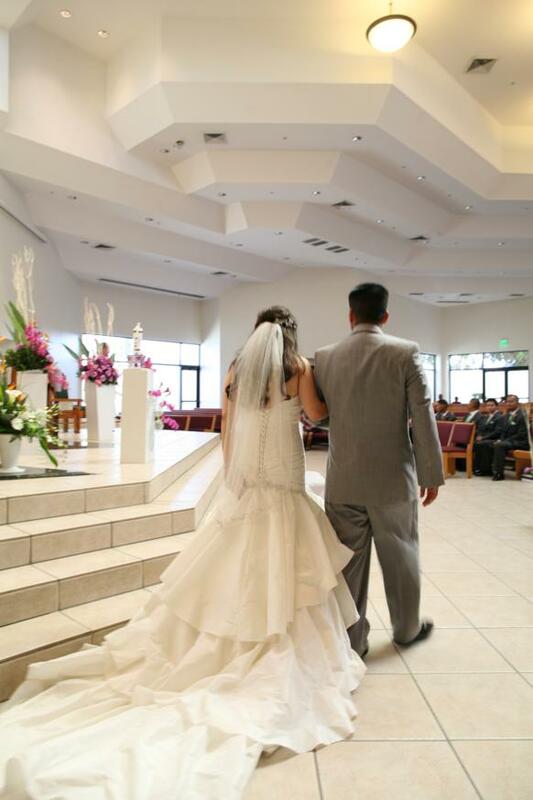 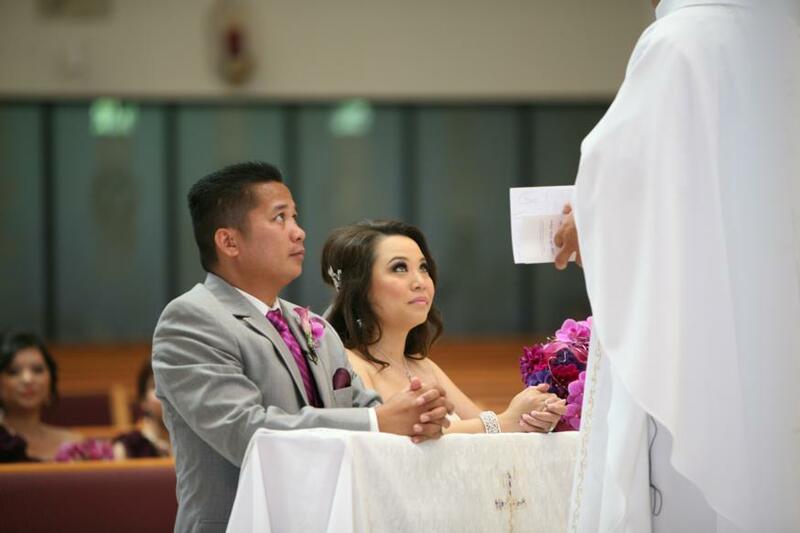 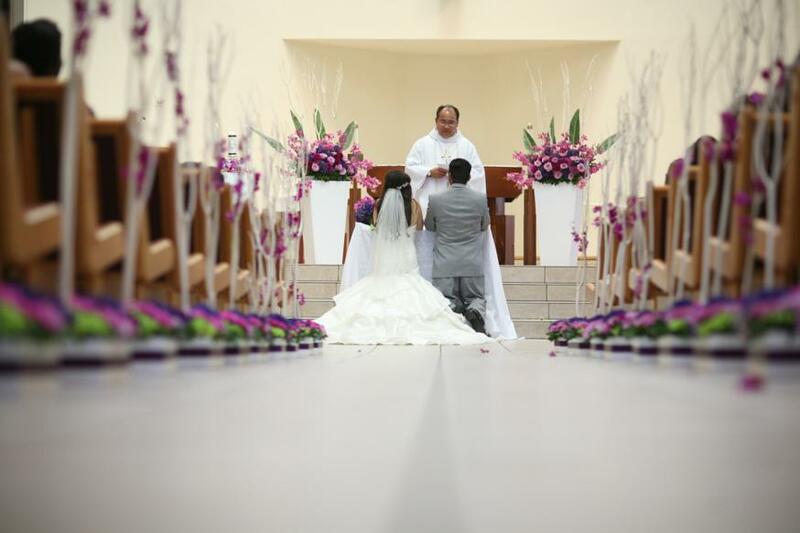 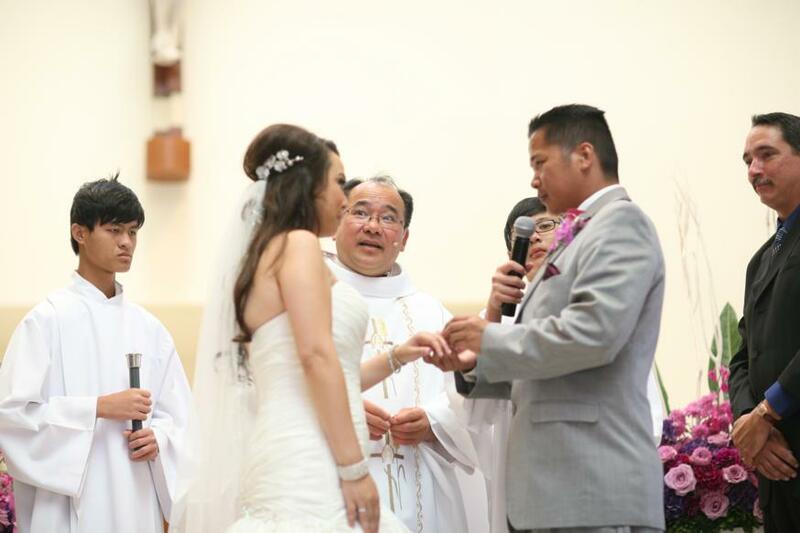 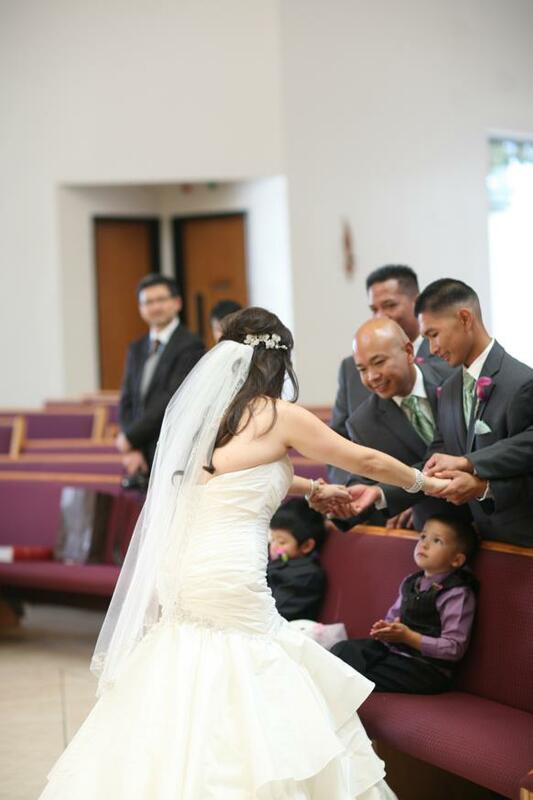 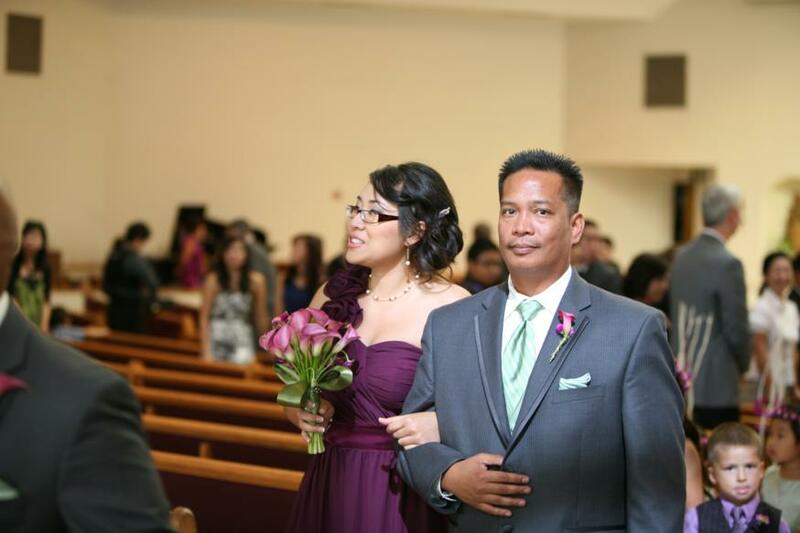 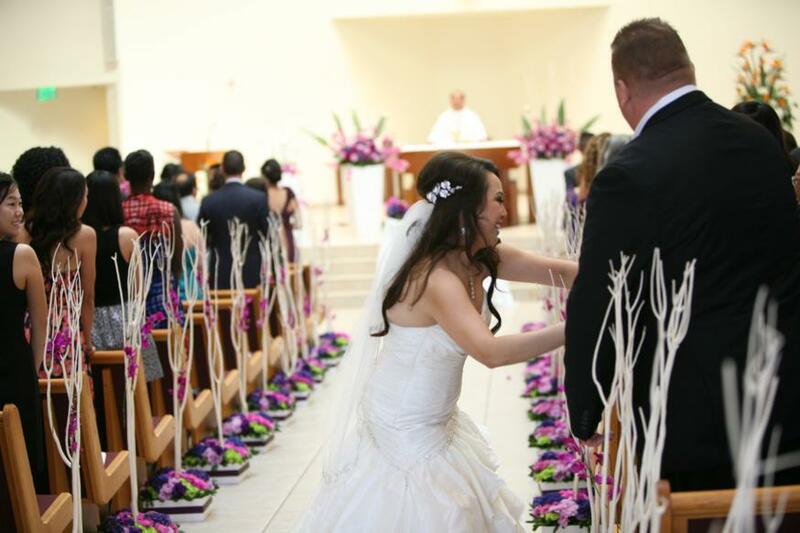 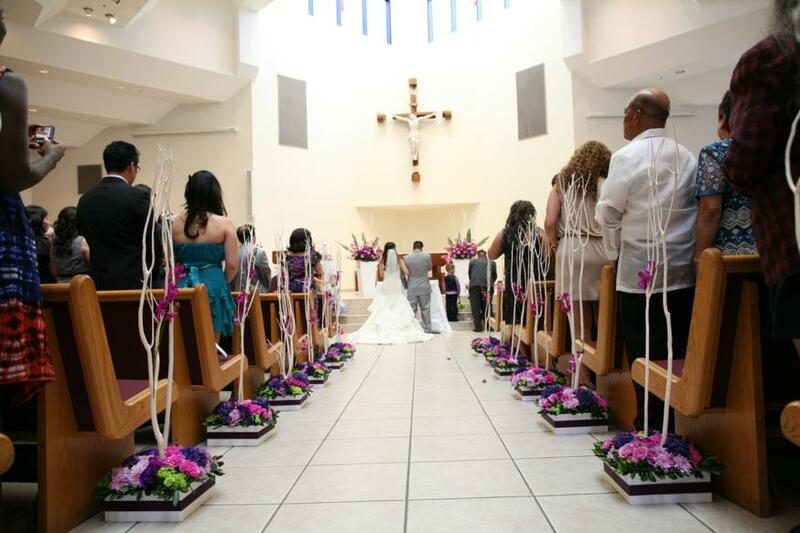 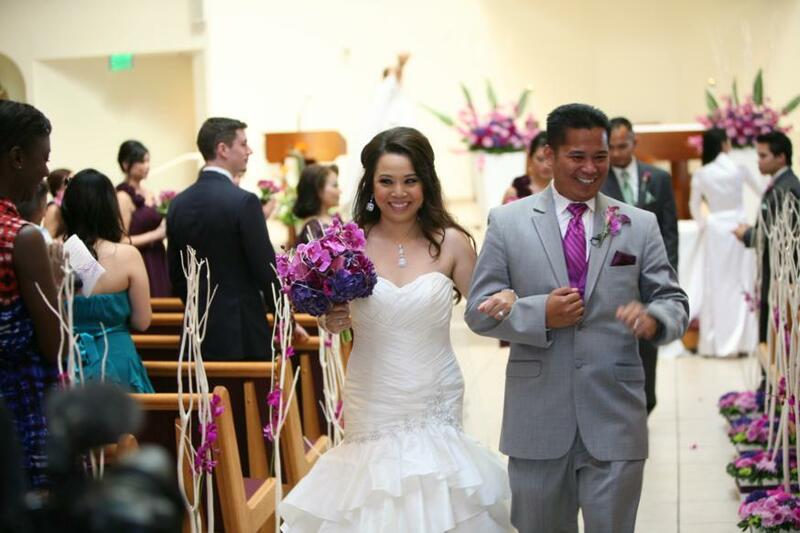 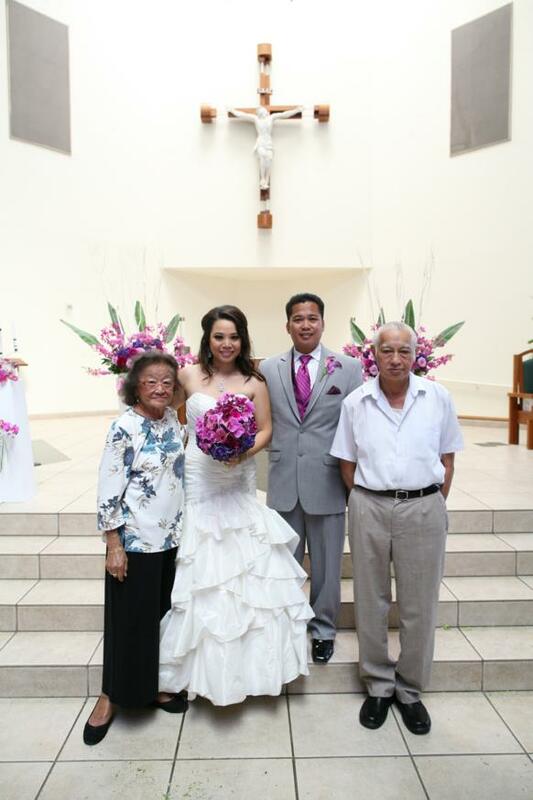 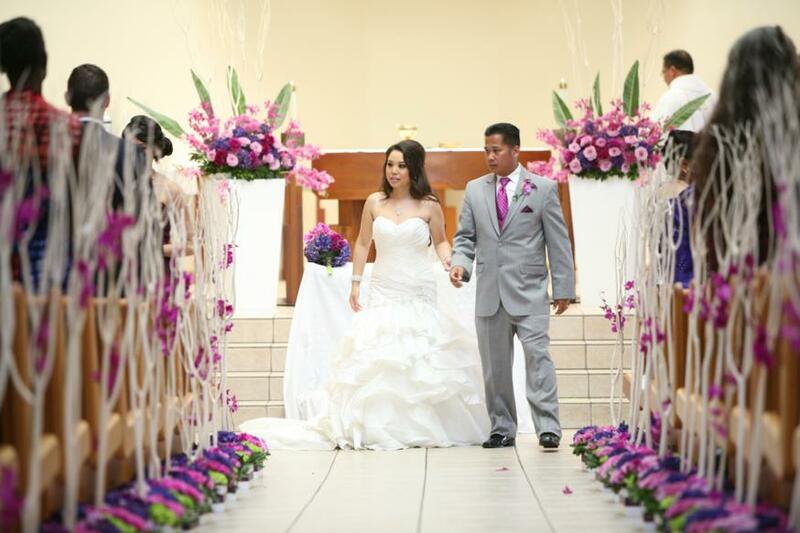 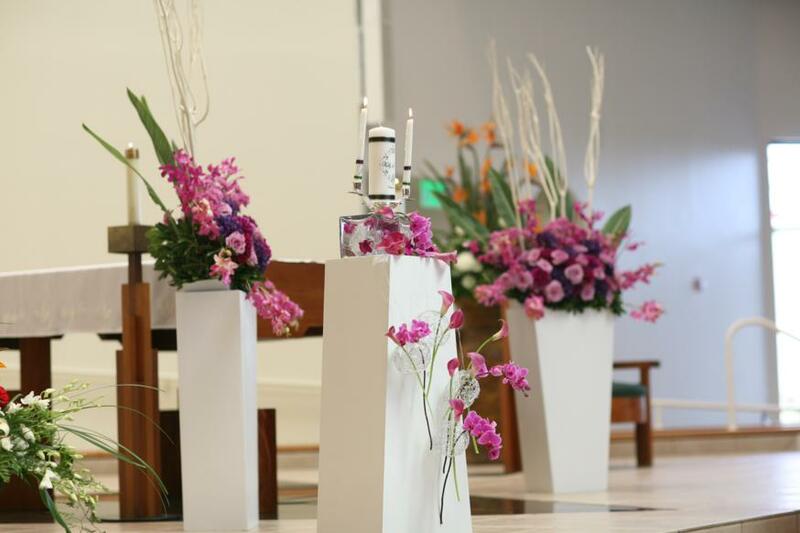 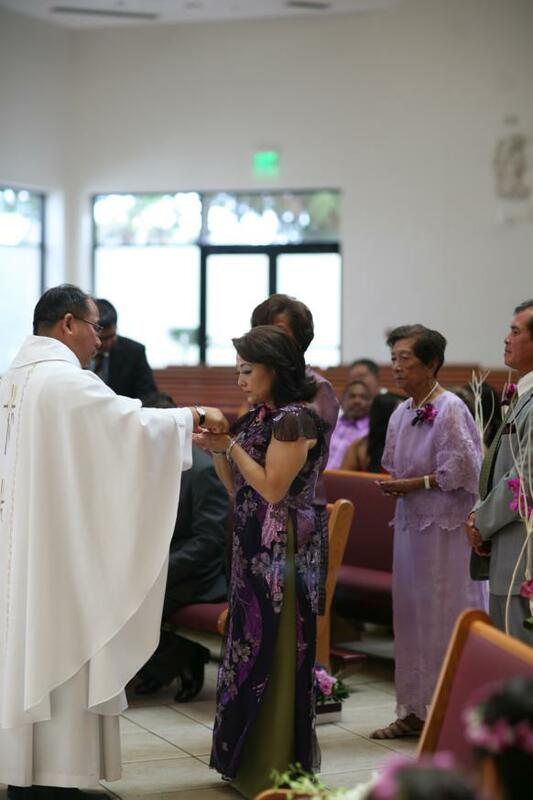 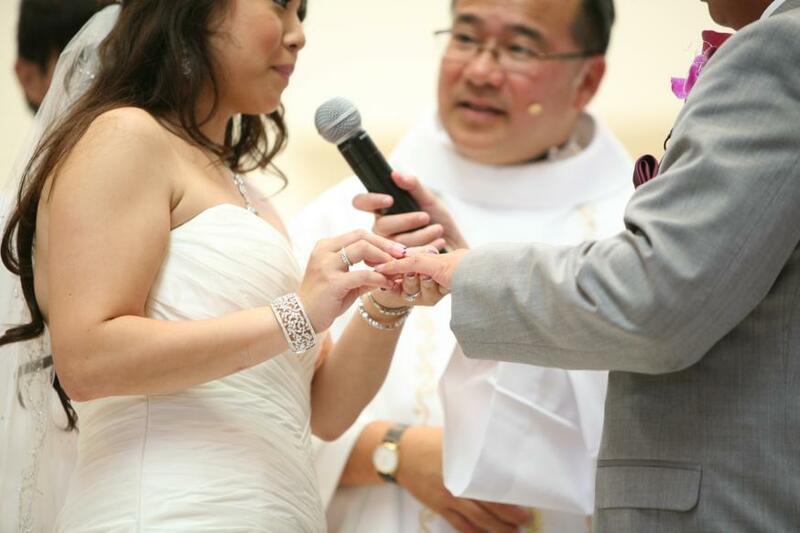 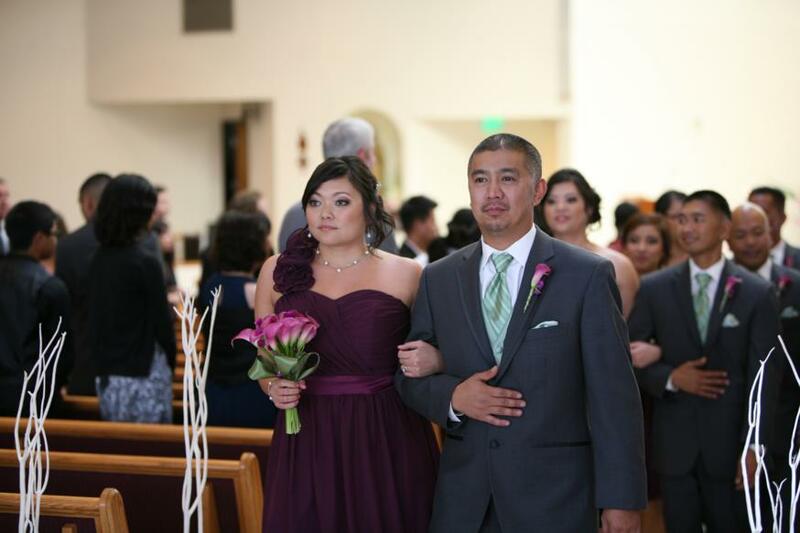 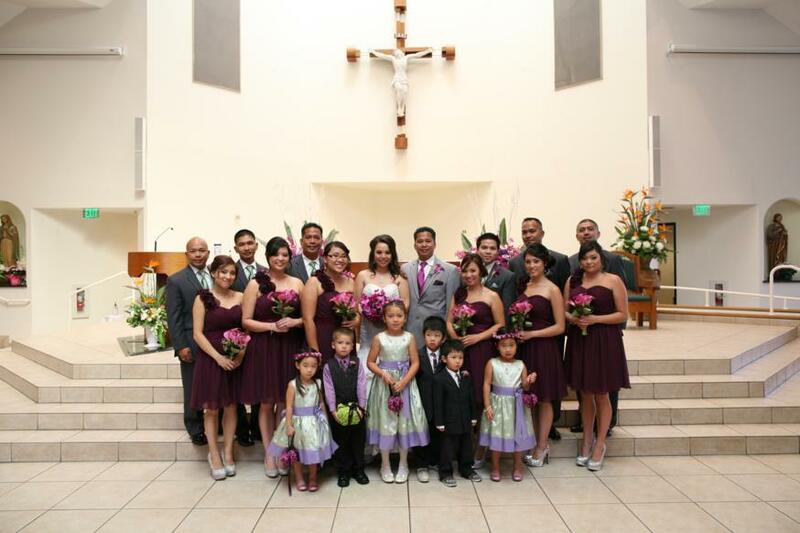 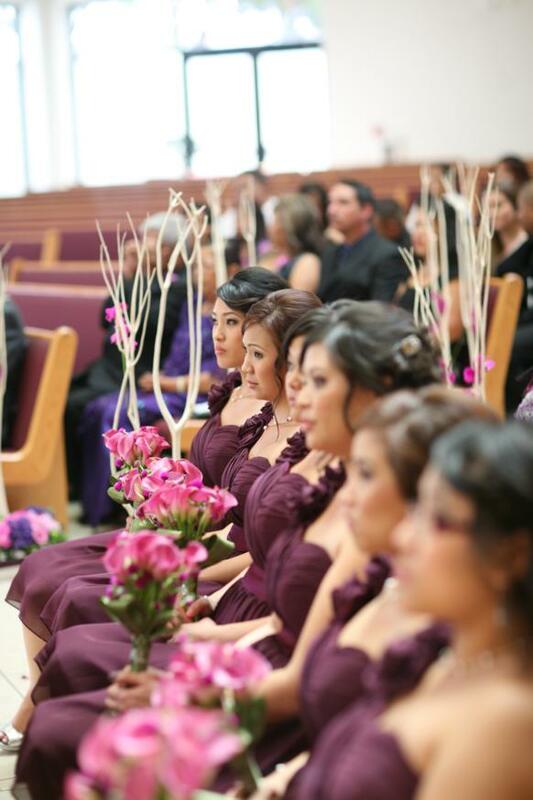 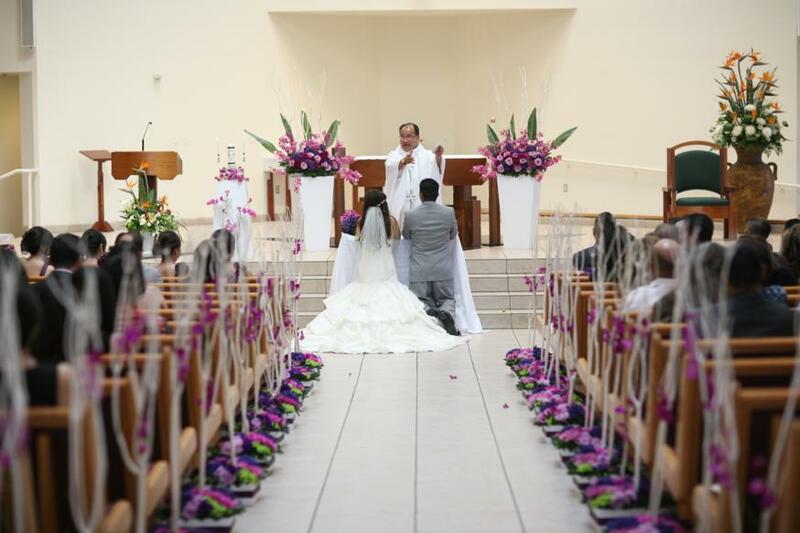 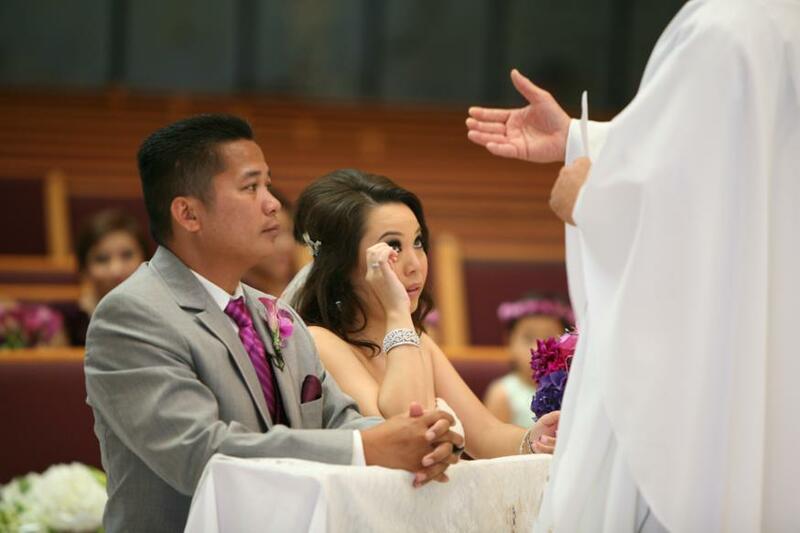 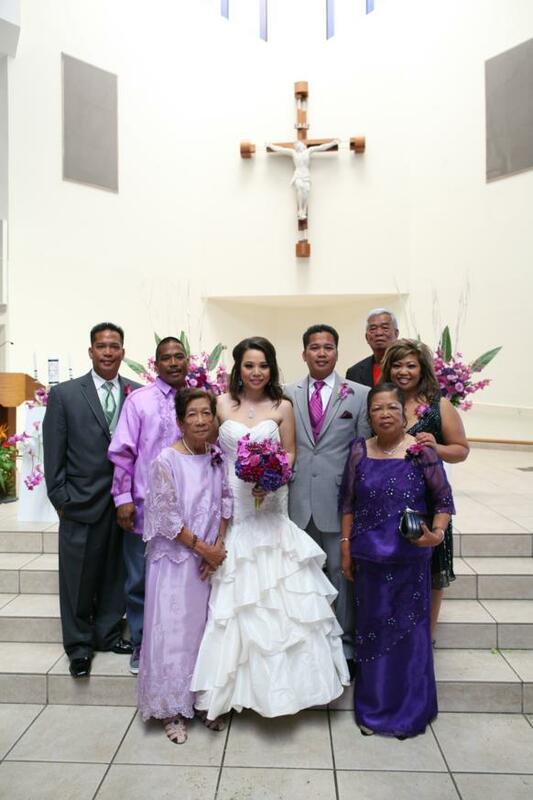 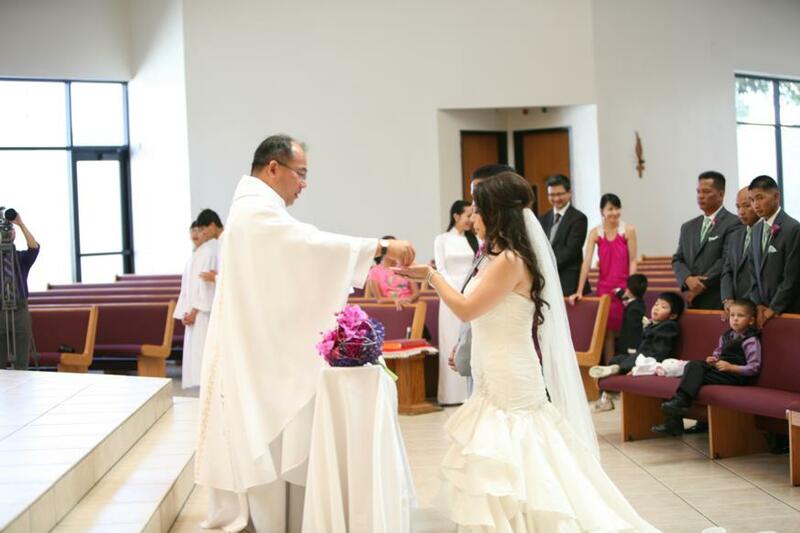 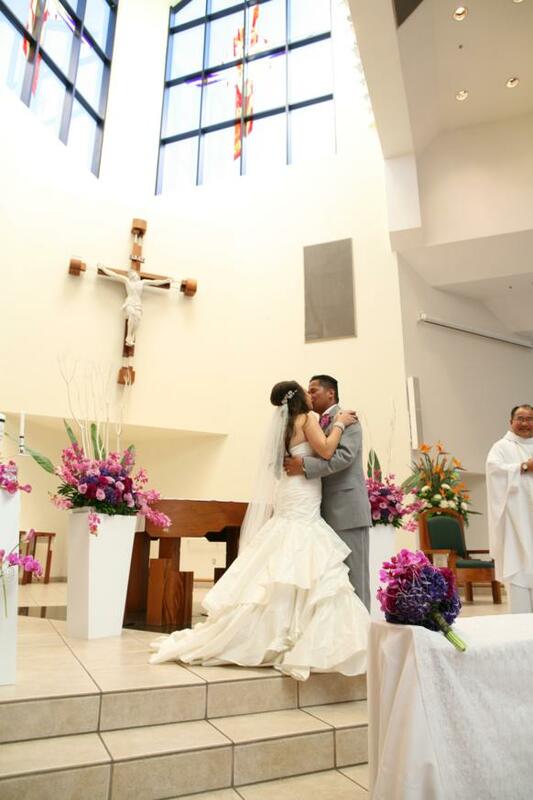 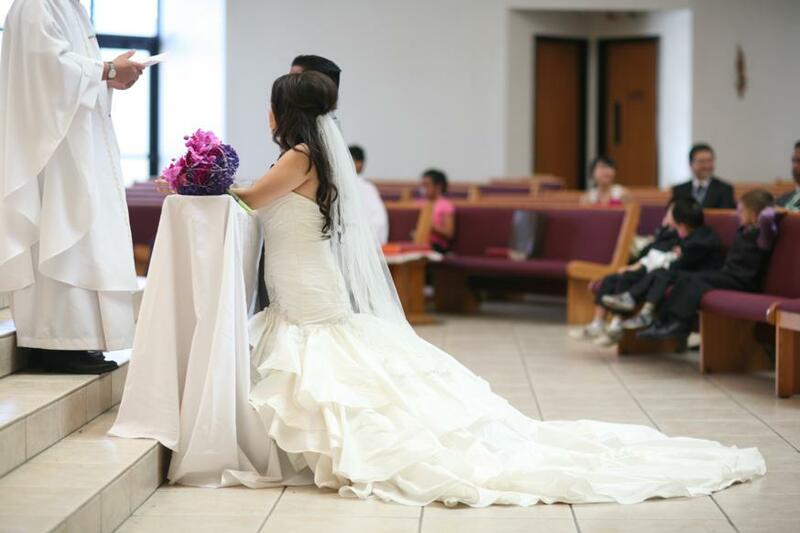 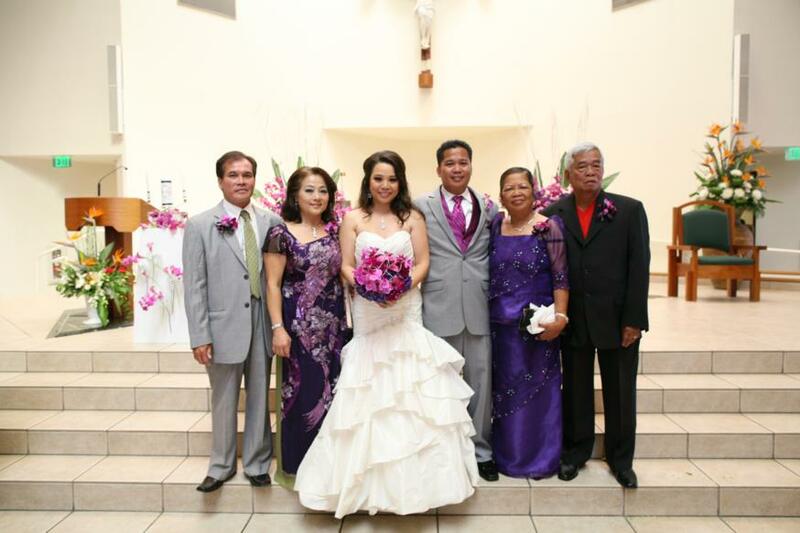 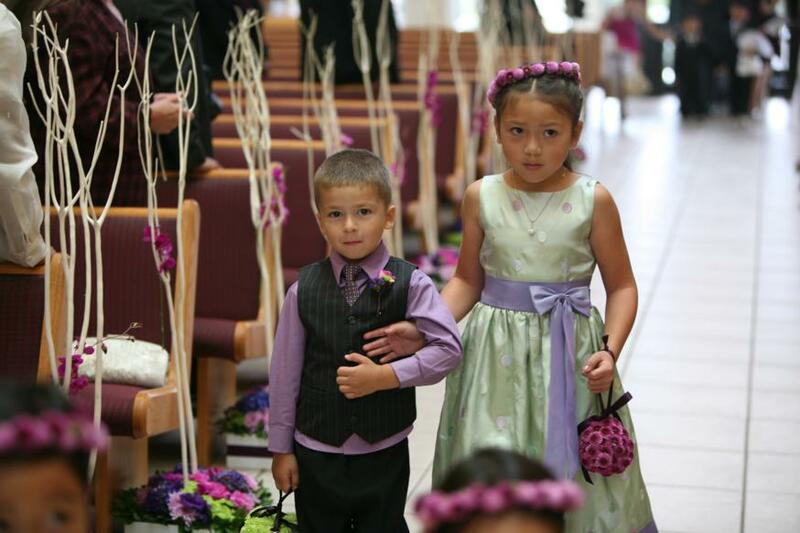 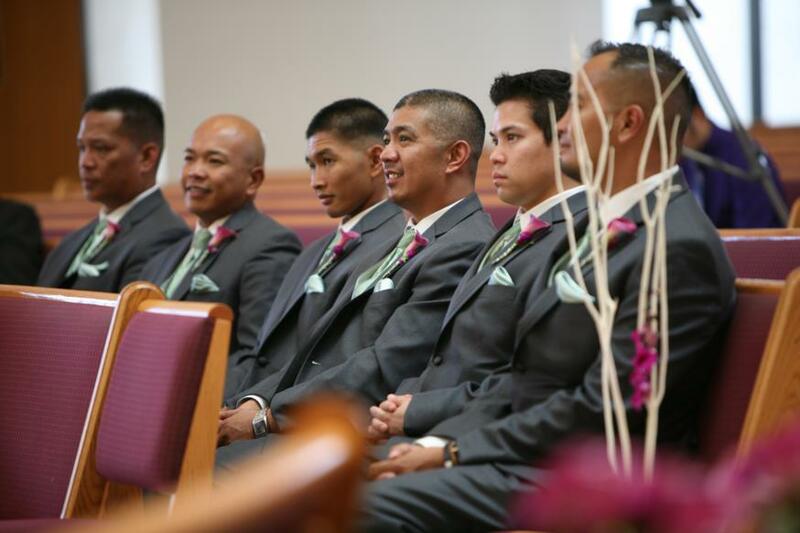 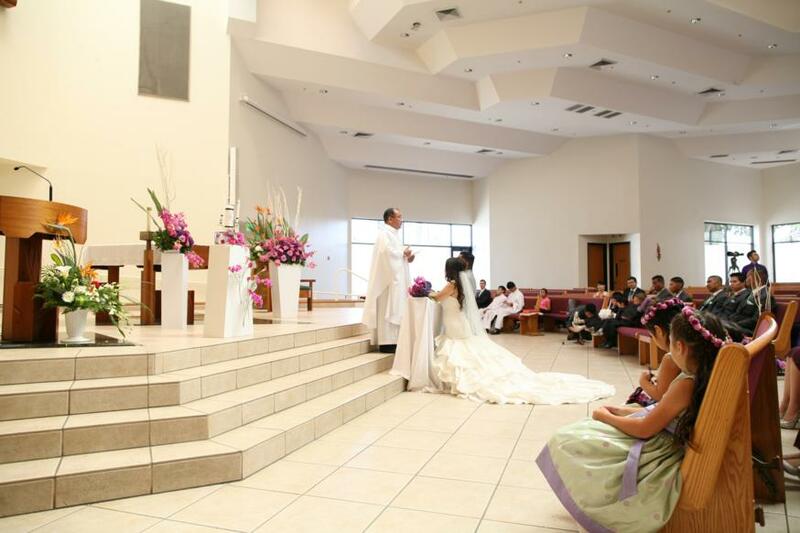 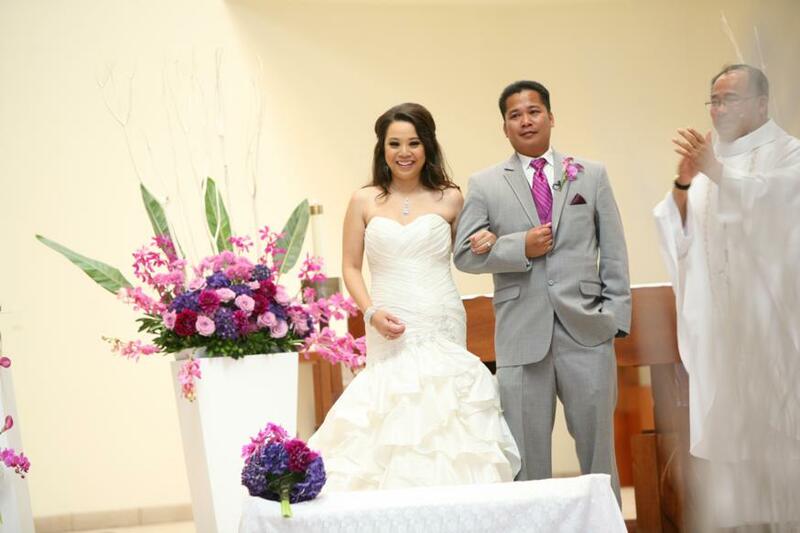 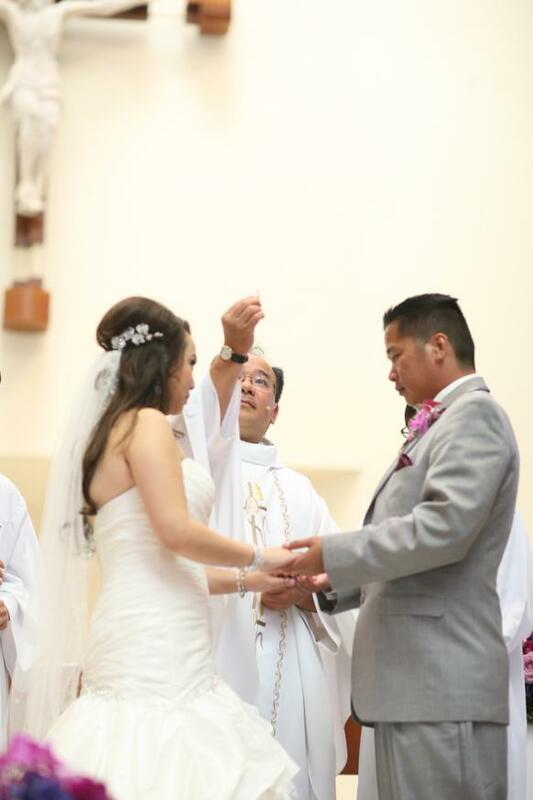 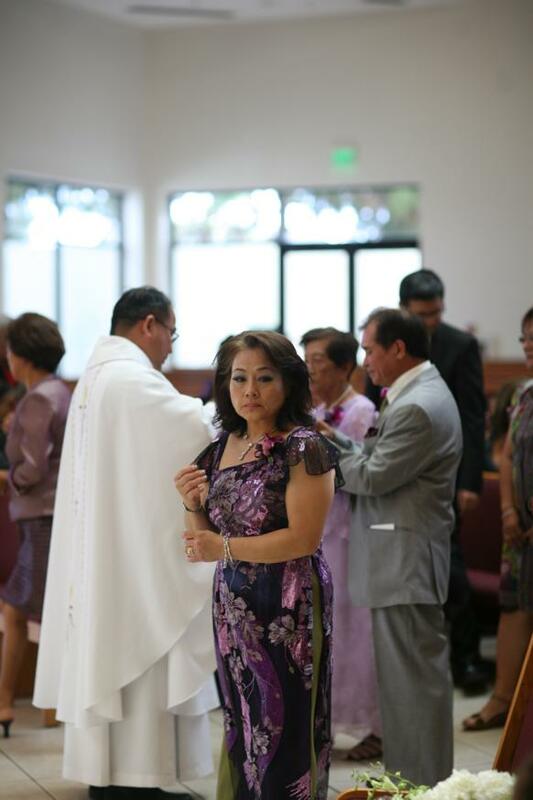 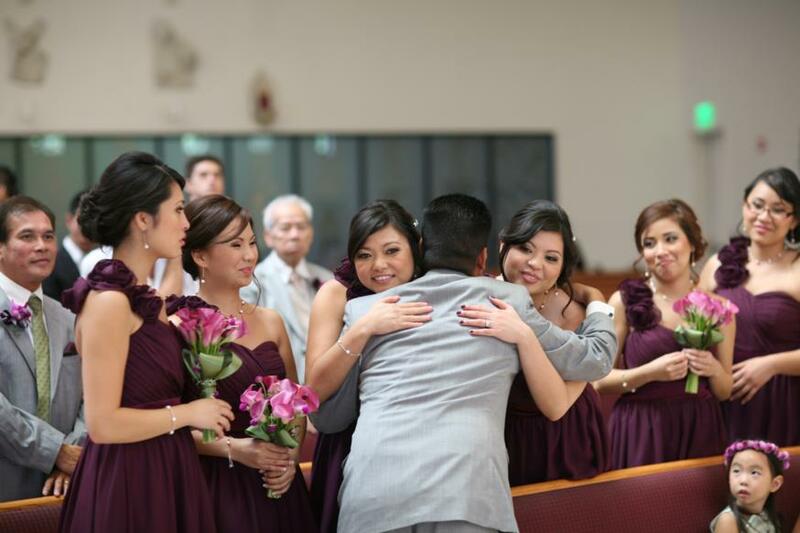 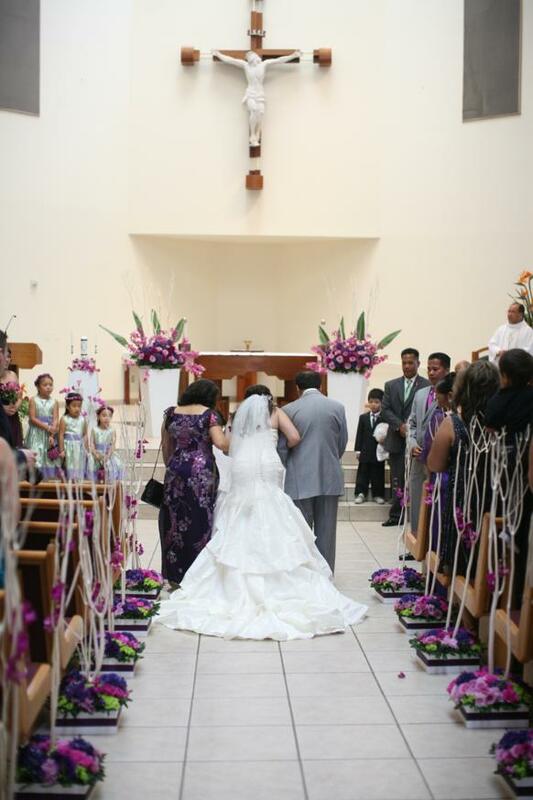 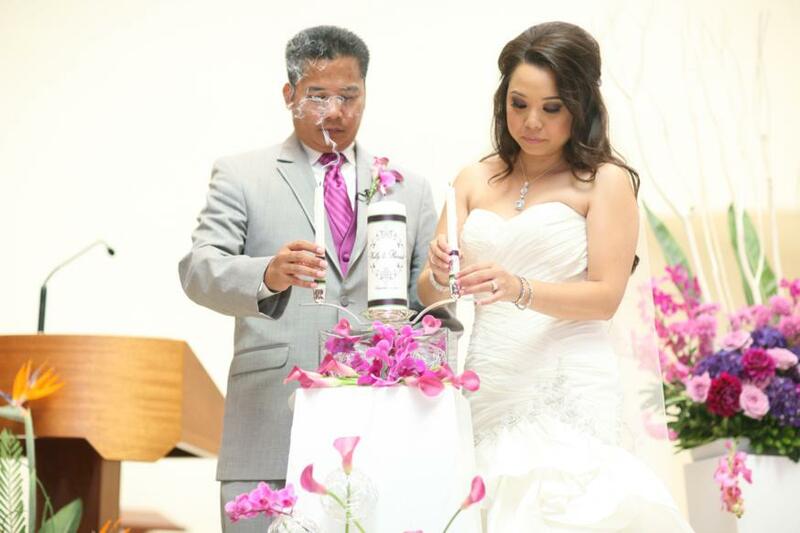 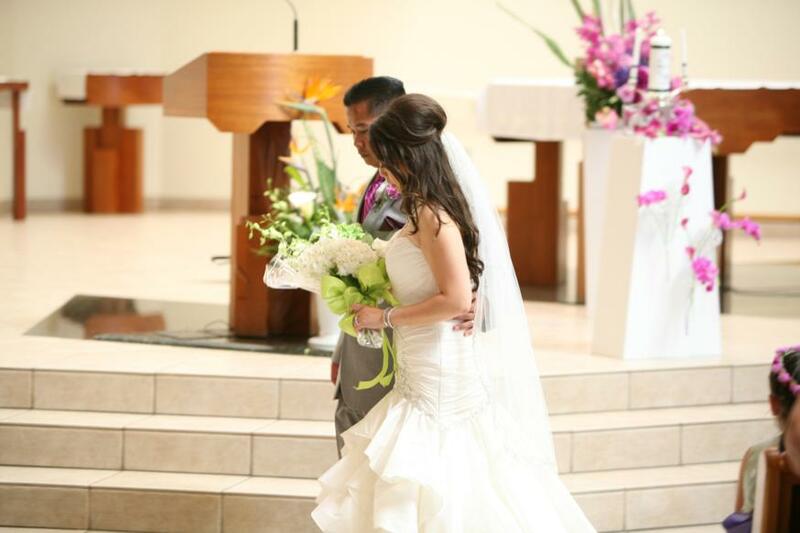 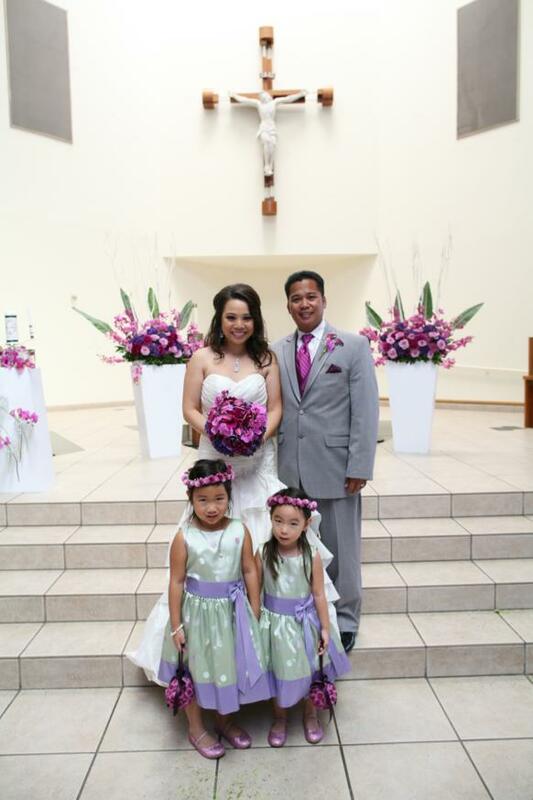 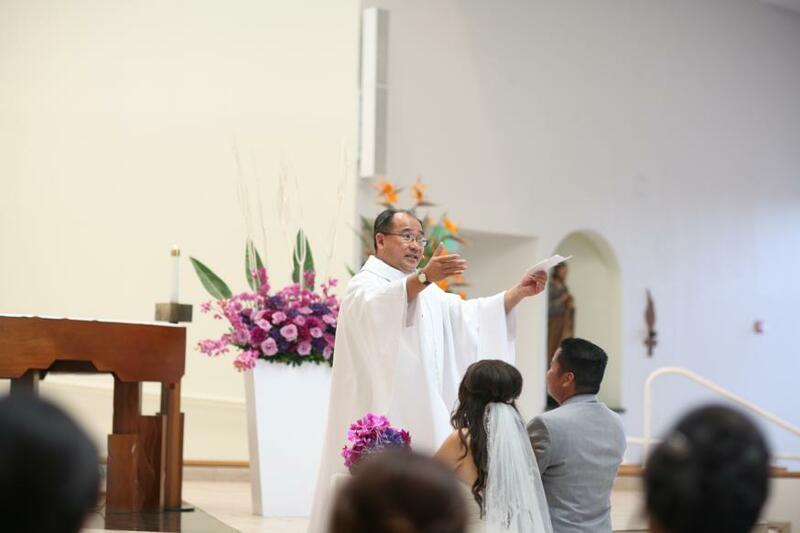 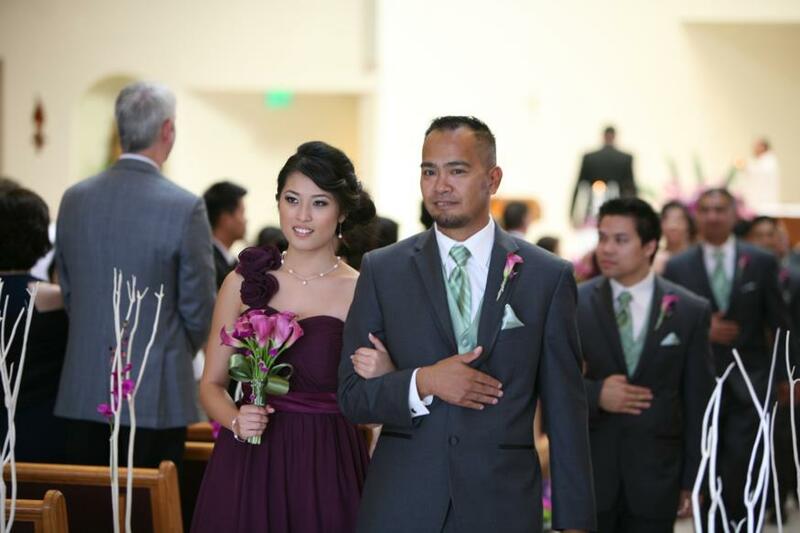 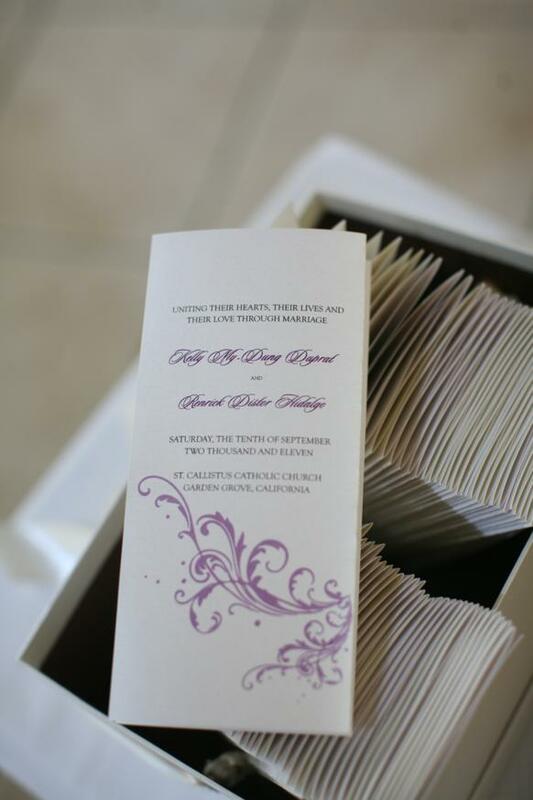 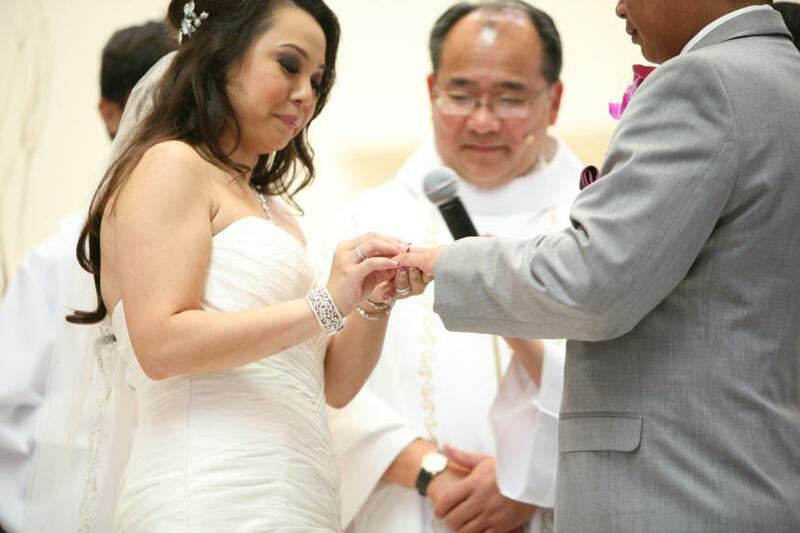 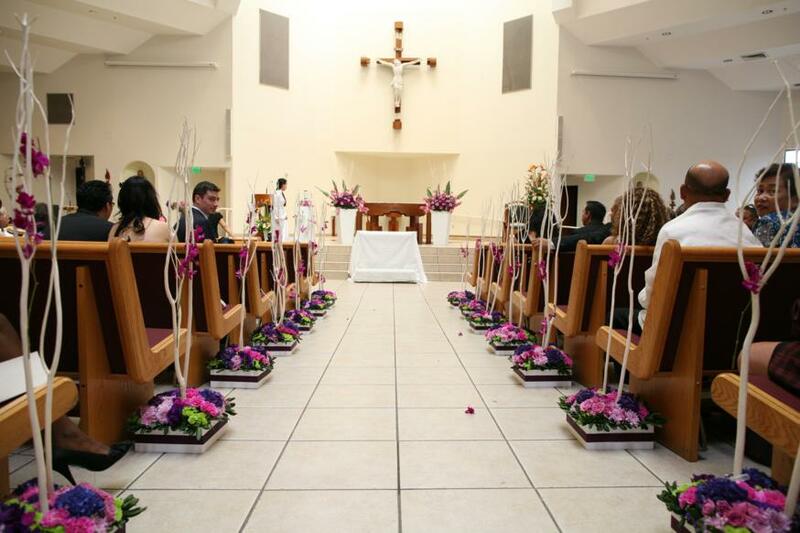 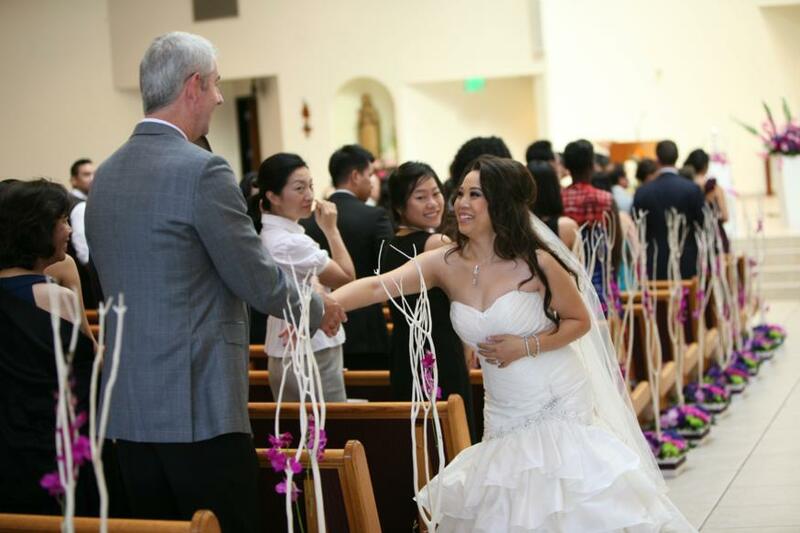 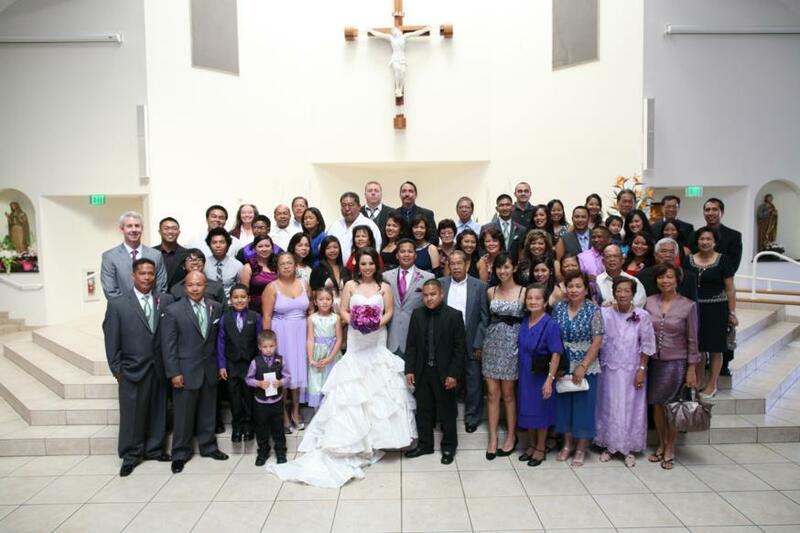 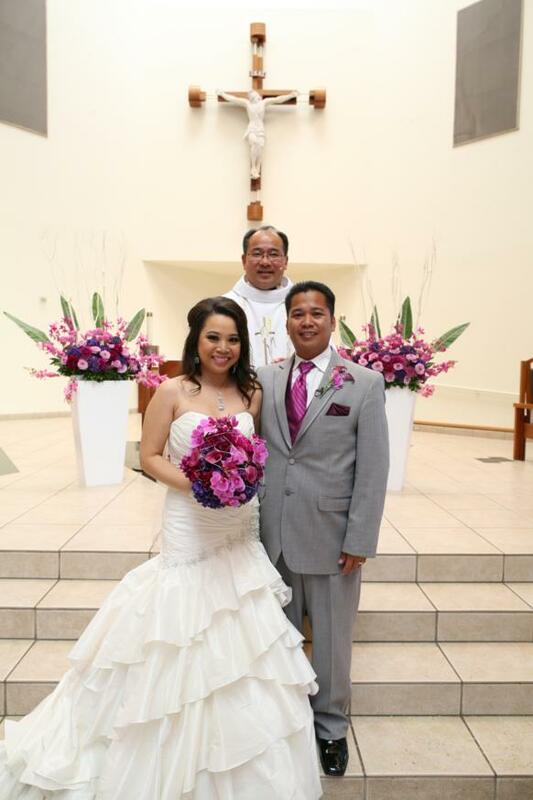 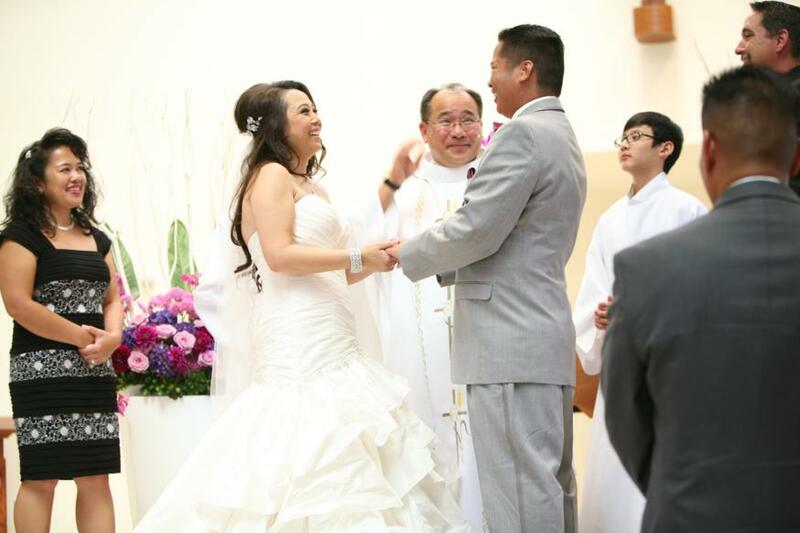 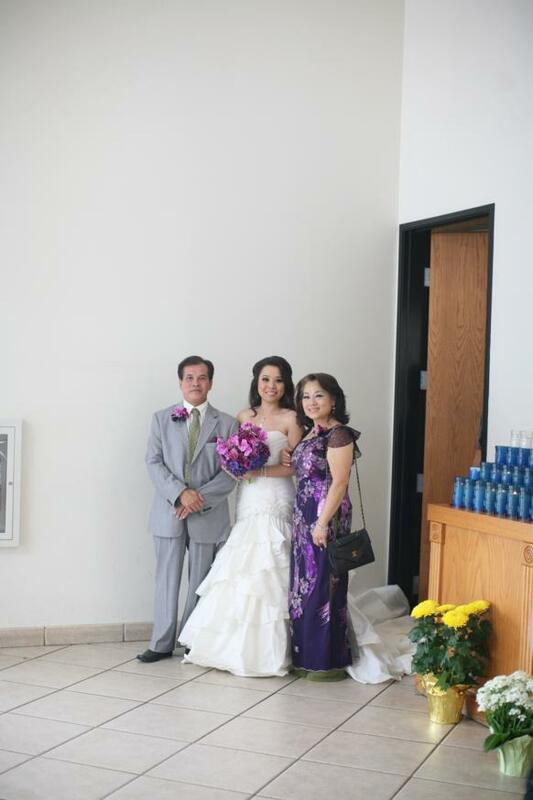 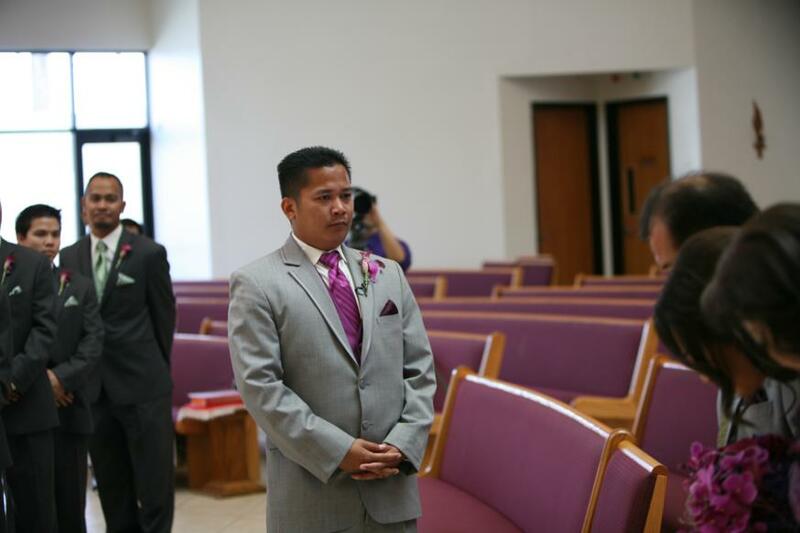 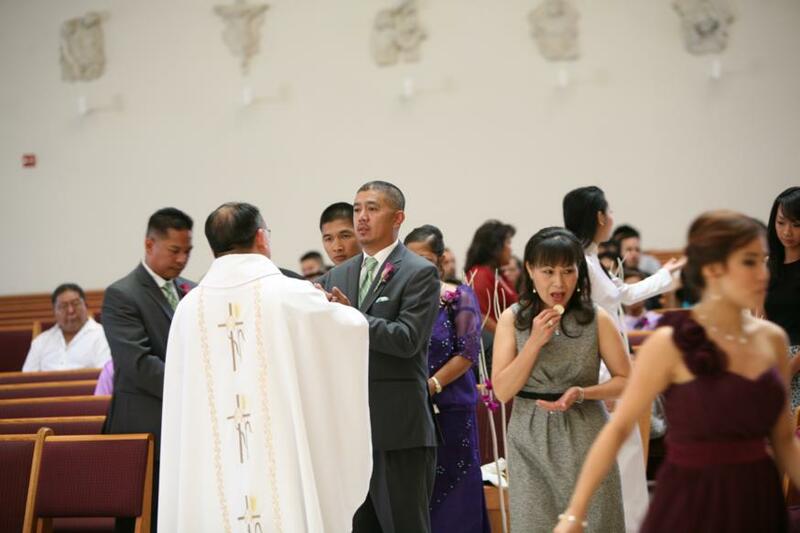 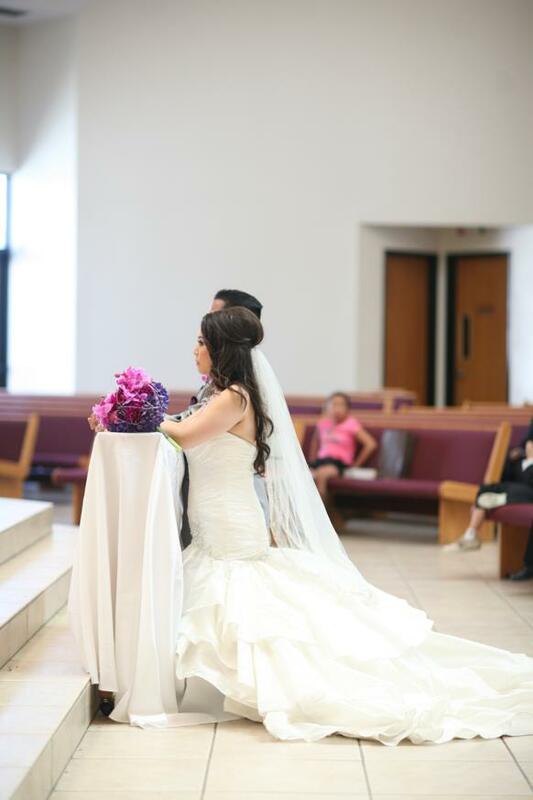 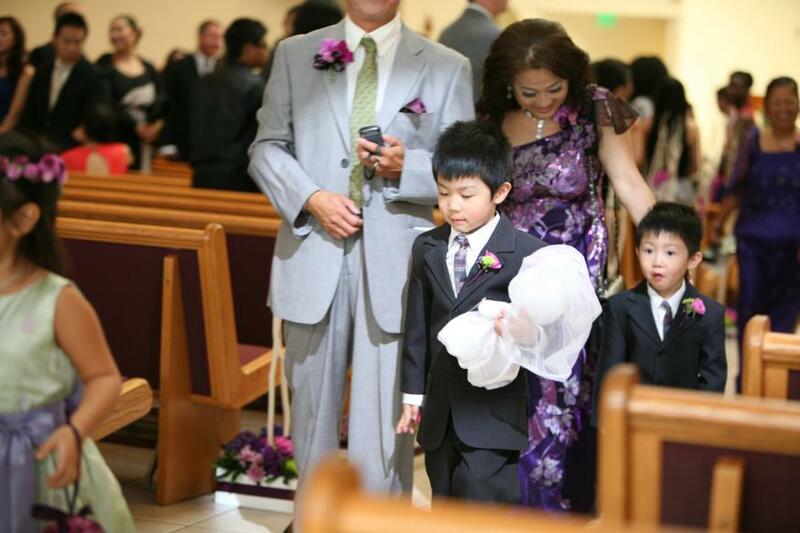 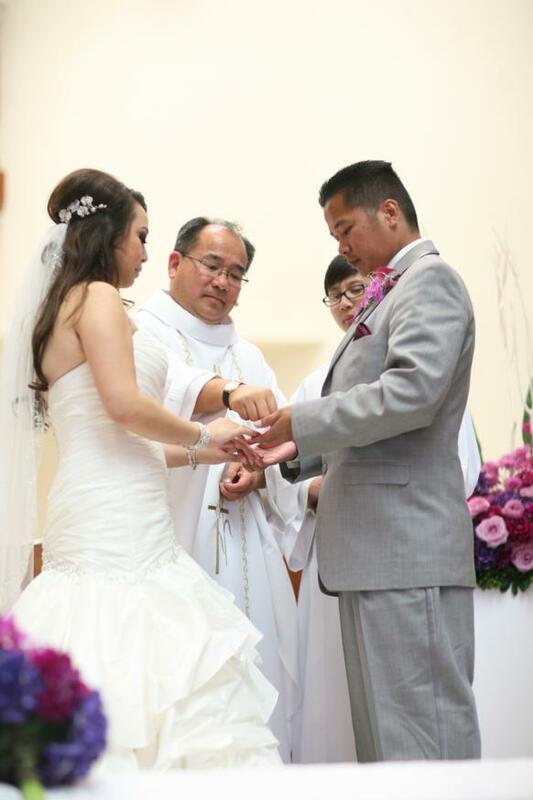 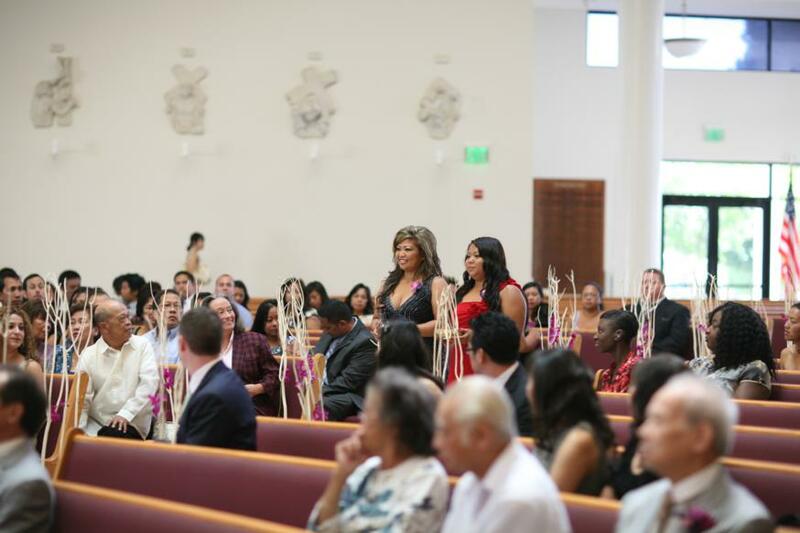 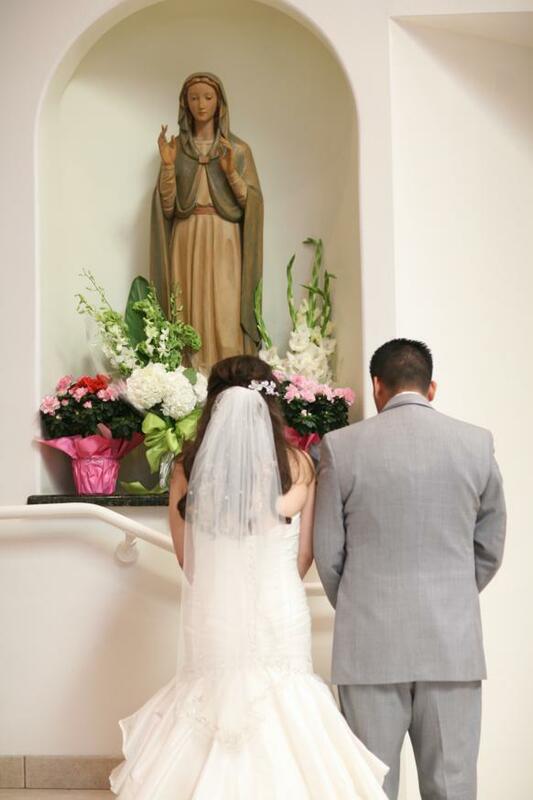 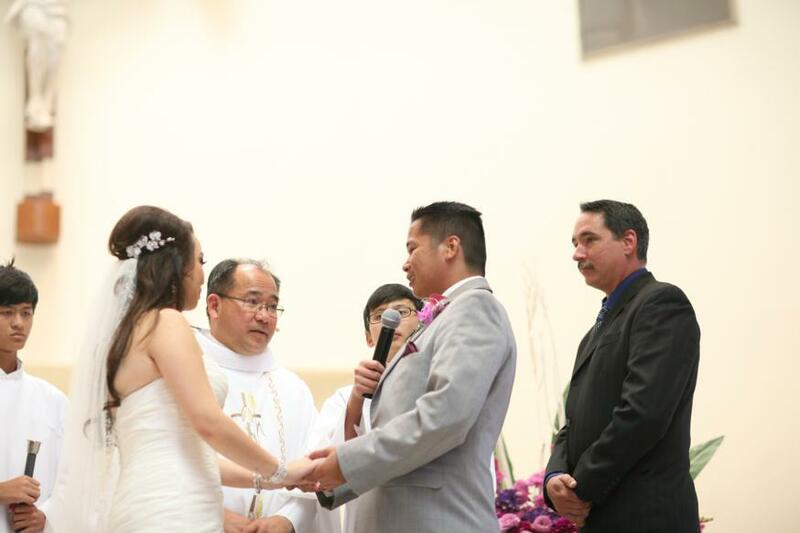 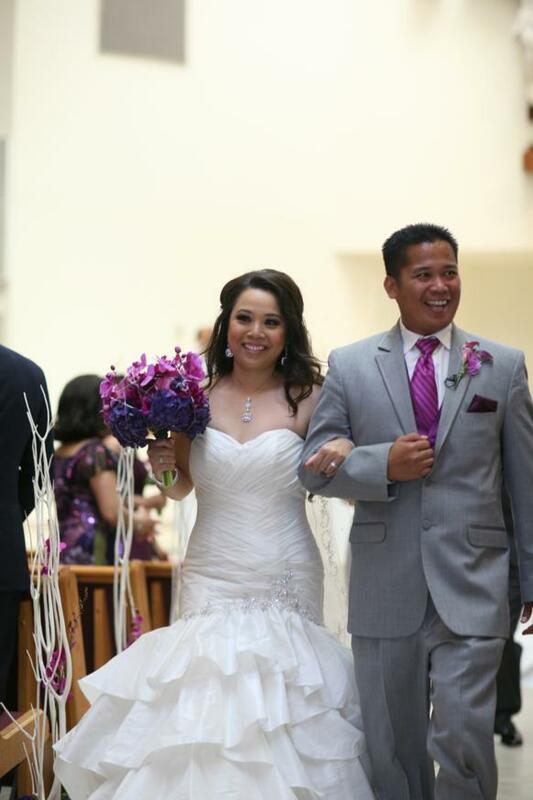 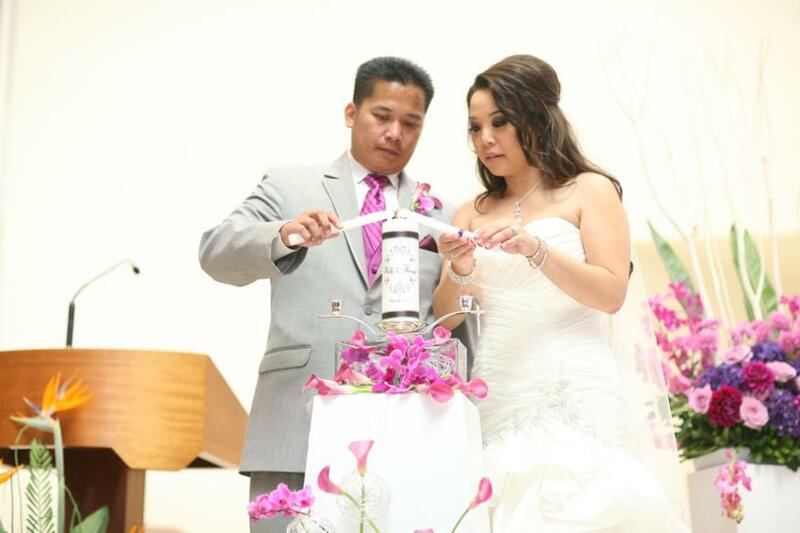 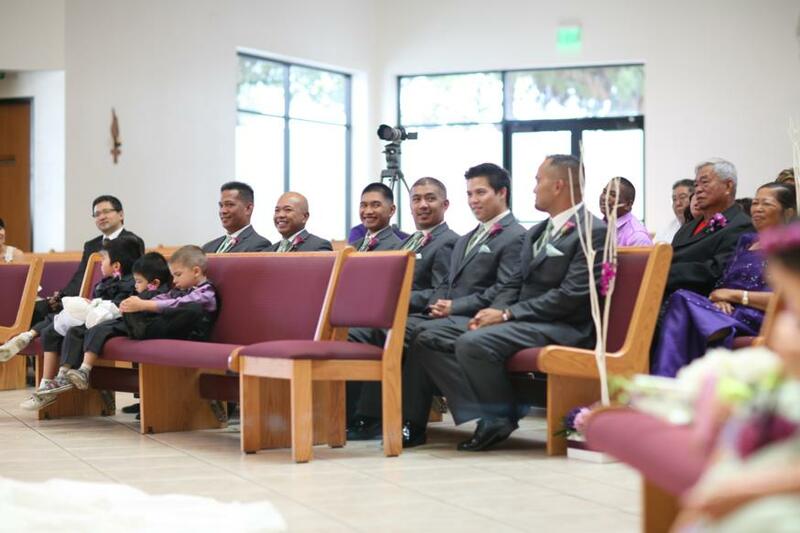 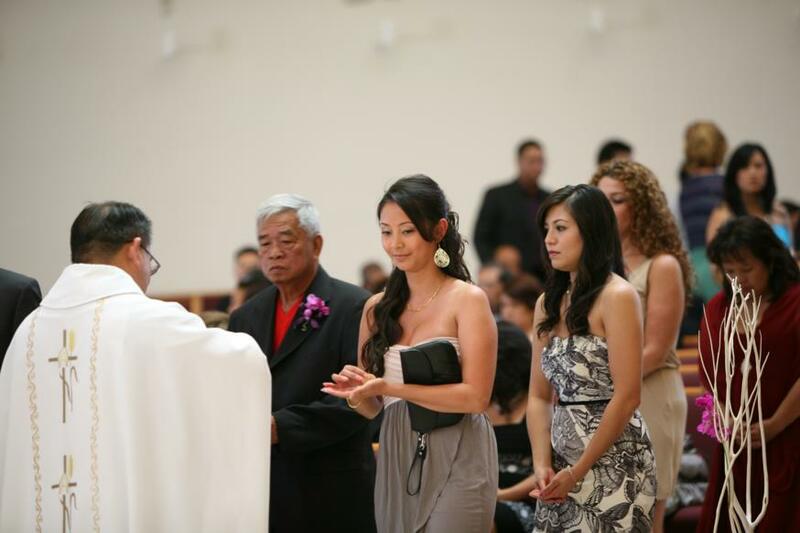 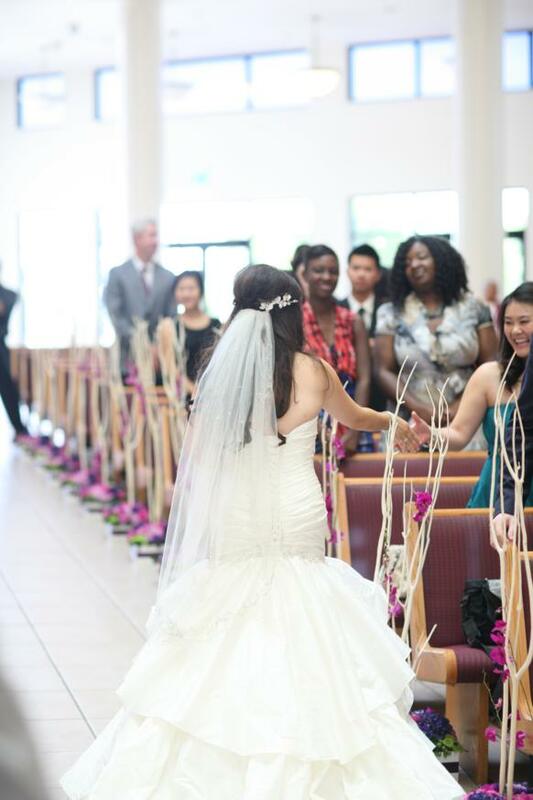 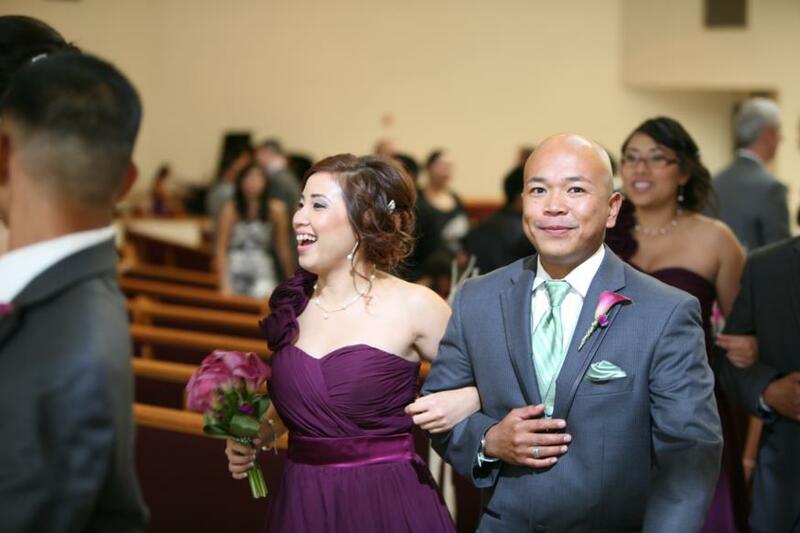 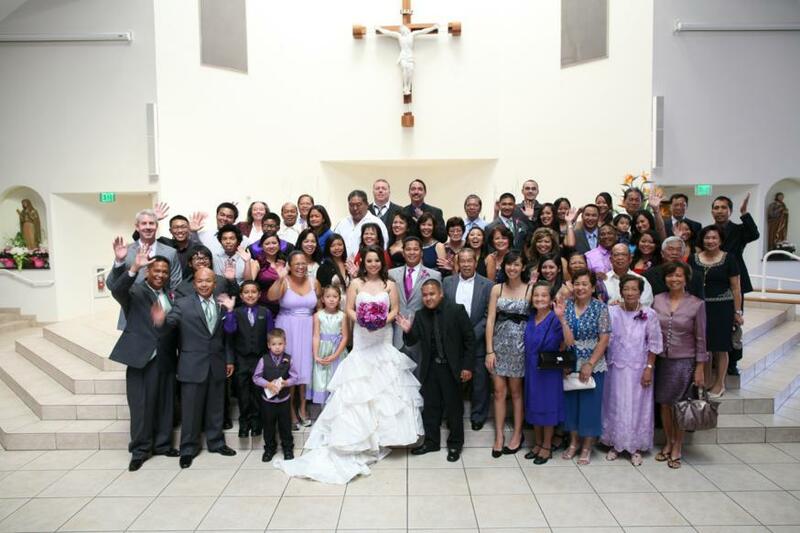 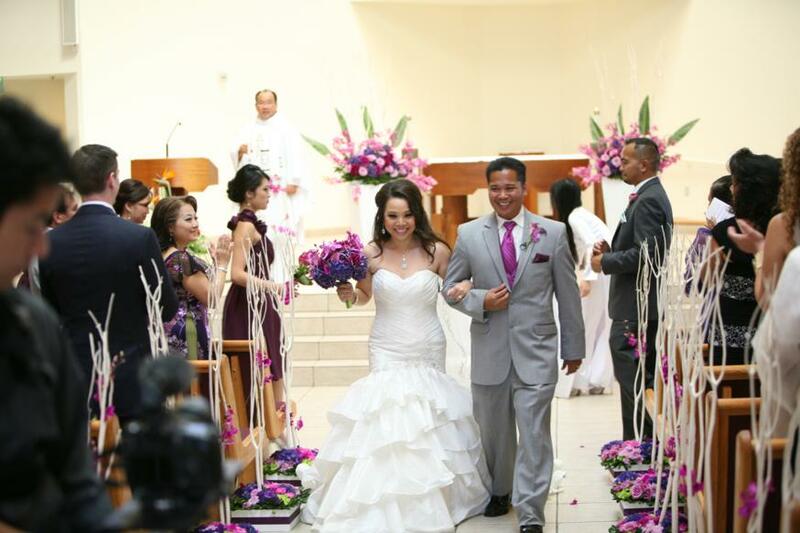 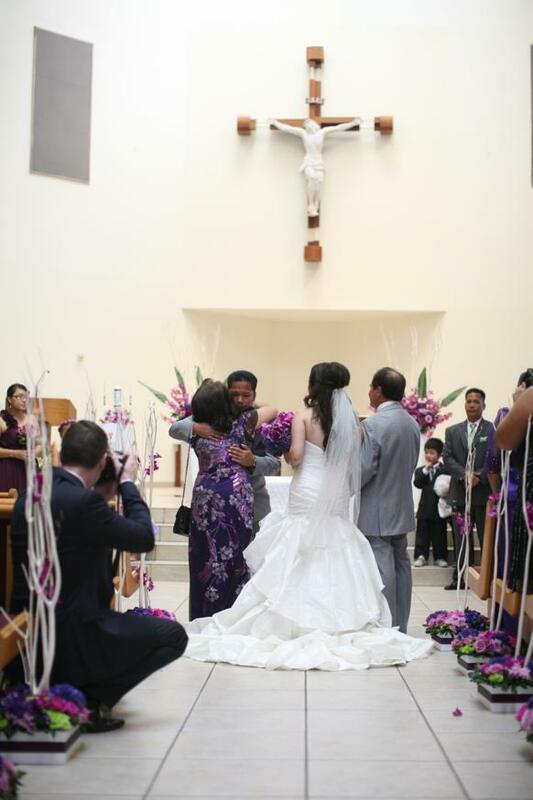 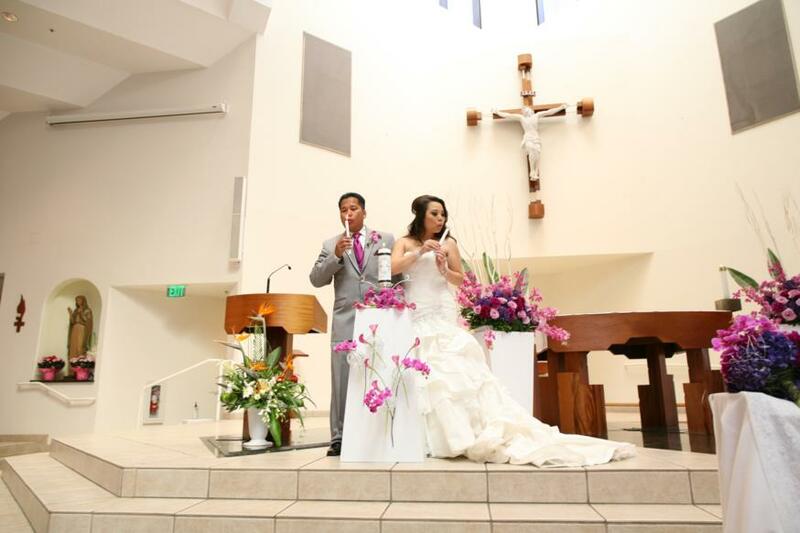 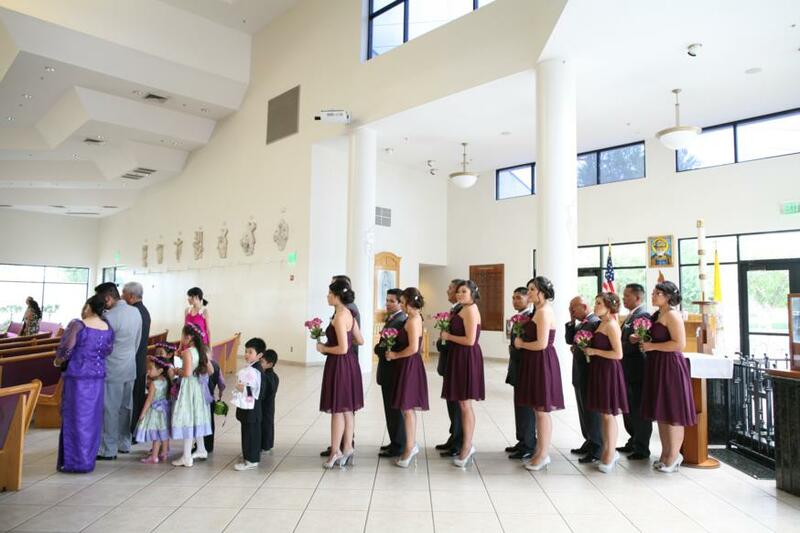 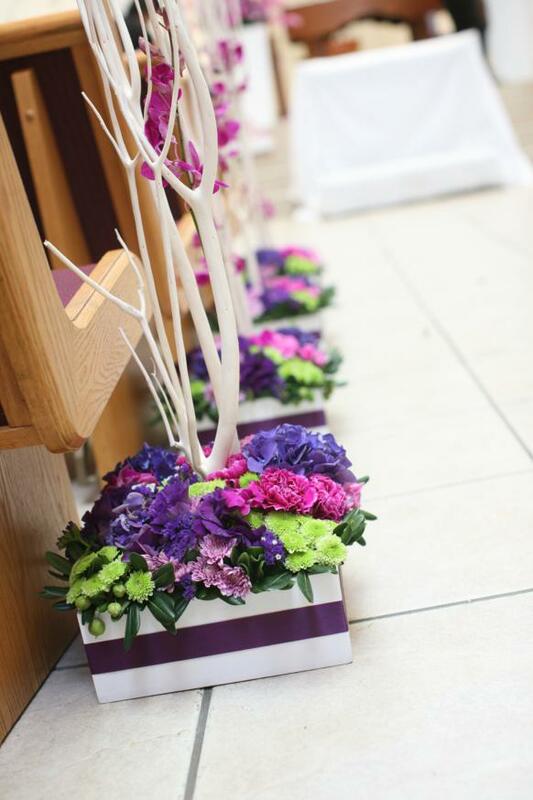 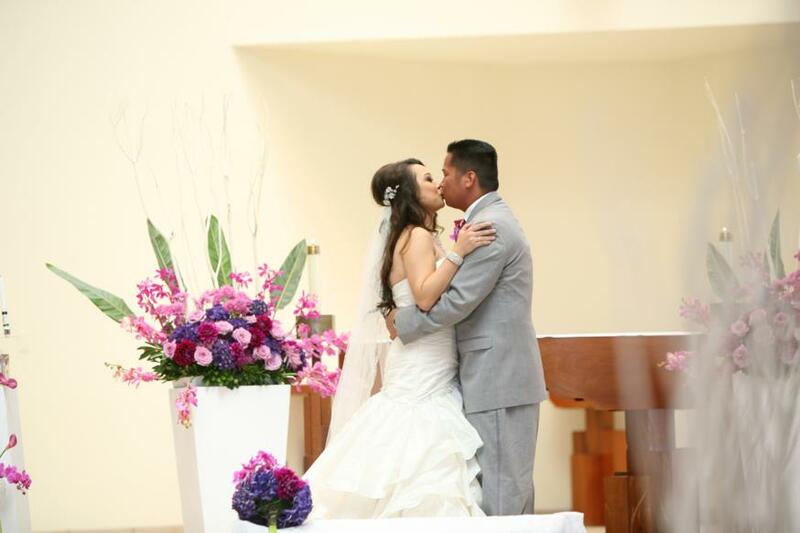 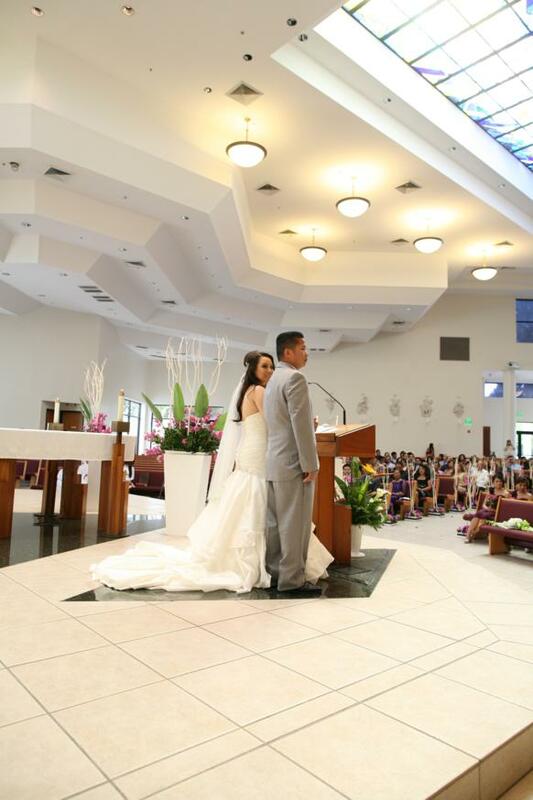 St. Callistus Catholic Church was the perfect church for us to get married at. 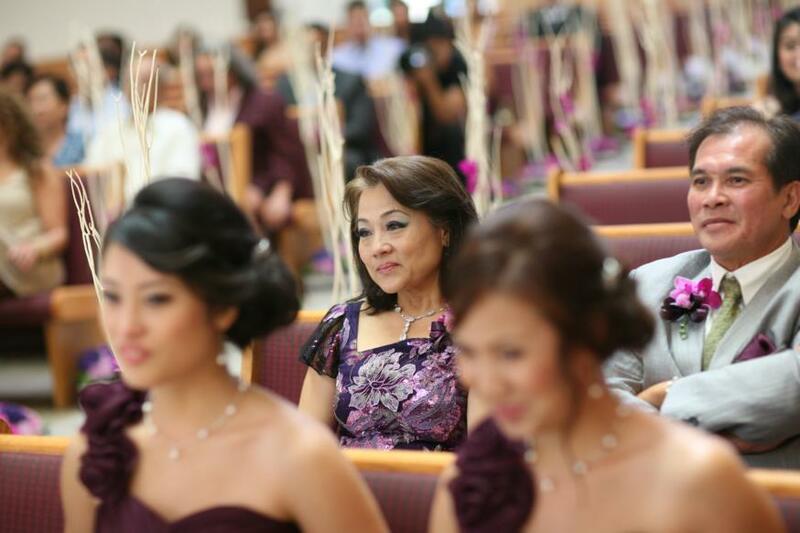 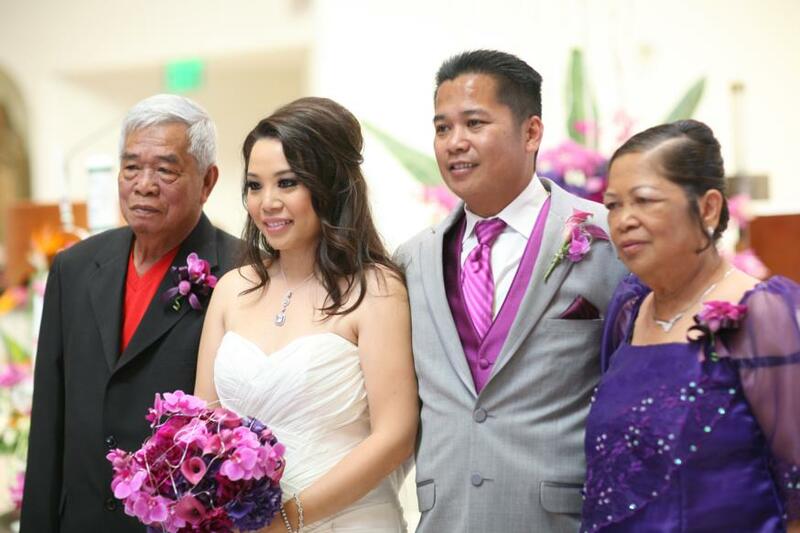 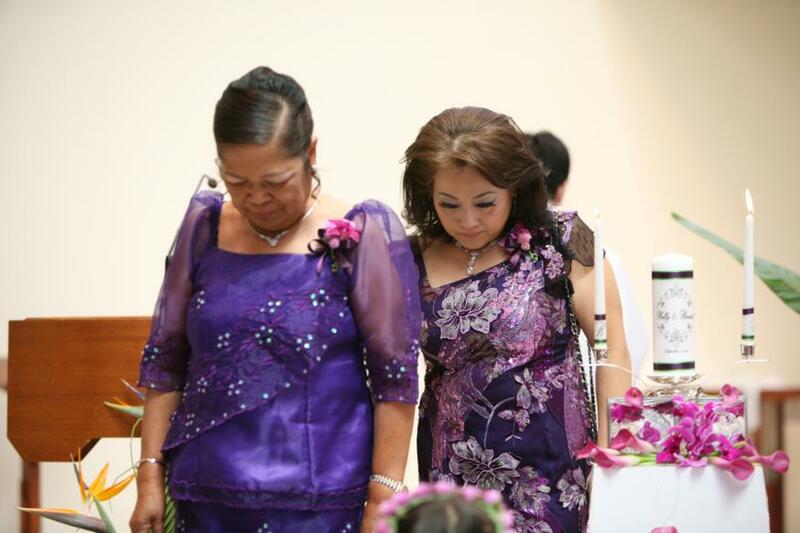 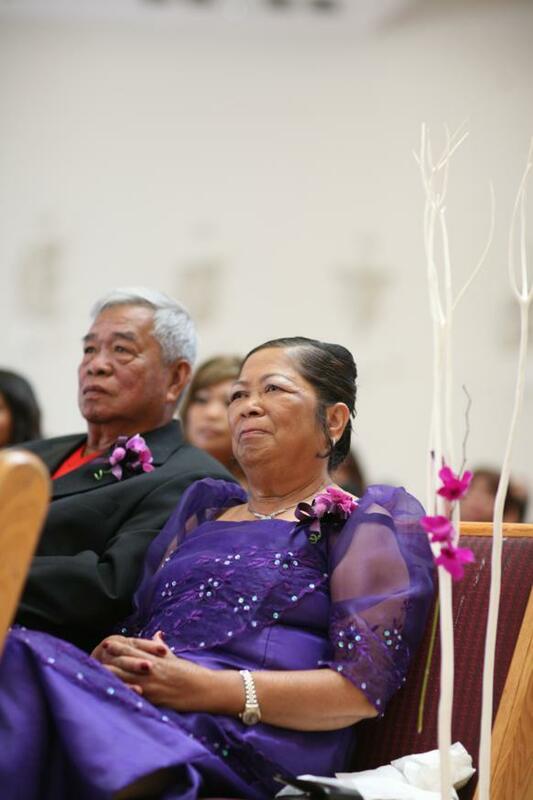 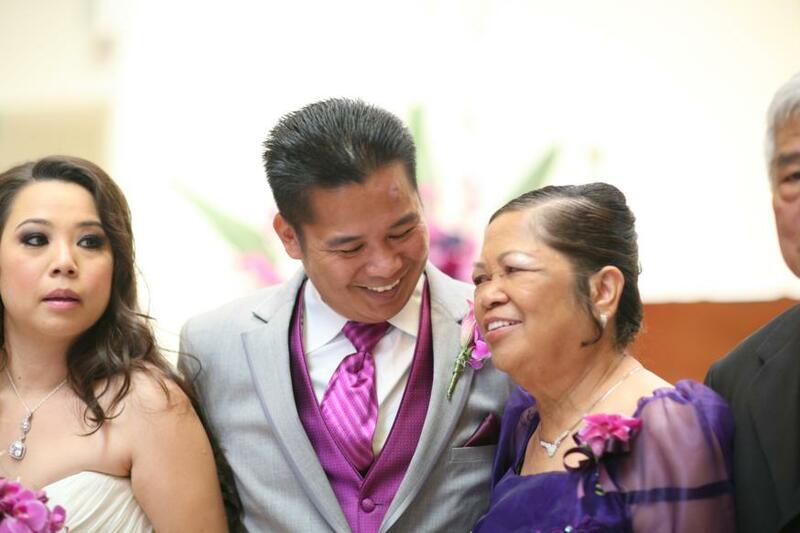 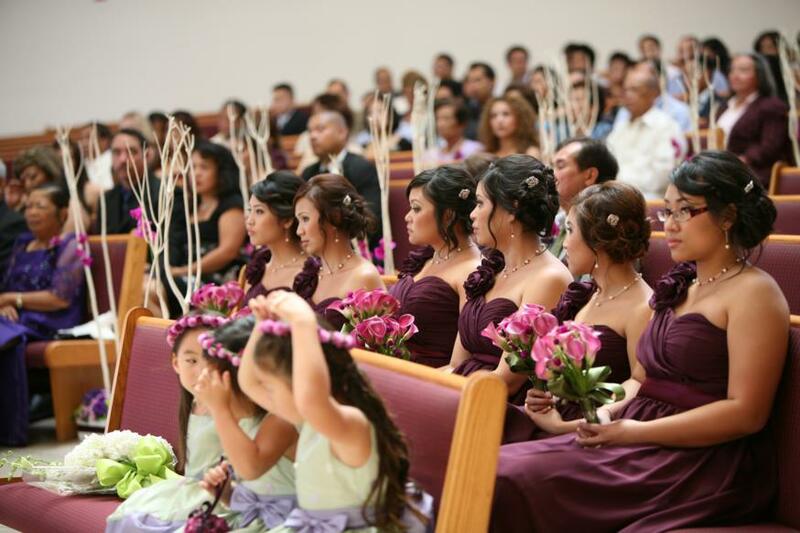 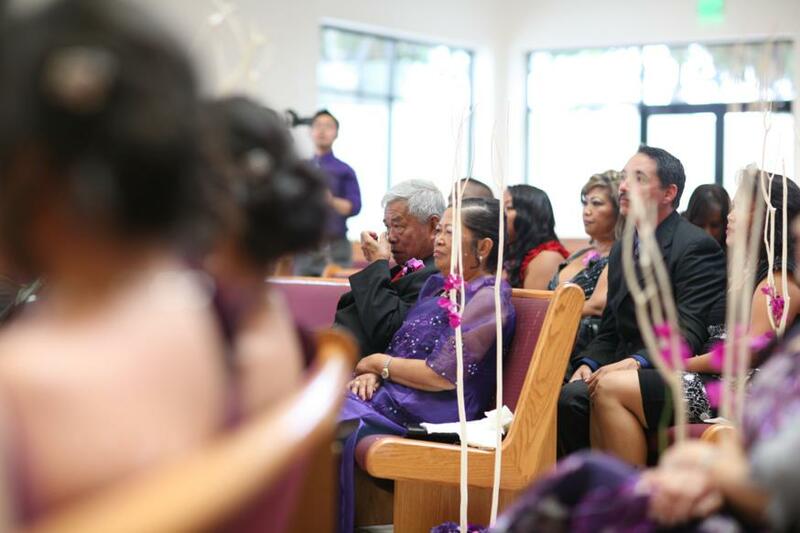 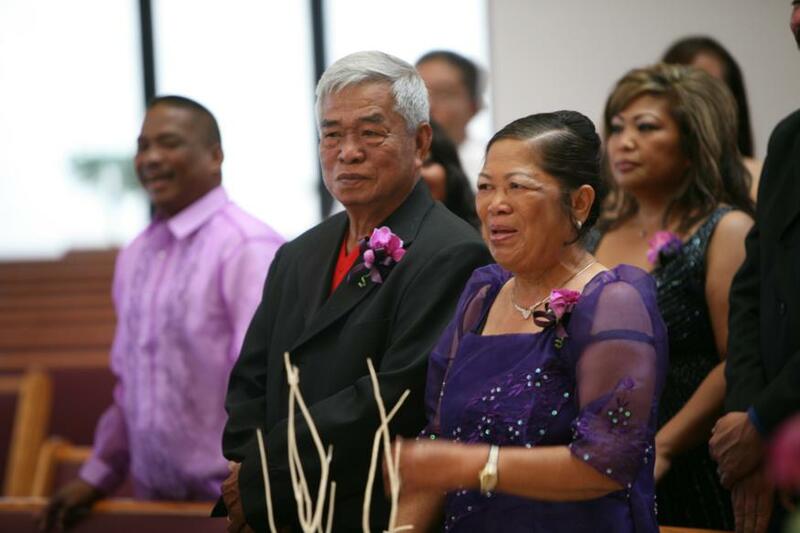 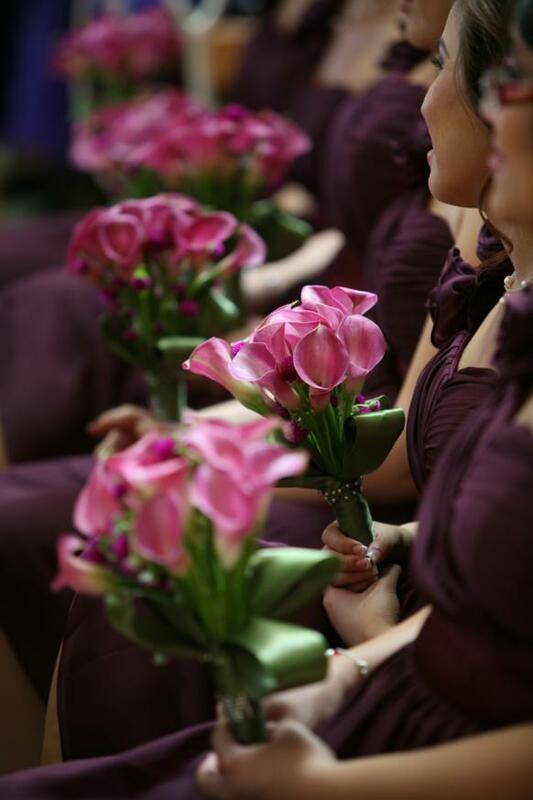 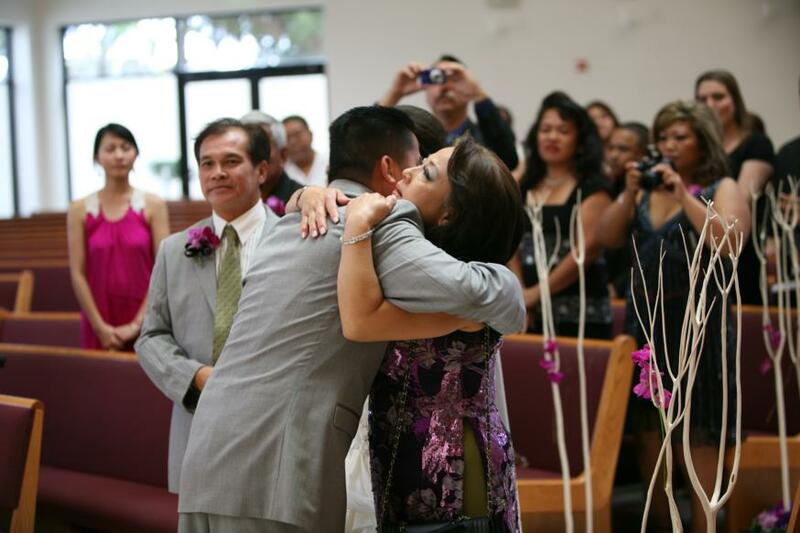 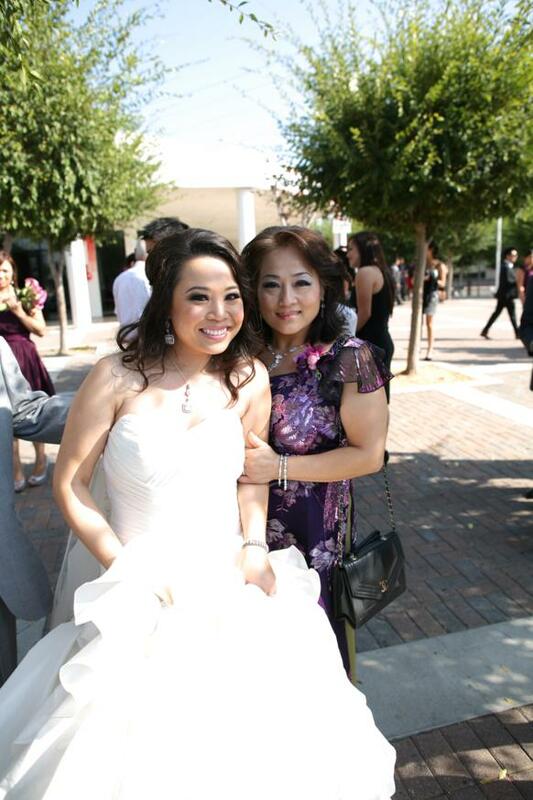 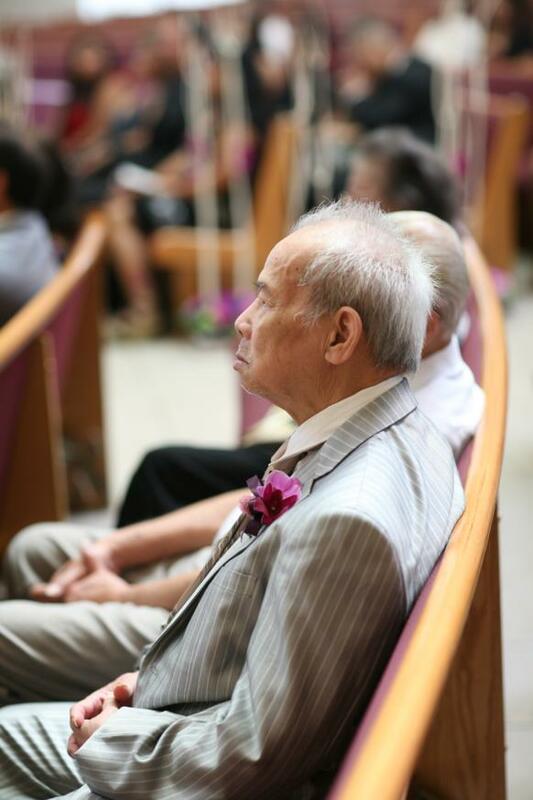 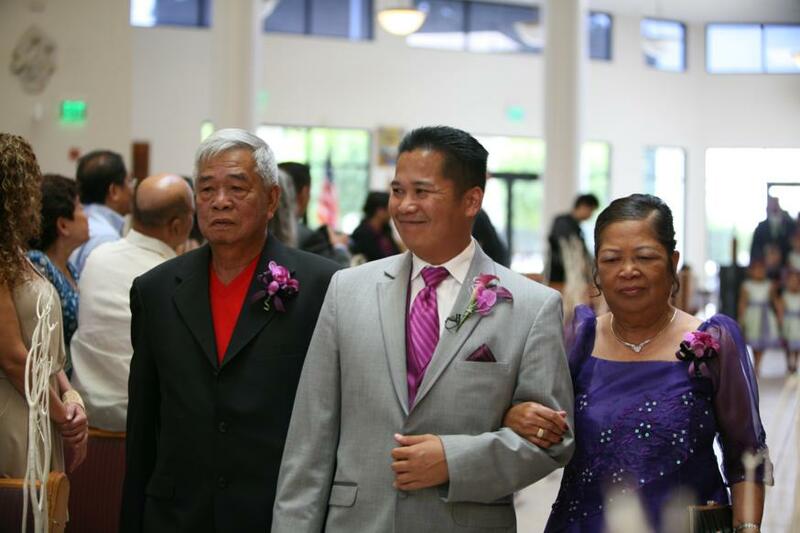 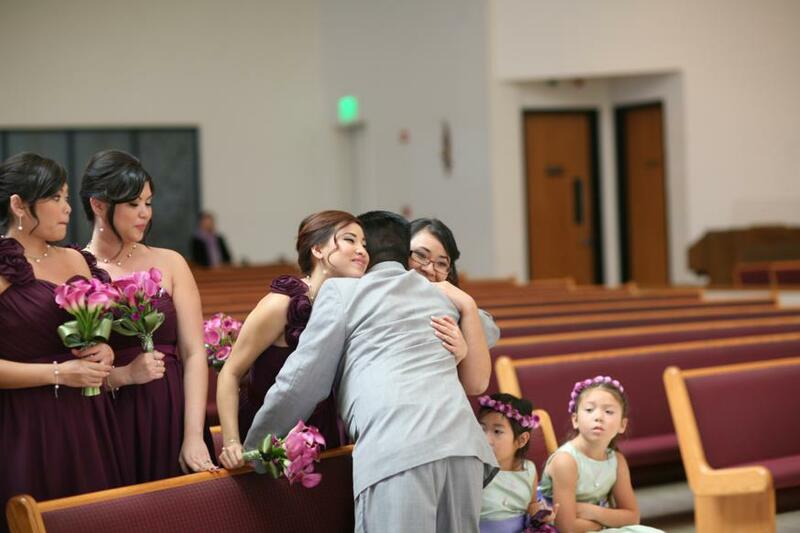 I wanted to spend a little bit of time with my parents and finishing pinning the flowers on family members. 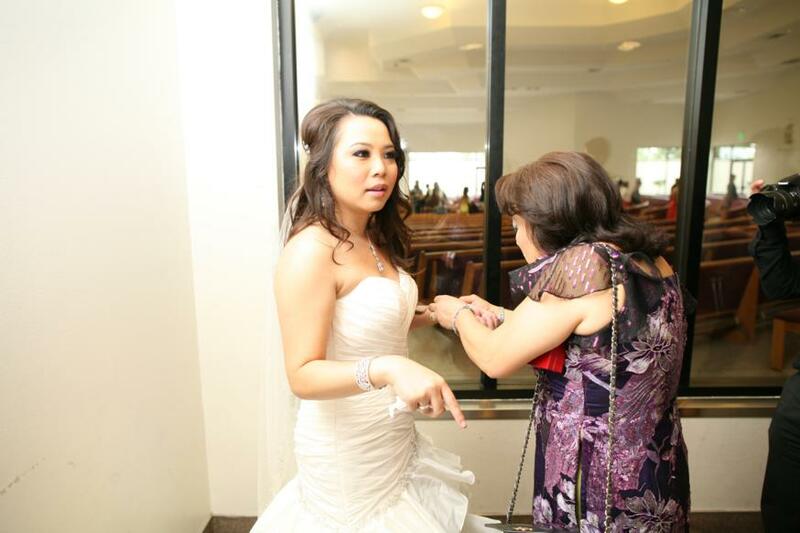 Here is my mom putting some jewelry on me. 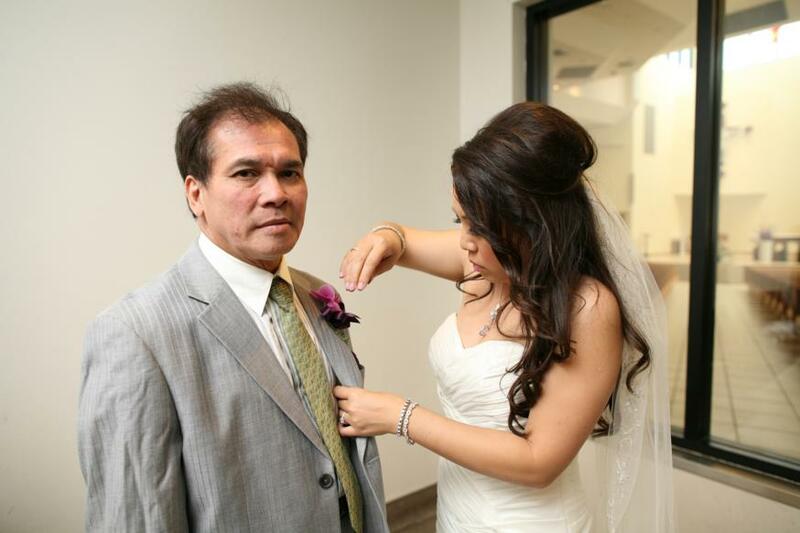 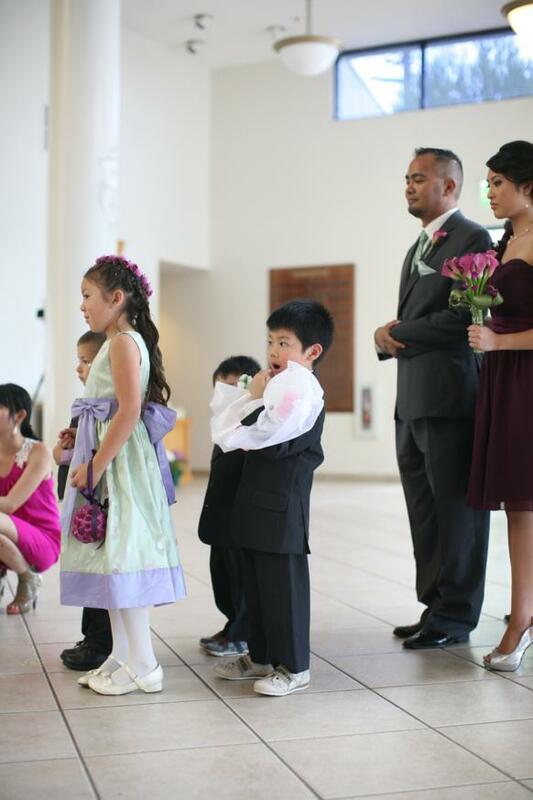 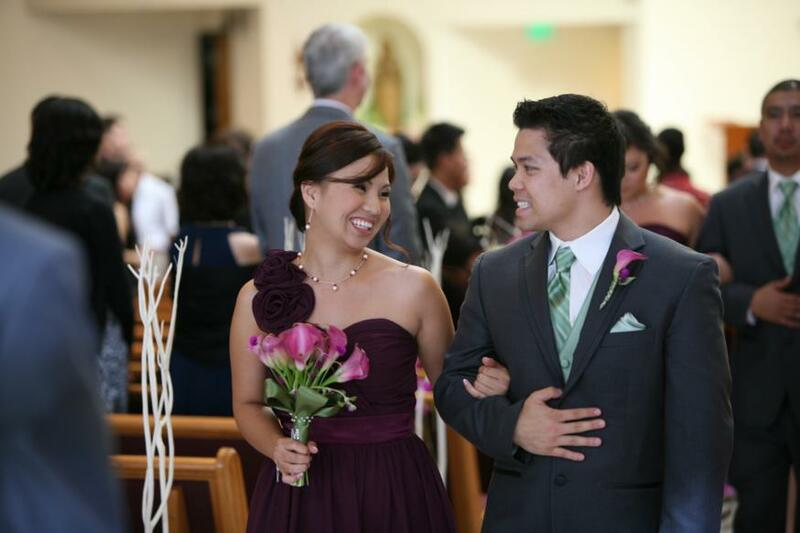 Pinning boutonniere on my sister in law. 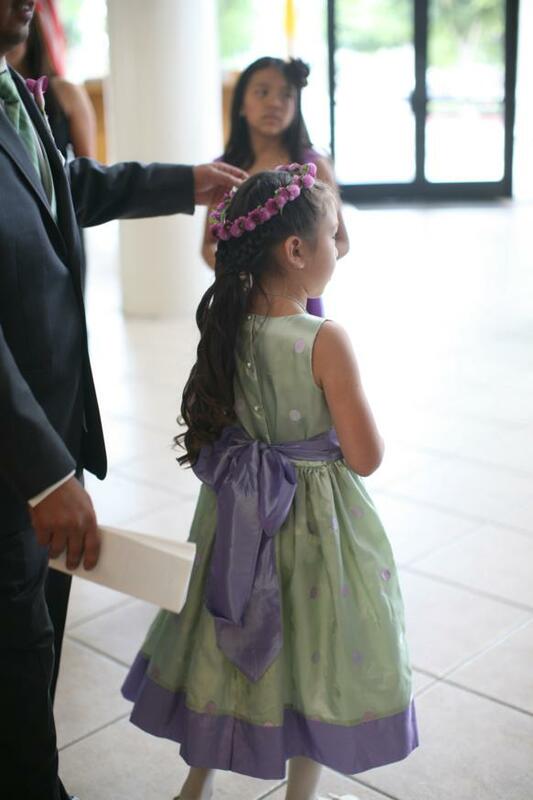 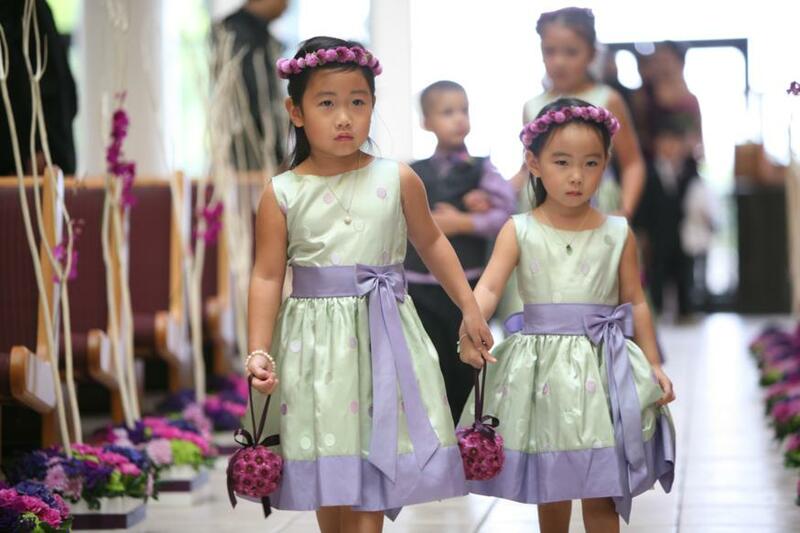 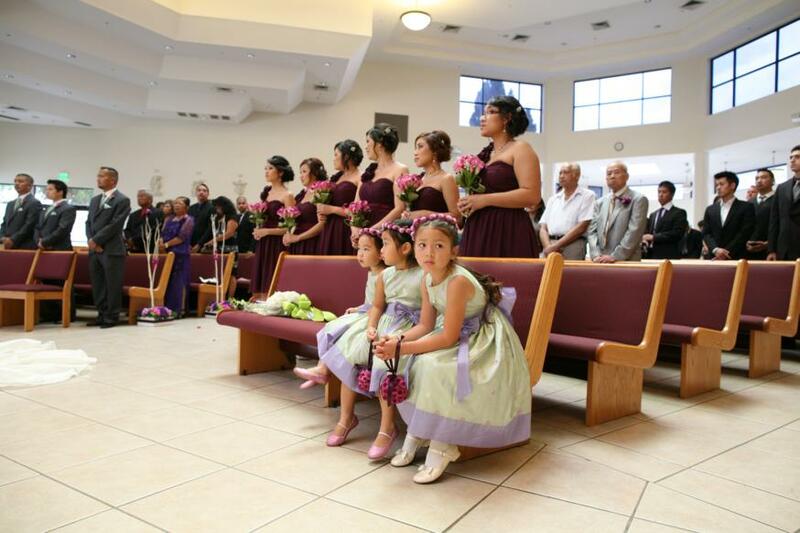 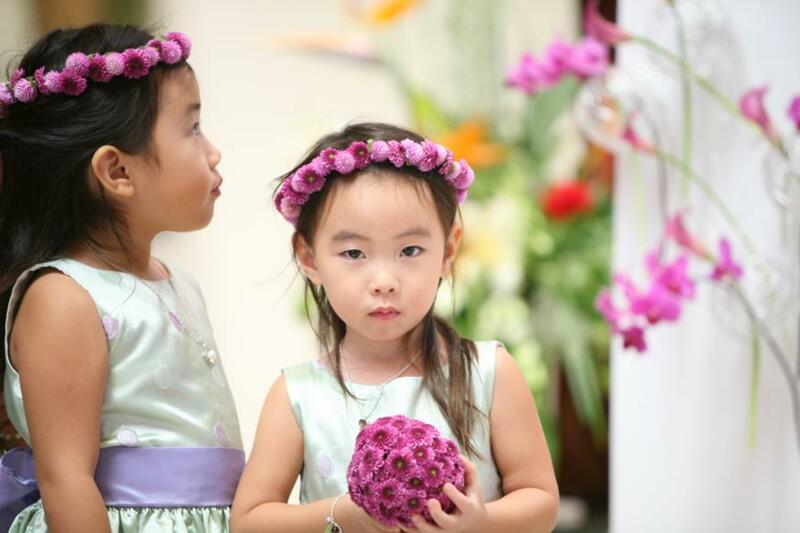 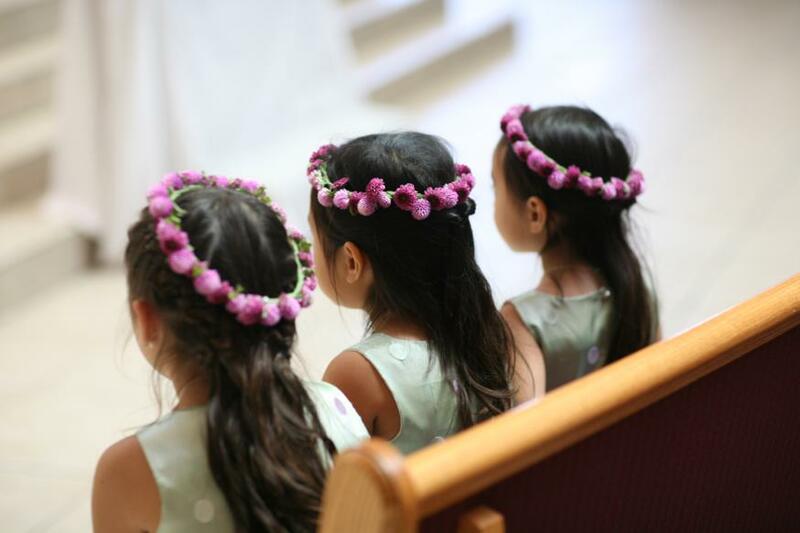 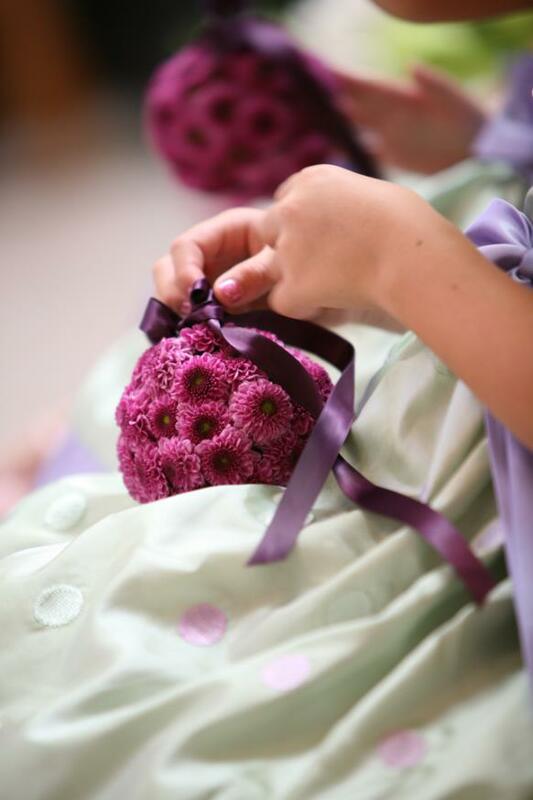 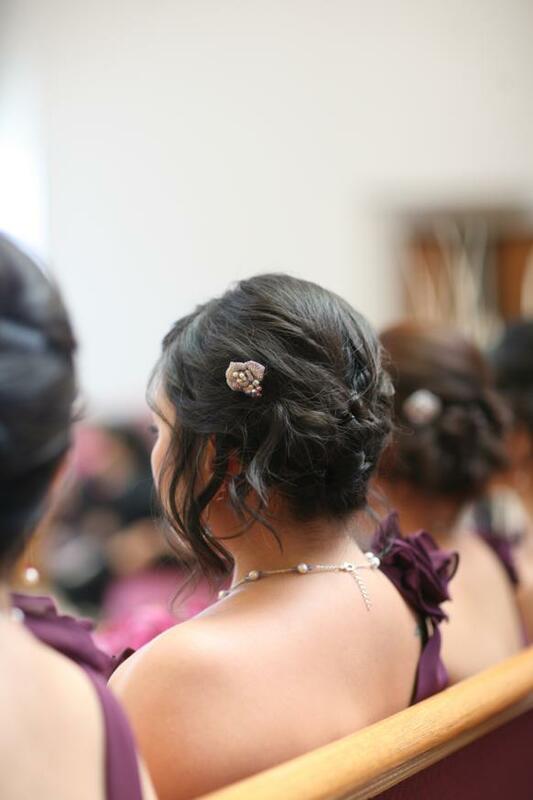 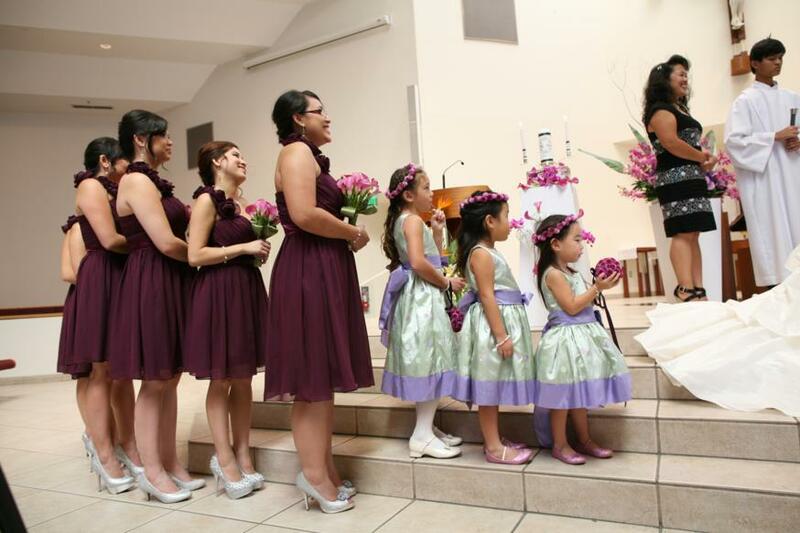 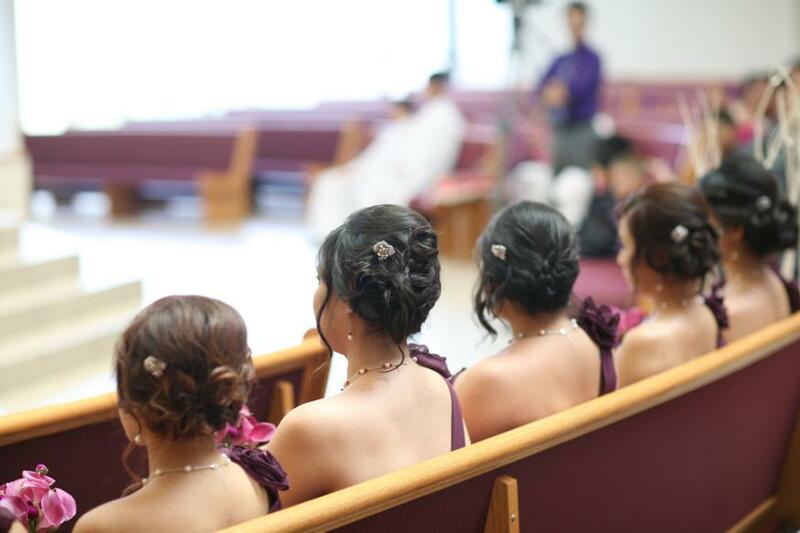 The back of the flower girl dresses. 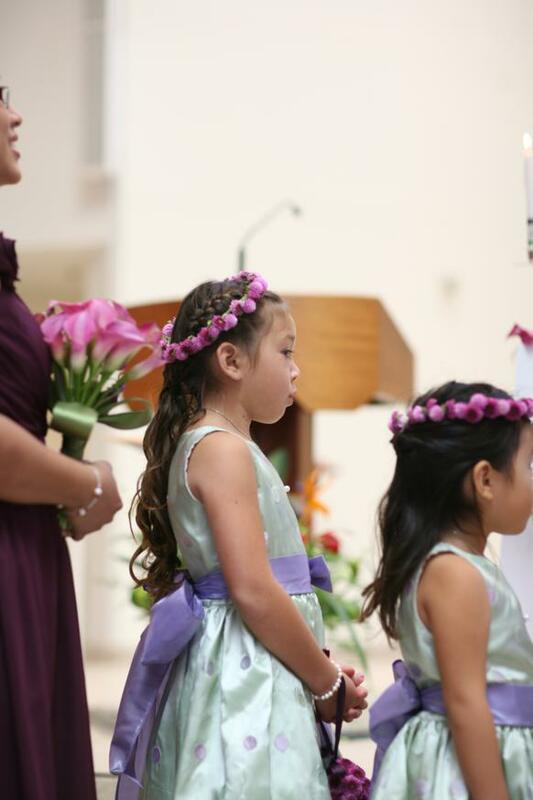 I wanted to keep their dresses appropriate for their age 🙂 I think some of them still wear their dress once in a while when they go out. 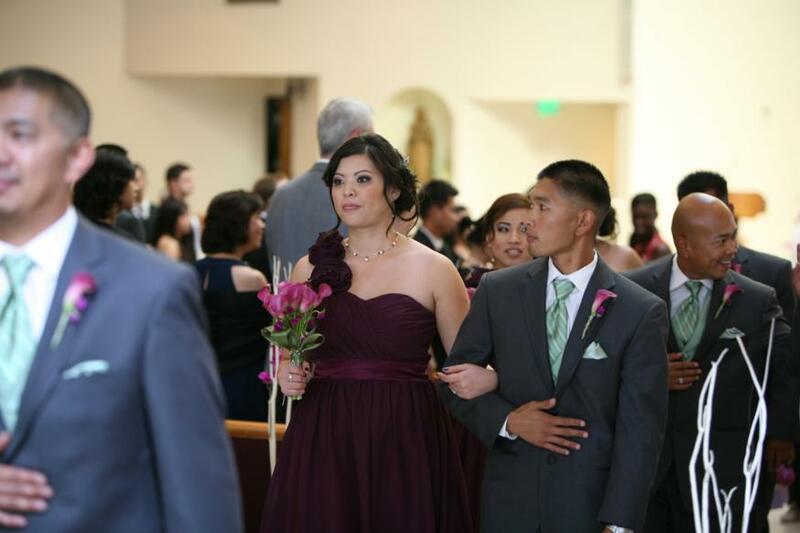 Start of the Procession with the Priest walking in first. 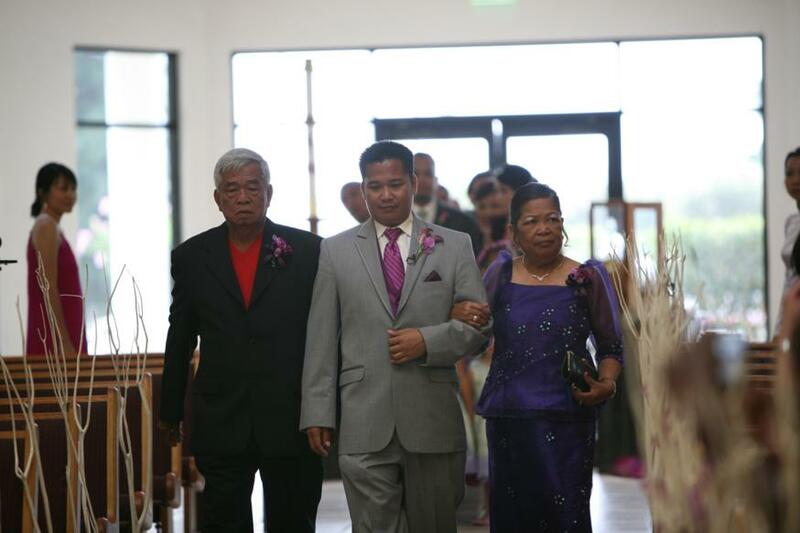 Renrick is being walked down the aisle by his parents. 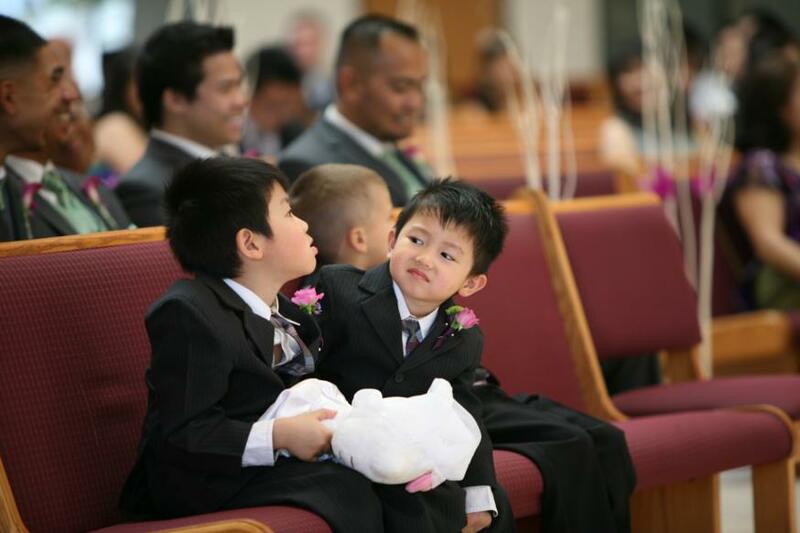 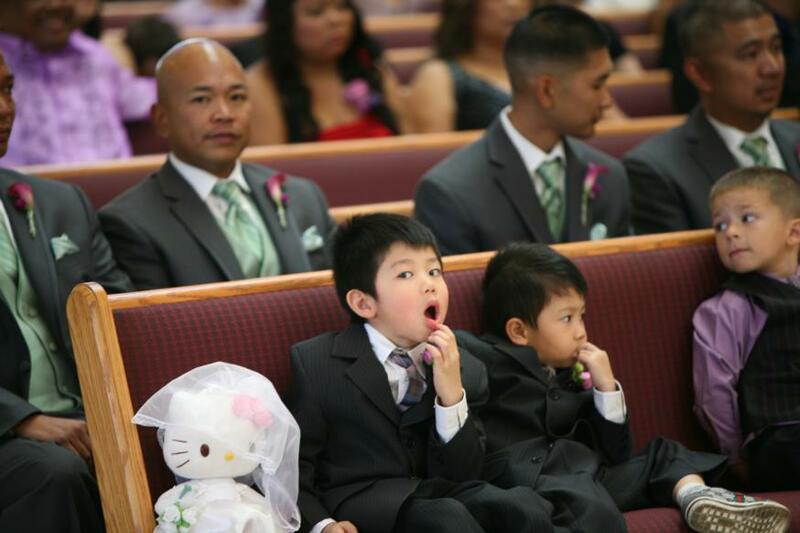 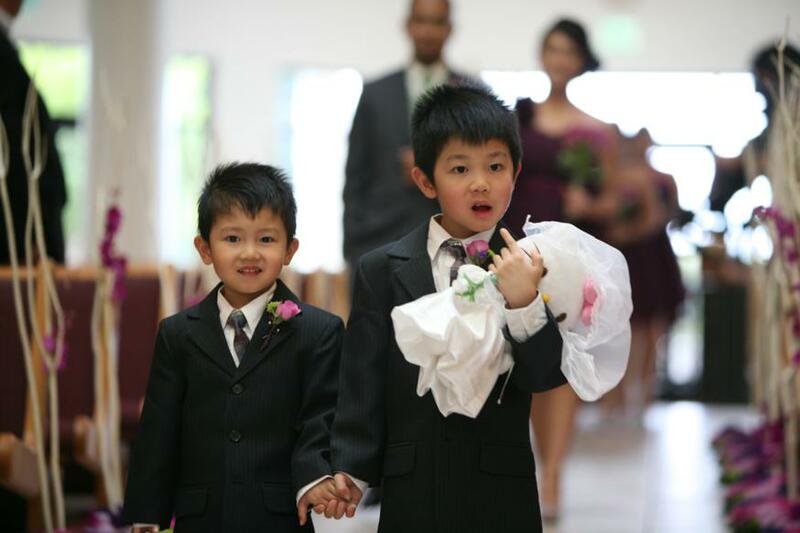 My poor nephews were jet lagged and they probably didn’t understand why they had to walk holding Hello Kitty! 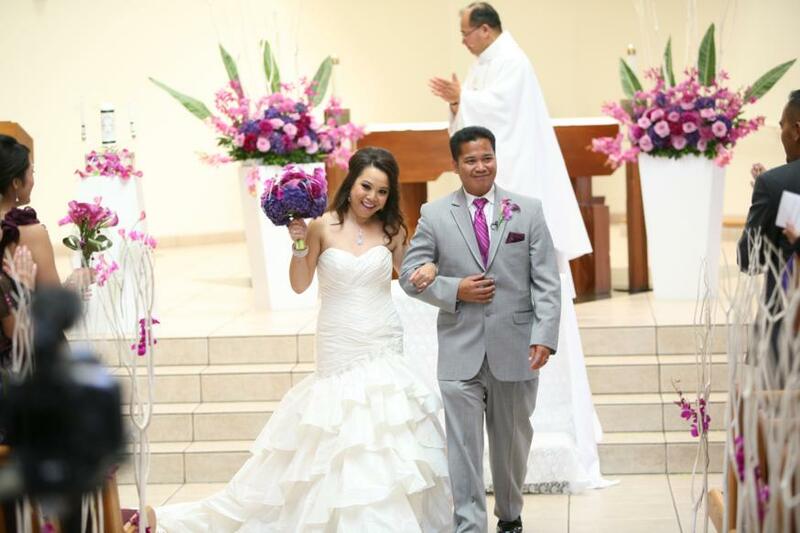 Here we go!!! 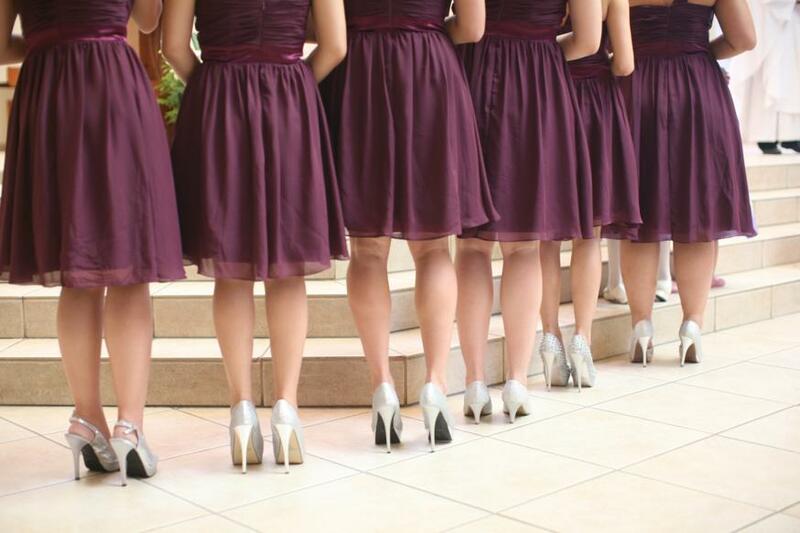 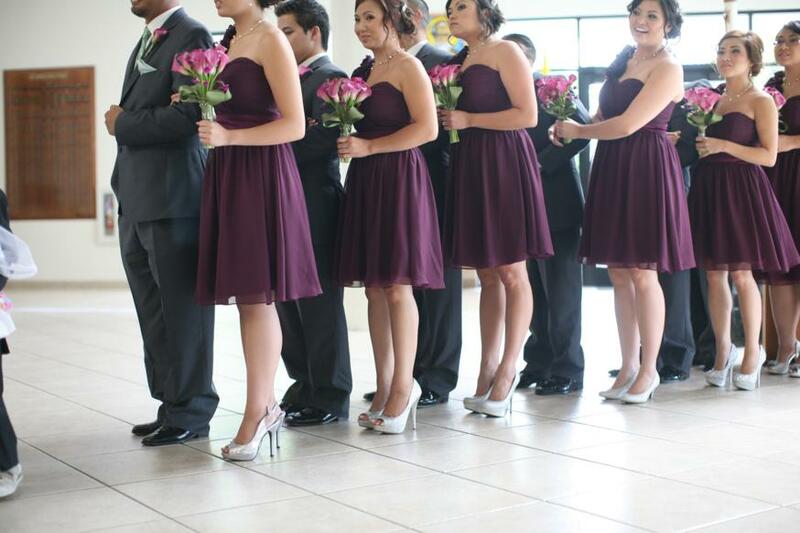 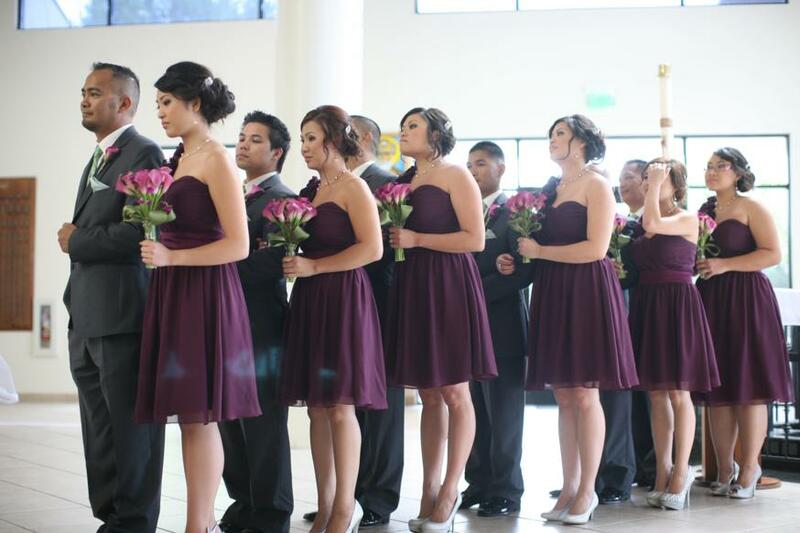 Getting ready to walk down the aisle! 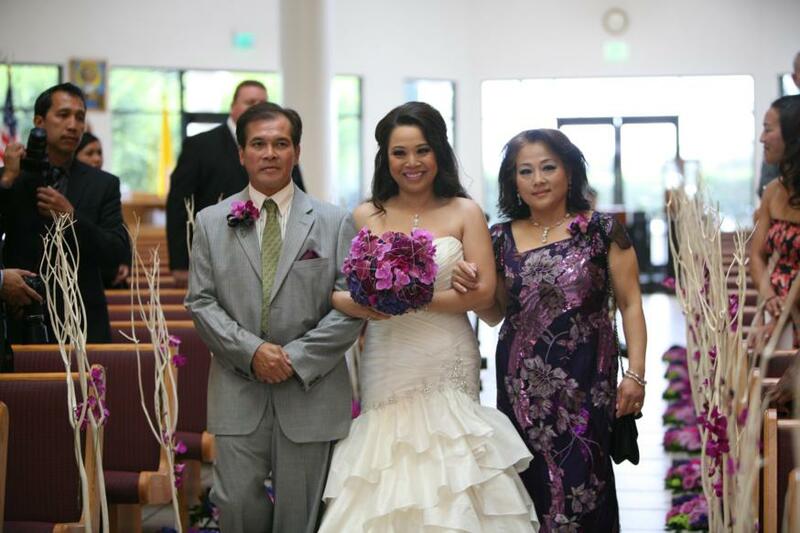 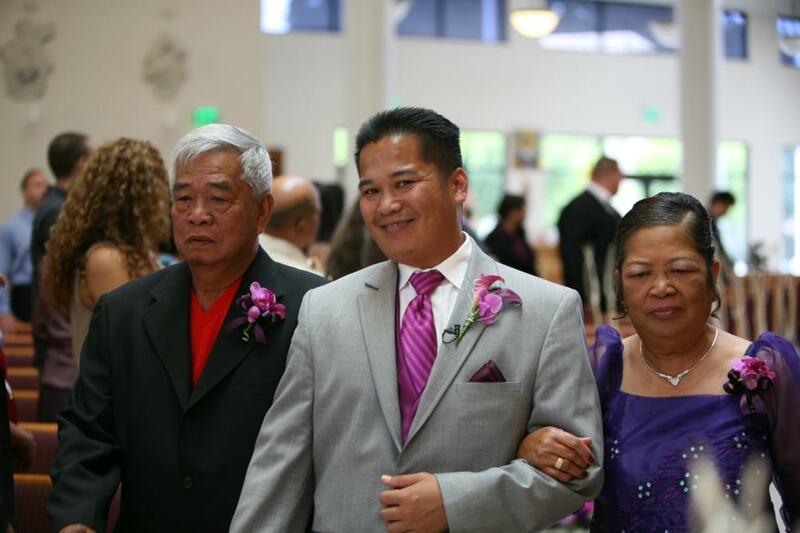 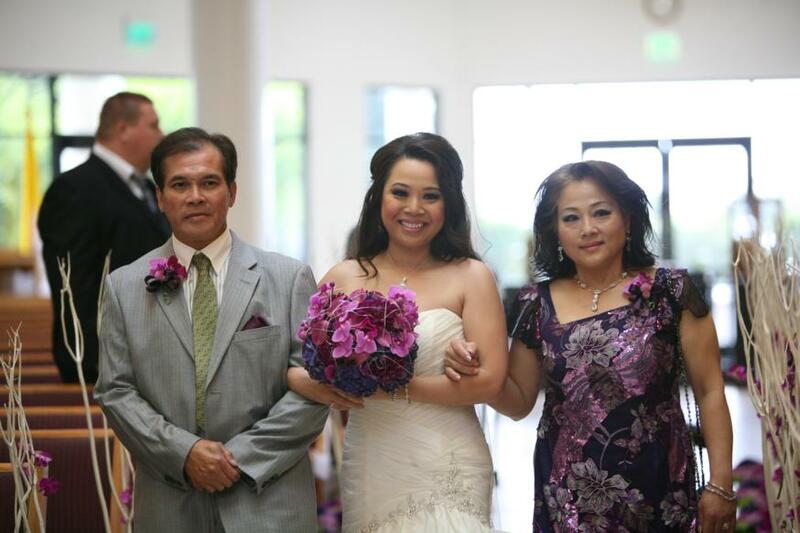 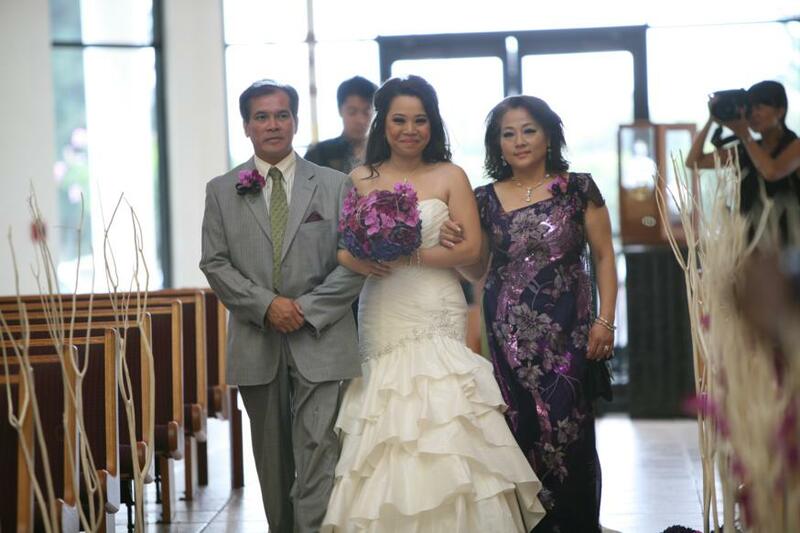 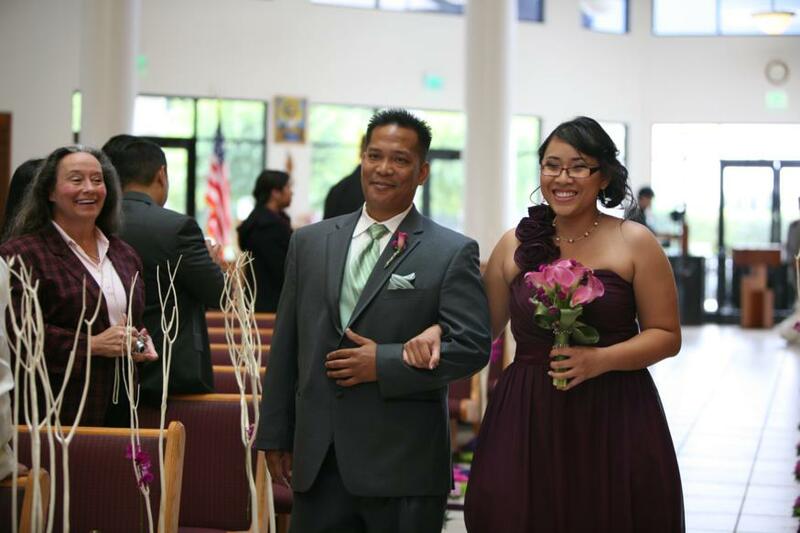 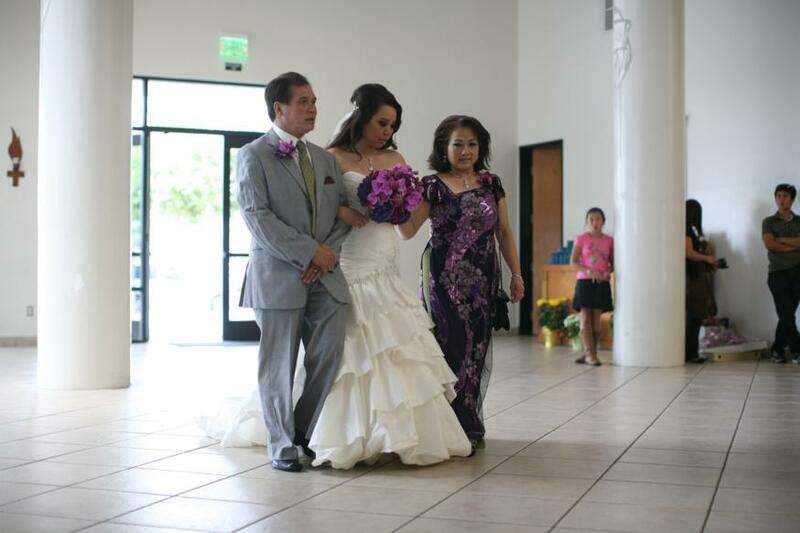 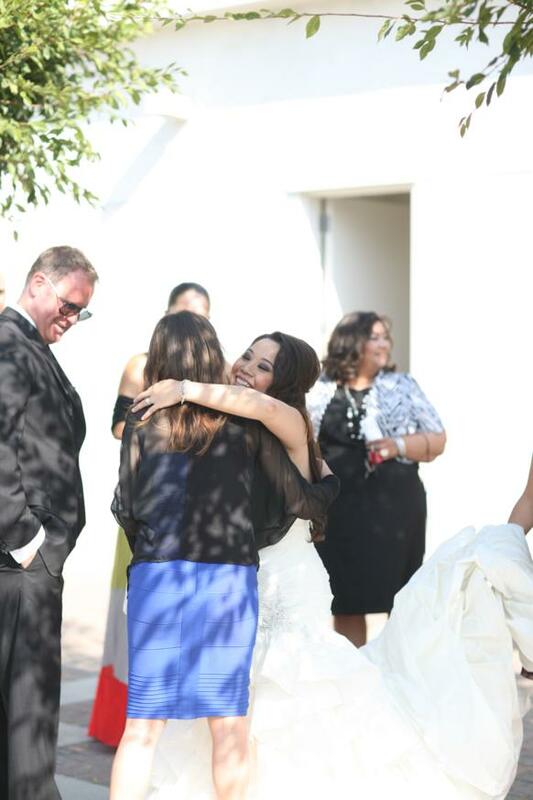 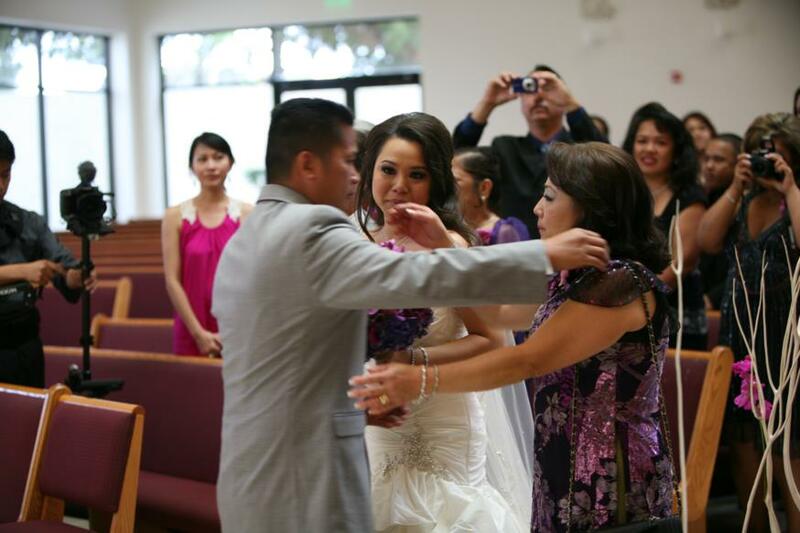 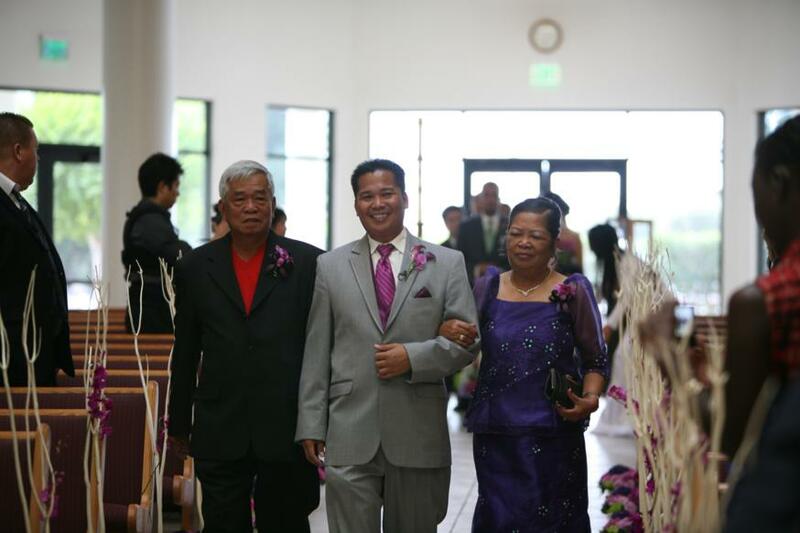 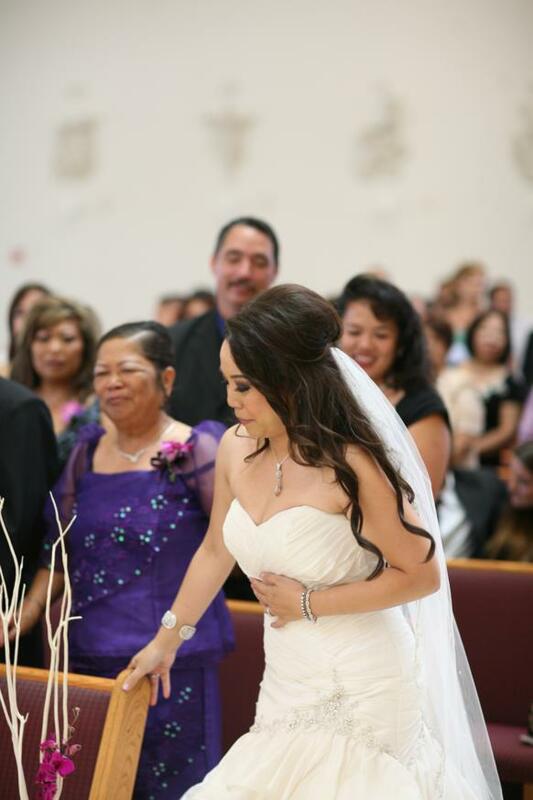 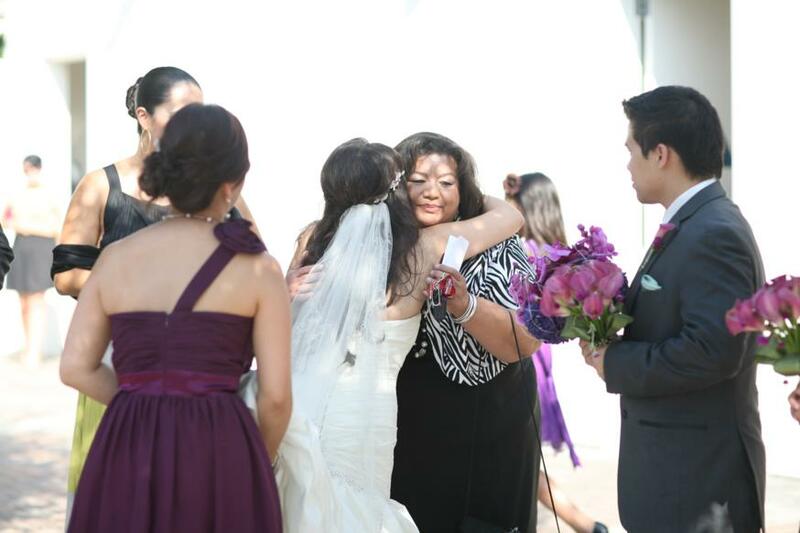 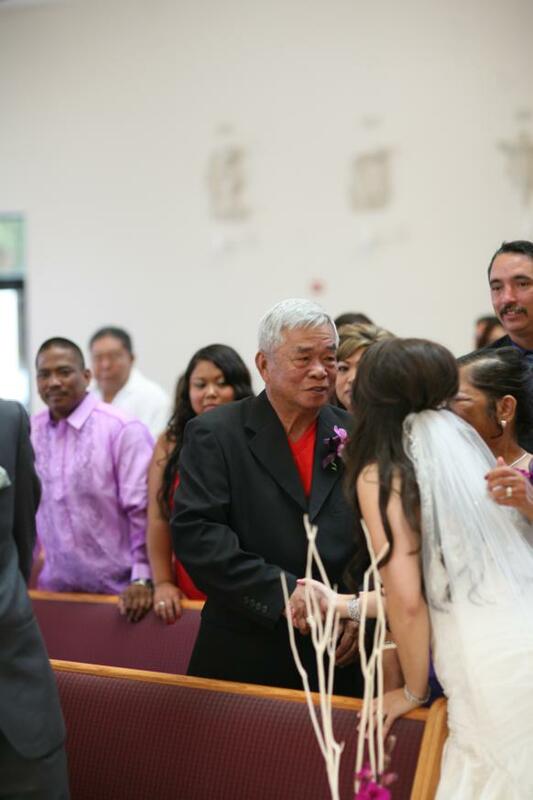 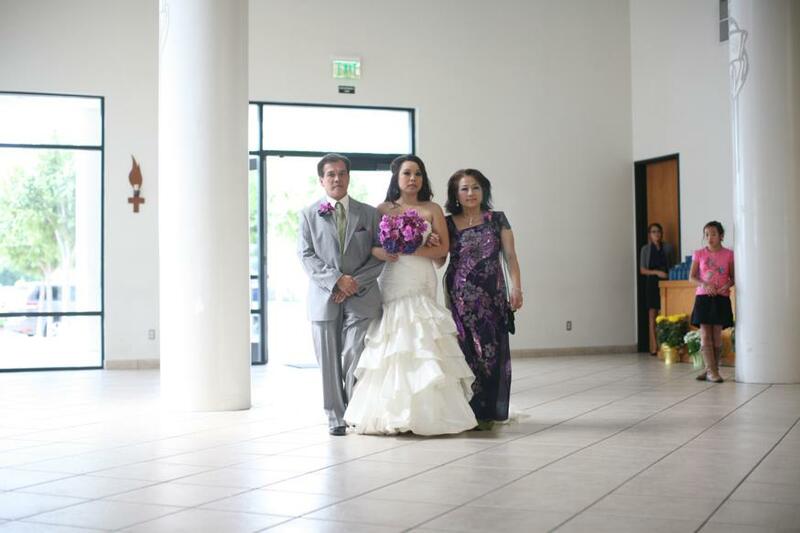 I wanted to include both my parents walking me down the aisle because they both had a hand in raising me and it’s NOT just my dad giving me away but my mom as well. 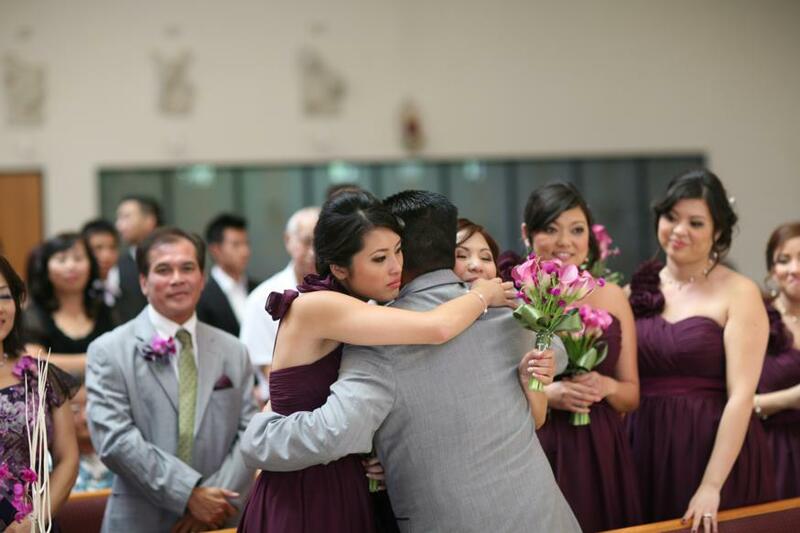 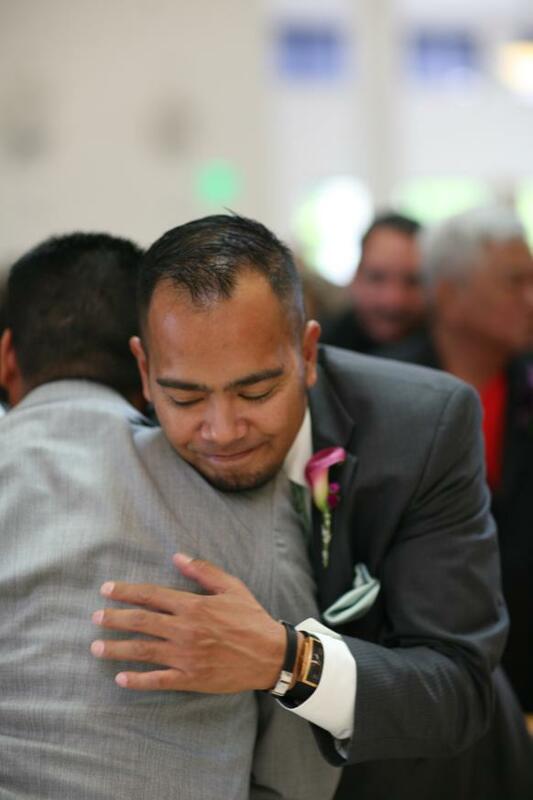 I knew Renrick was going to be emotional…got me all choked up when I saw him but I held it in…I wanted to take everything in. 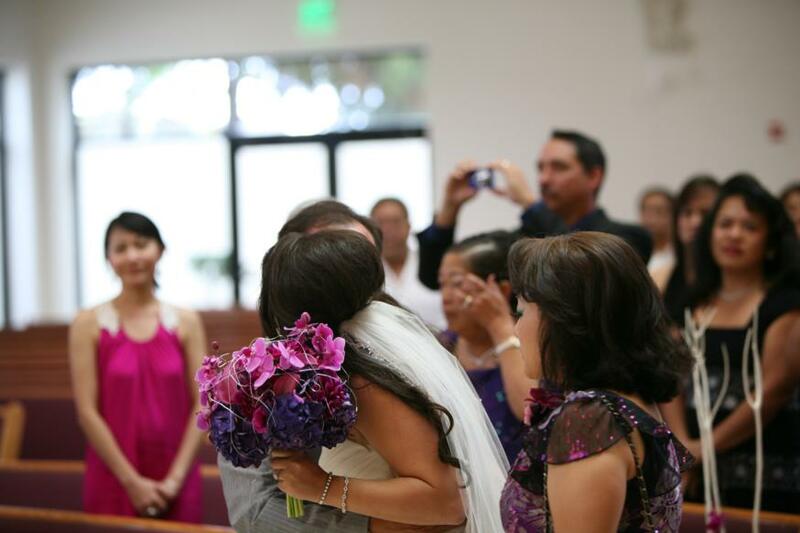 Breathe in…Breathe out…This is what I kept telling myself or I would’ve broken down in tears. 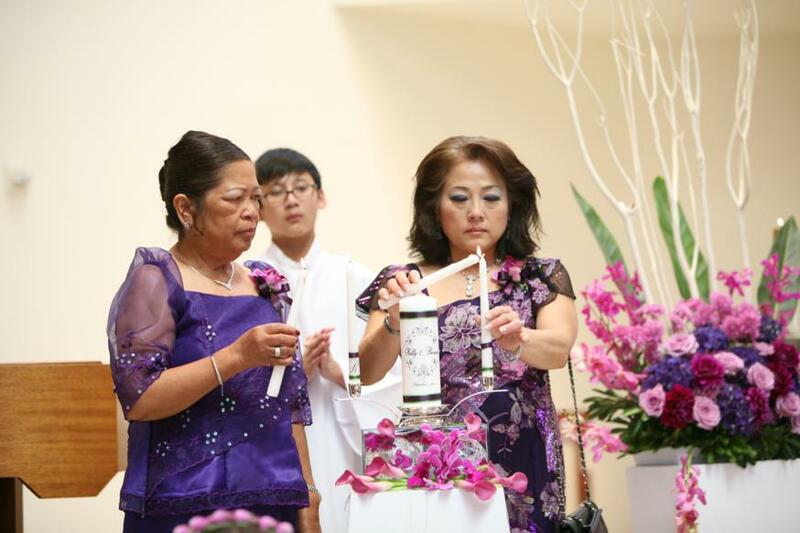 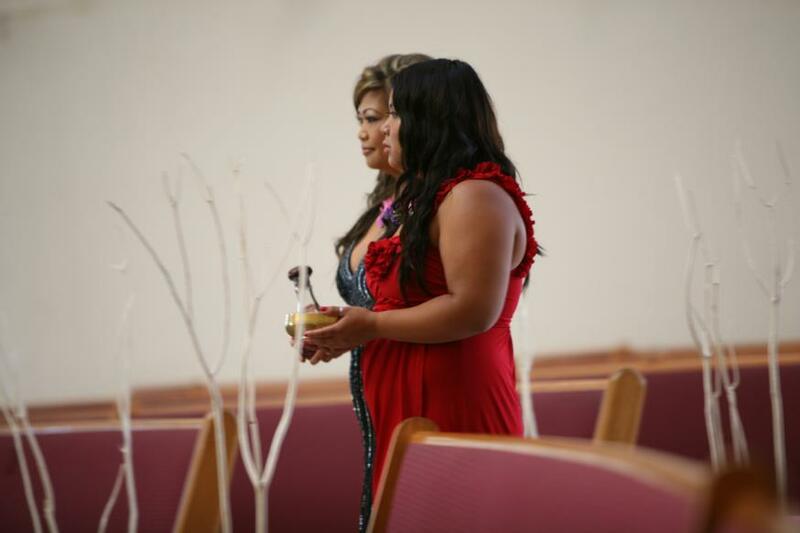 Our mothers lighting our candles. 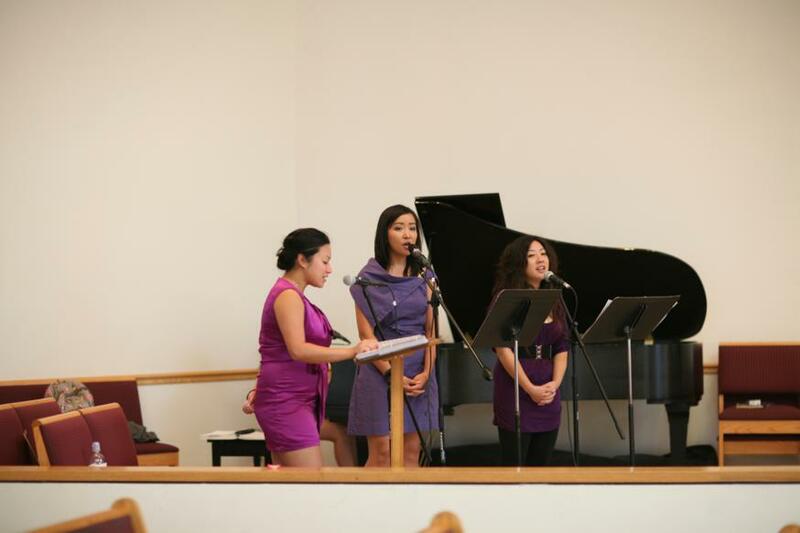 Tweena, Vivian and the girls did sooo good at all the singing! 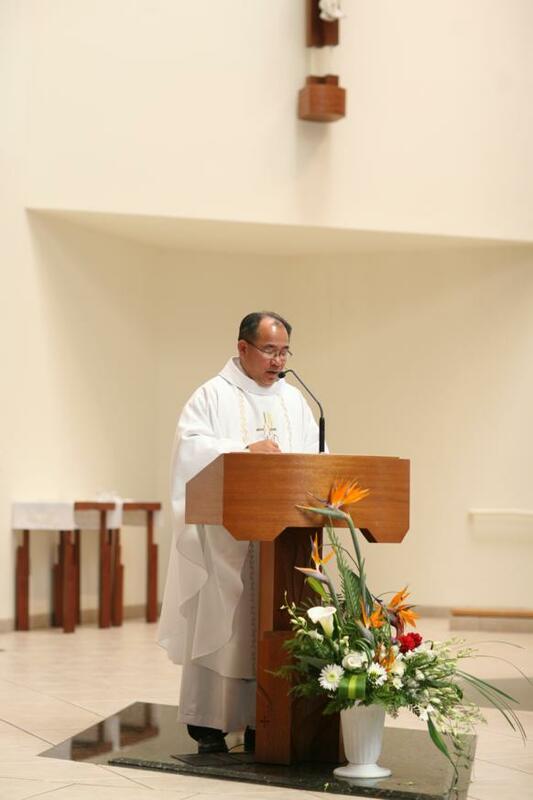 We love Fr. 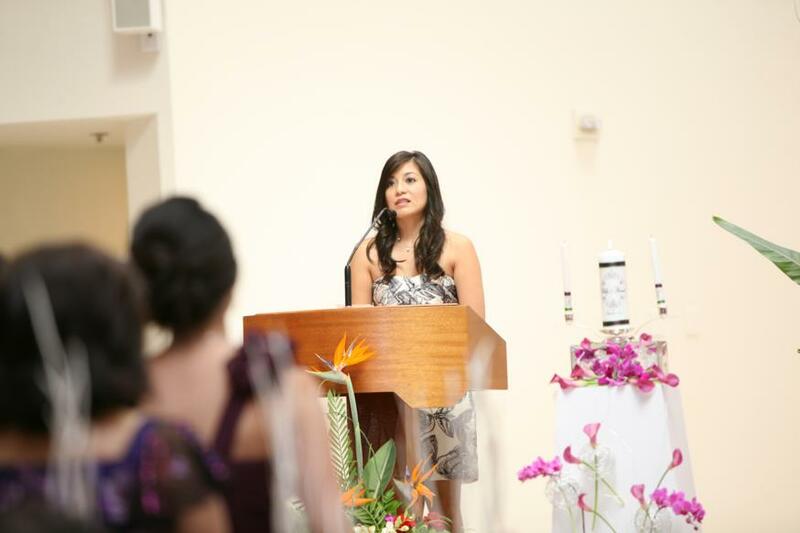 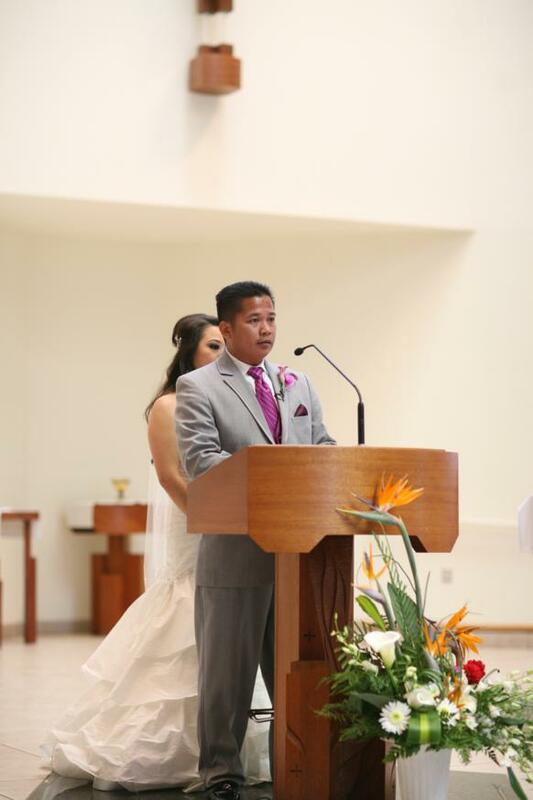 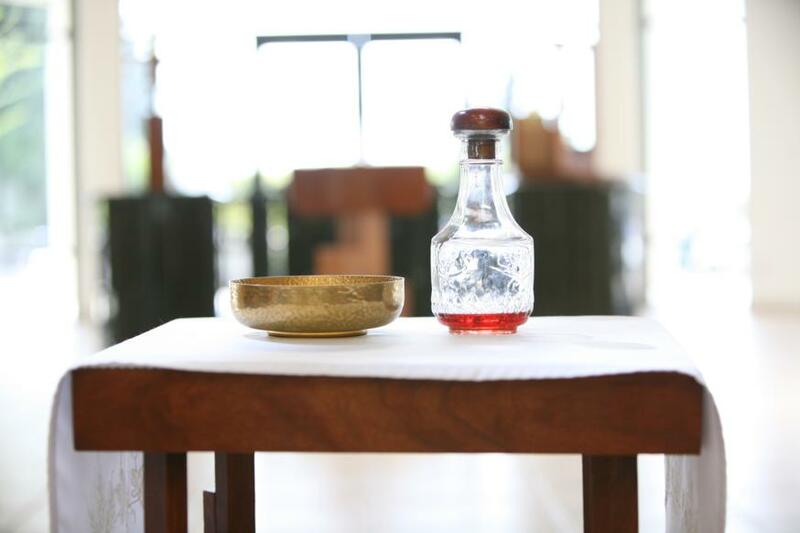 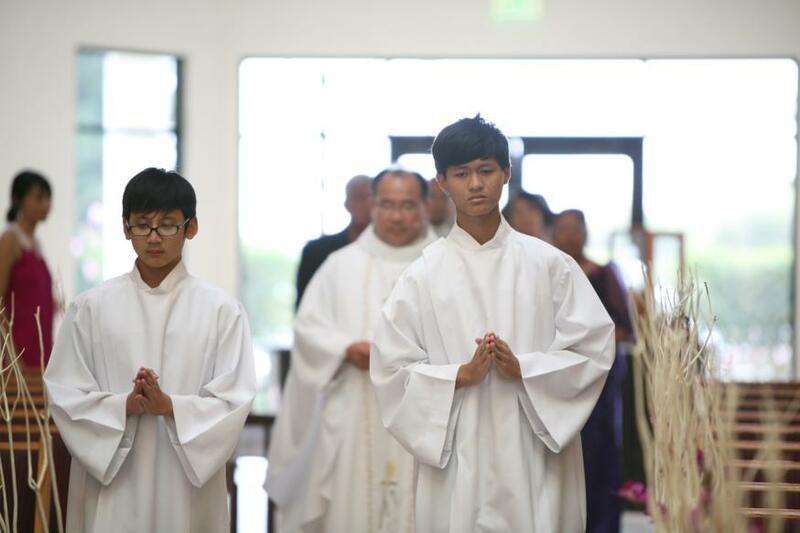 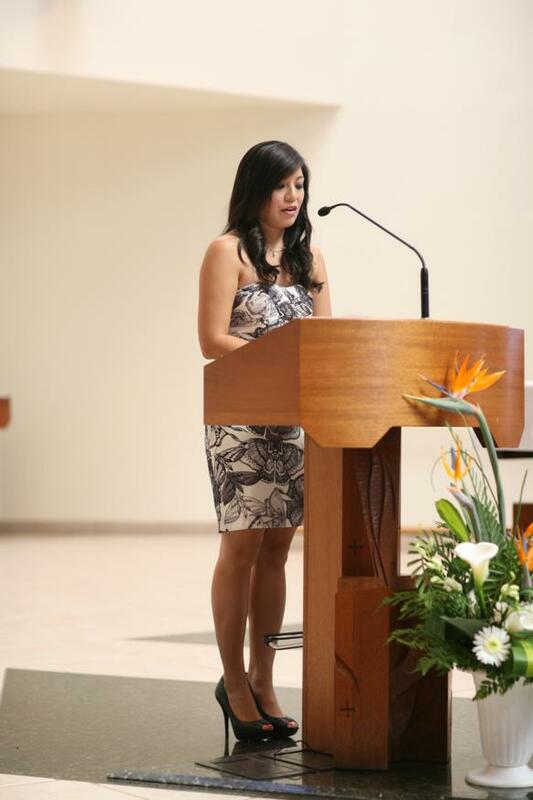 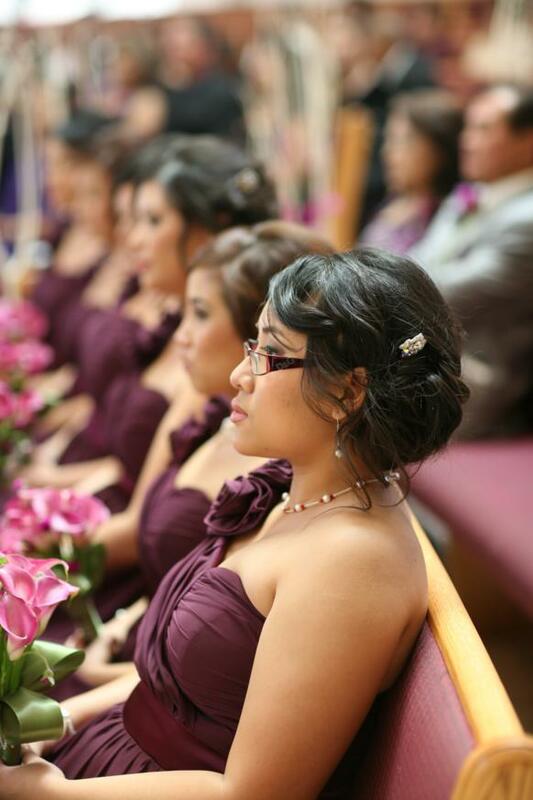 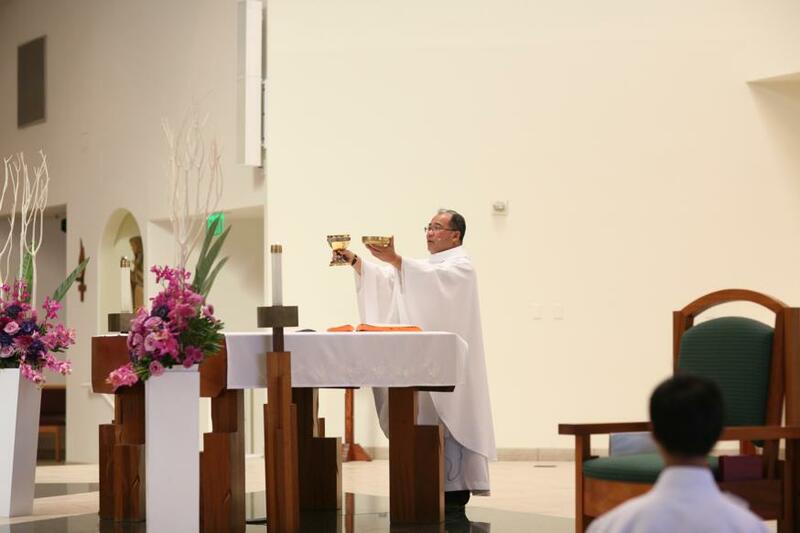 Tuyen’s homily. 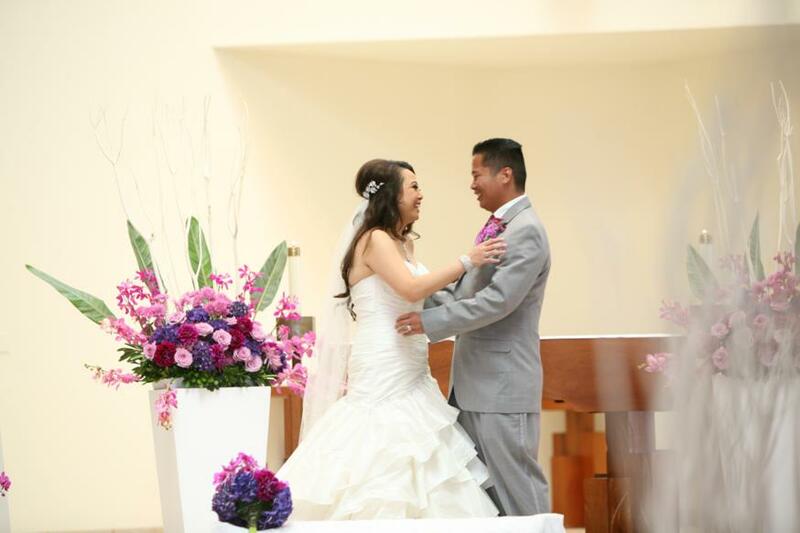 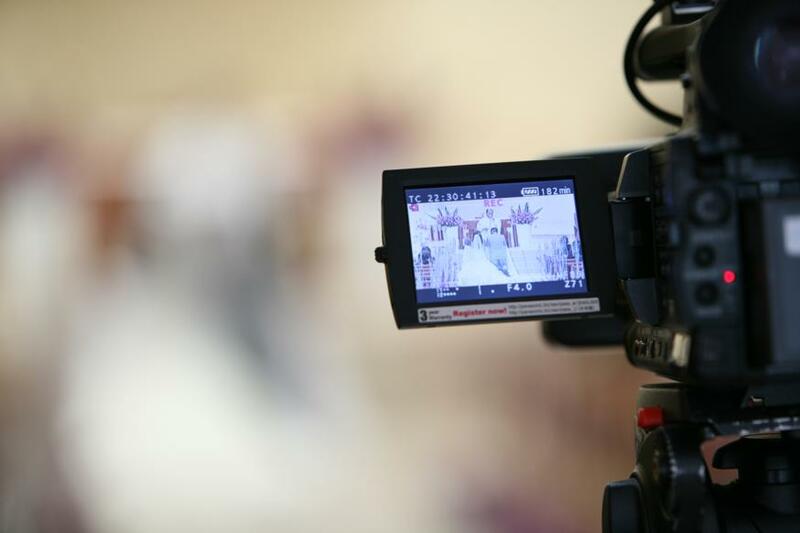 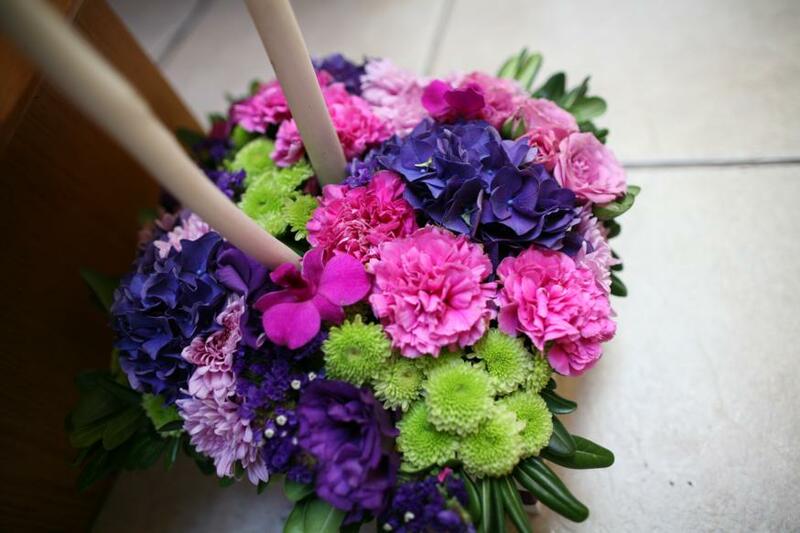 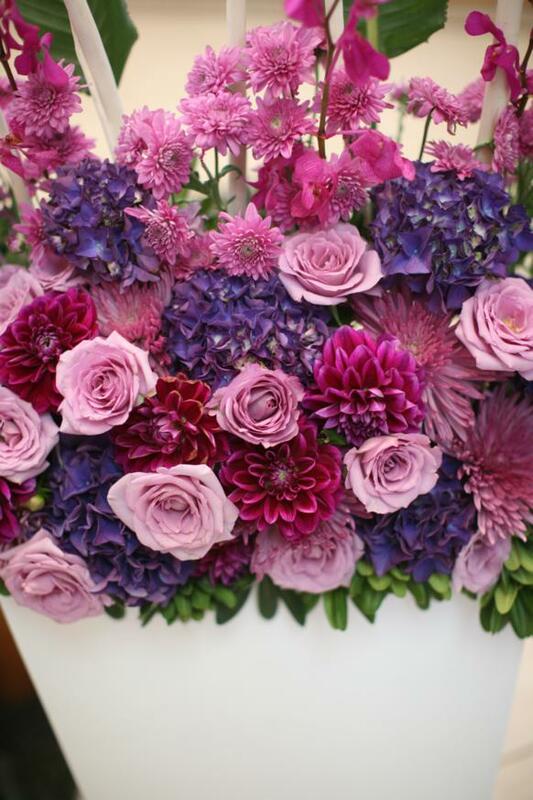 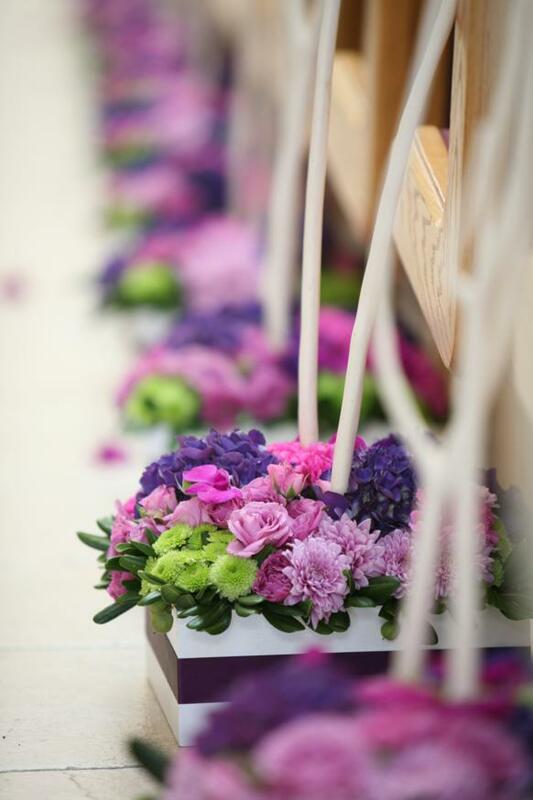 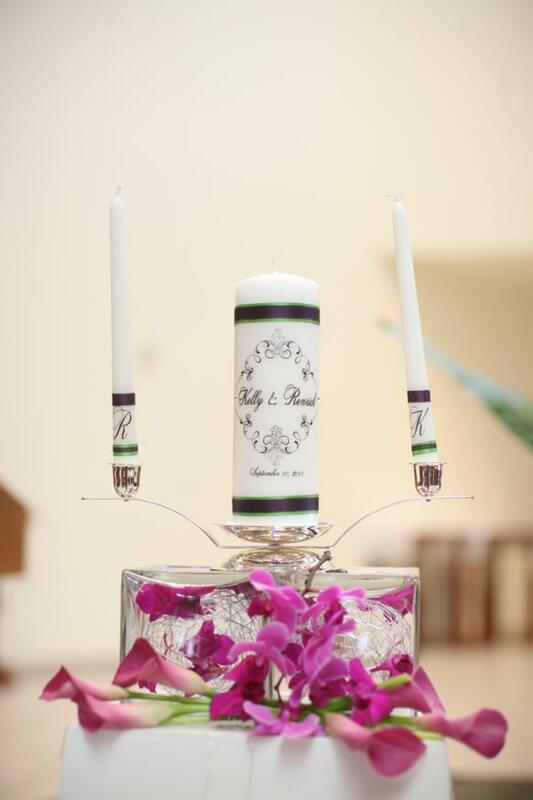 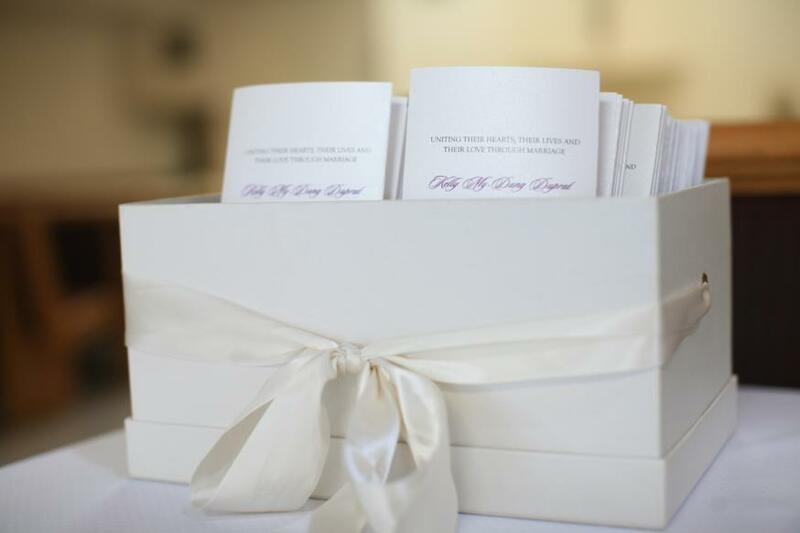 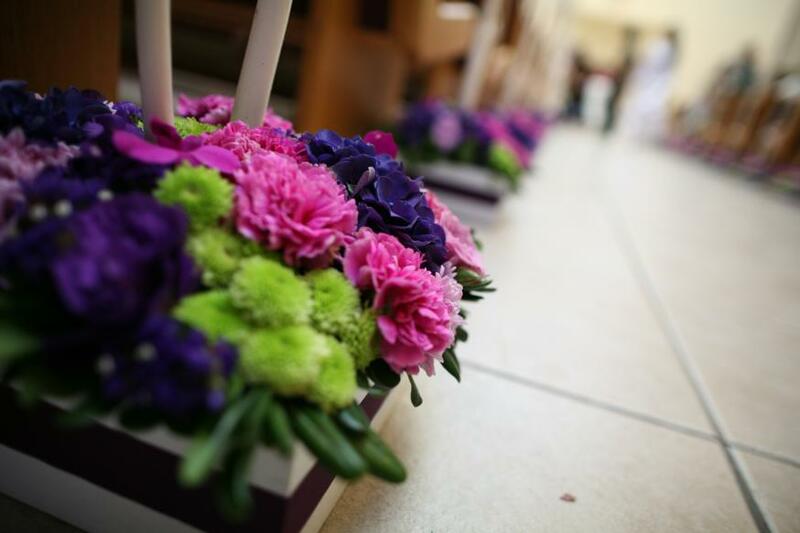 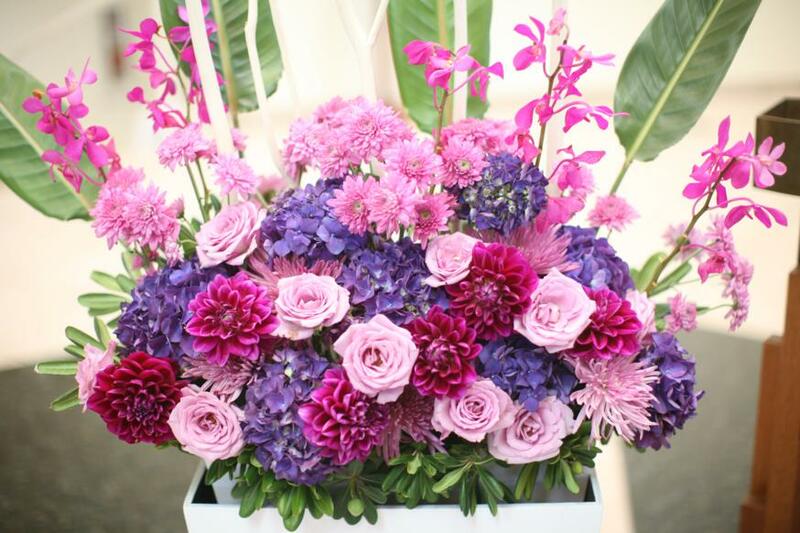 It was so full of joy, humor and very inspiring for newlywed couples. 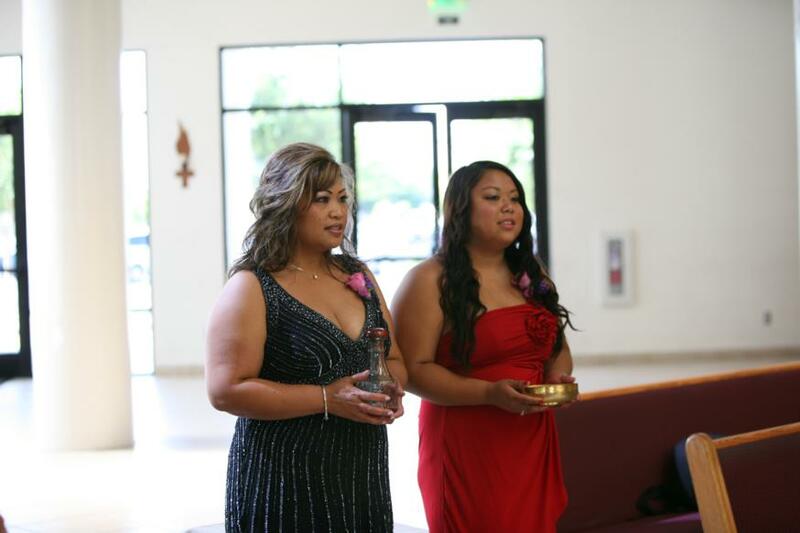 For the Presentation of the Gifts, Tweena and the girls sang “Little Wonders” by Rob Thomas. 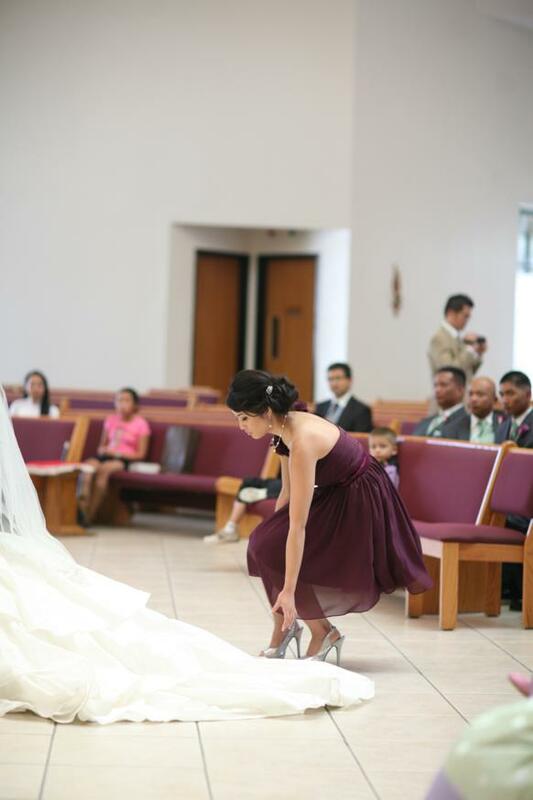 Renrick’s sister and niece were assigned to this task. 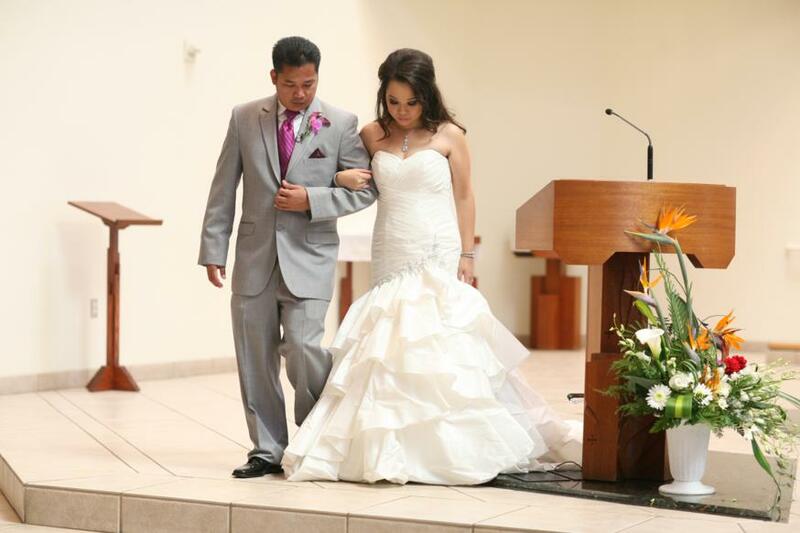 And we are done with the ceremony! 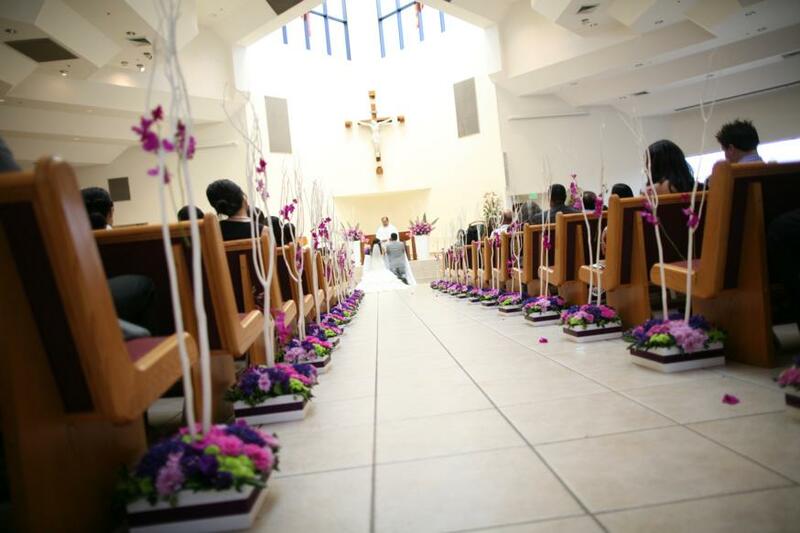 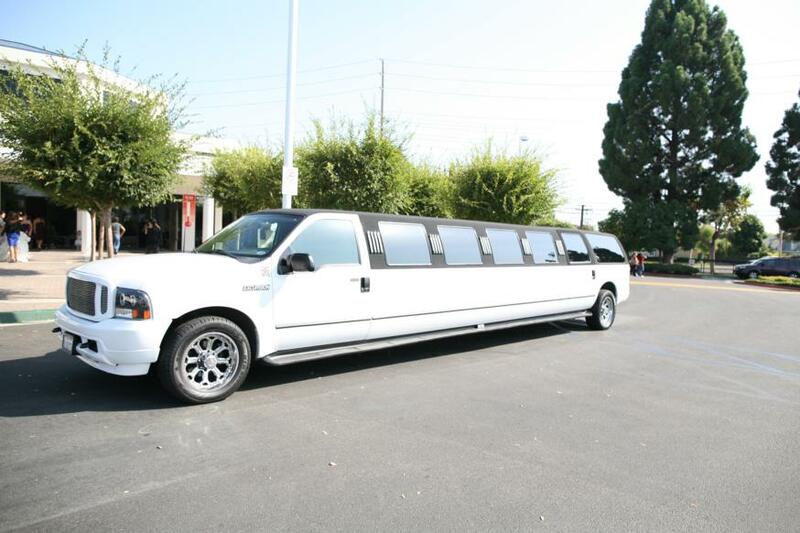 Next stop, reception to finish setting up and party! 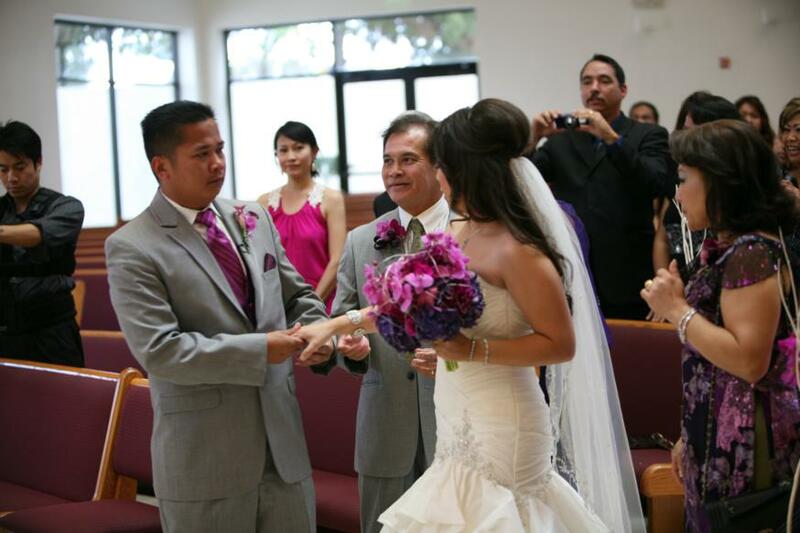 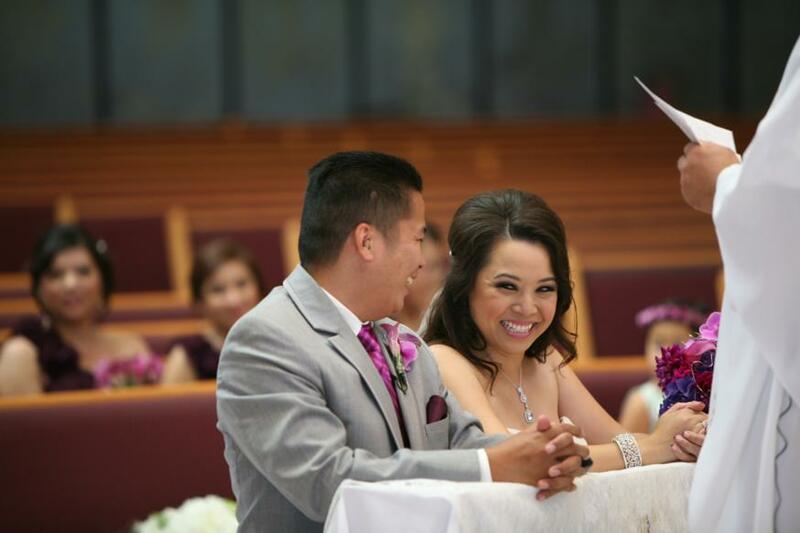 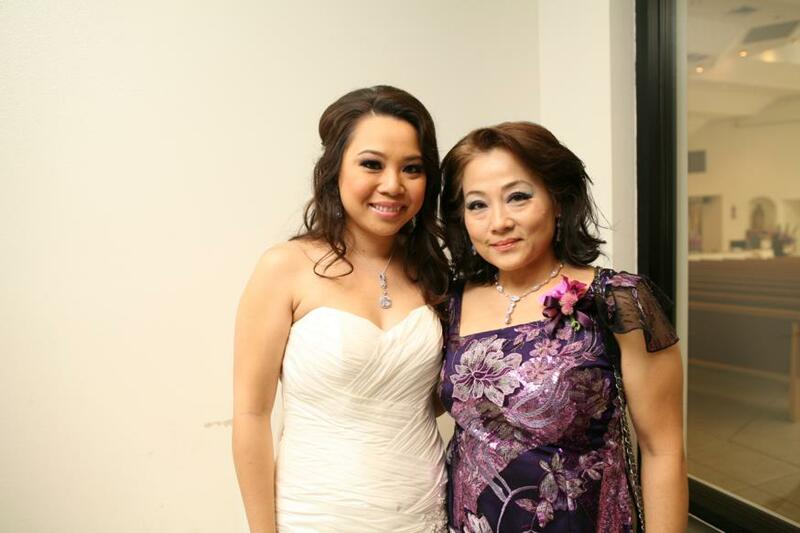 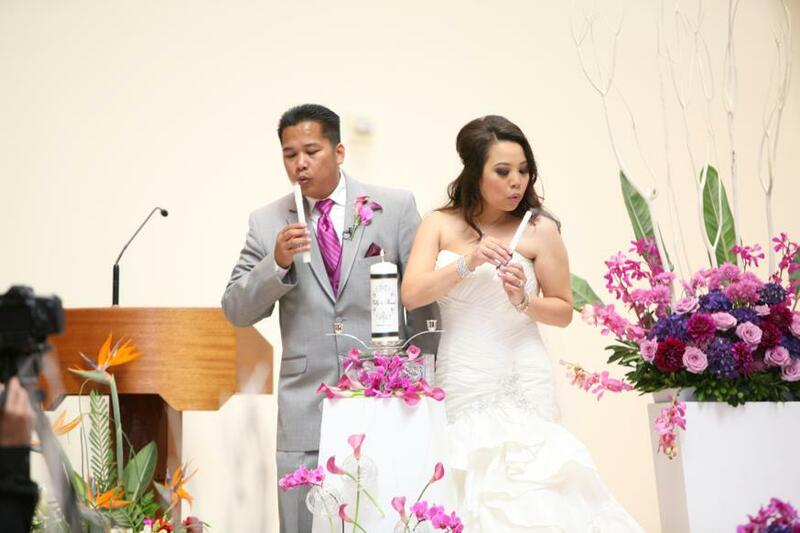 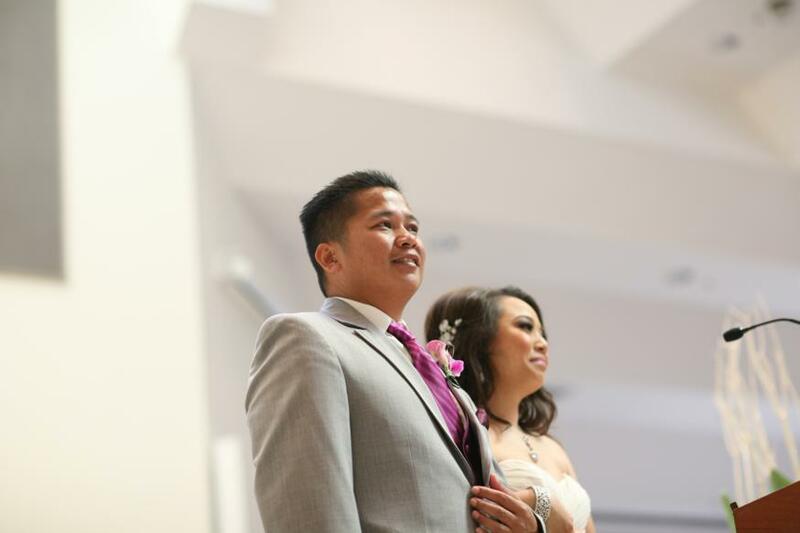 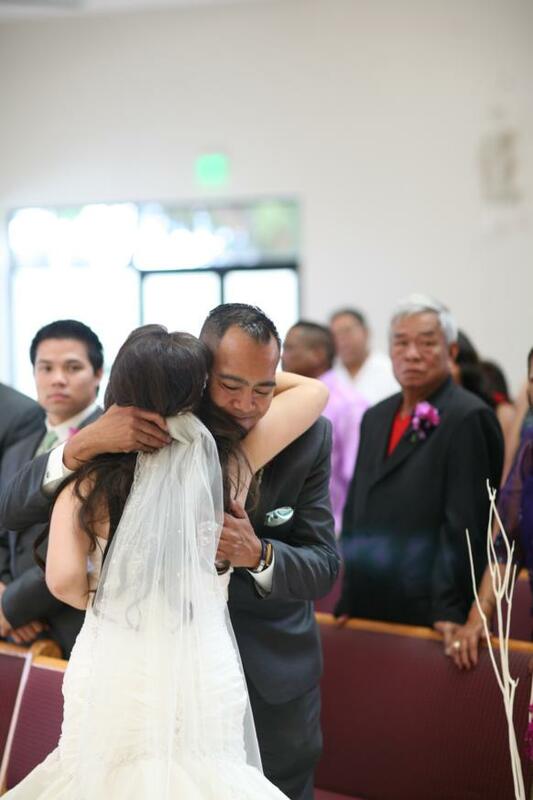 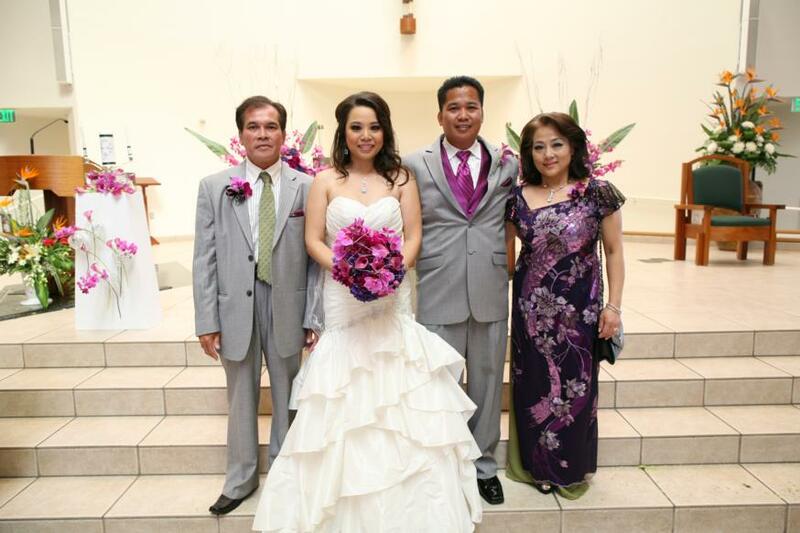 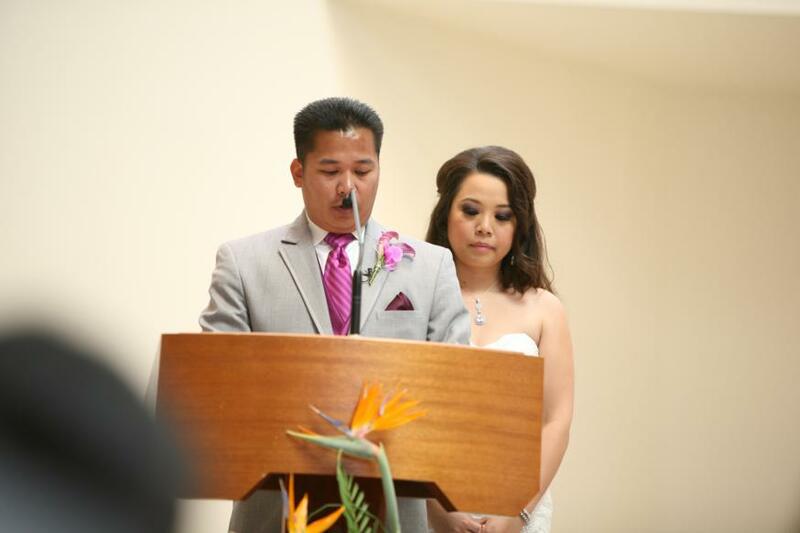 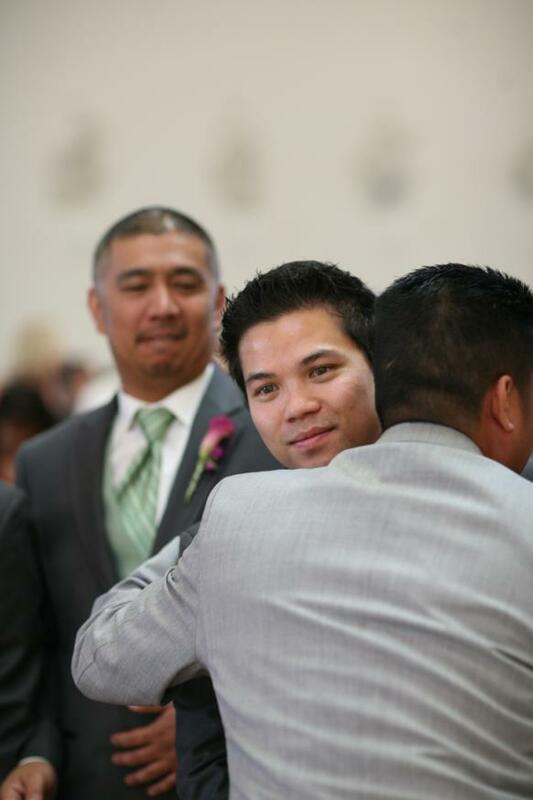 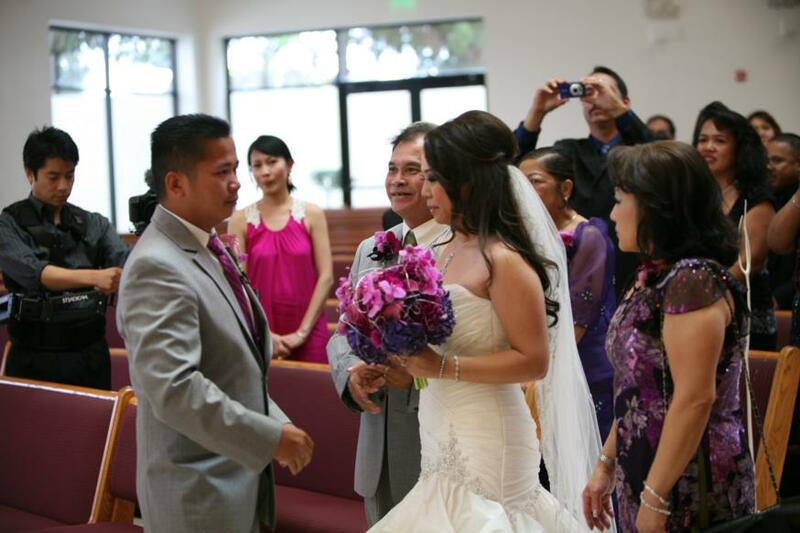 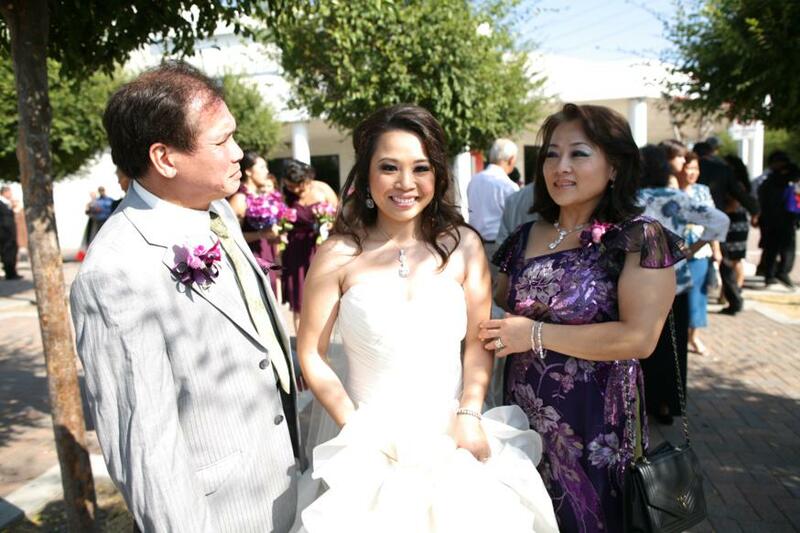 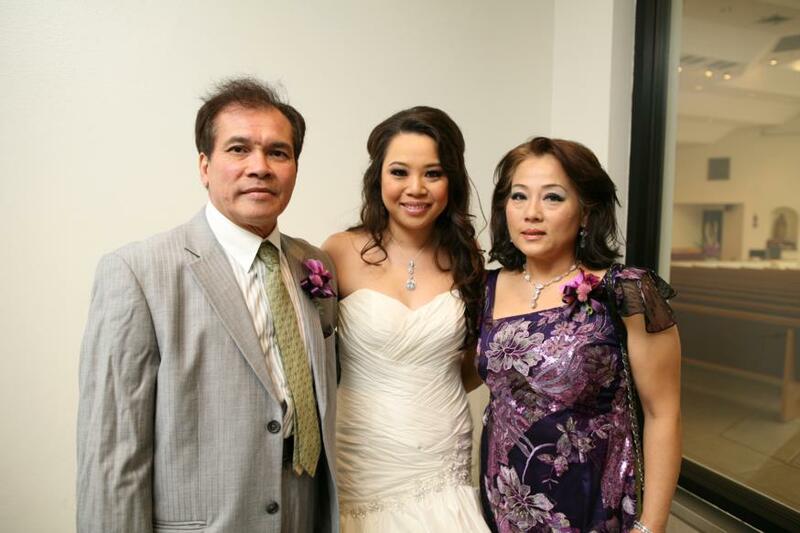 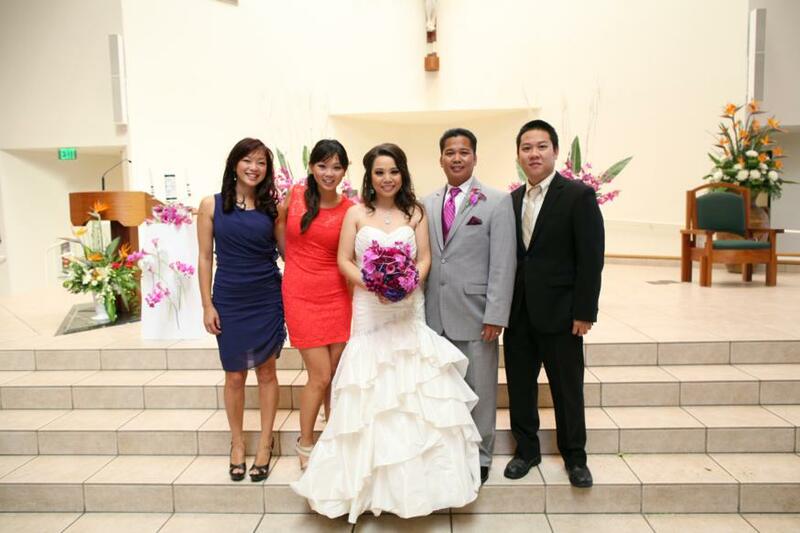 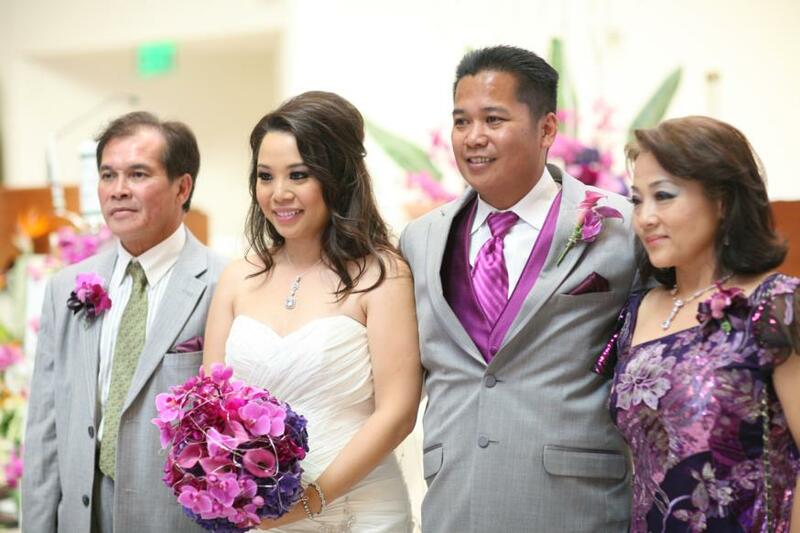 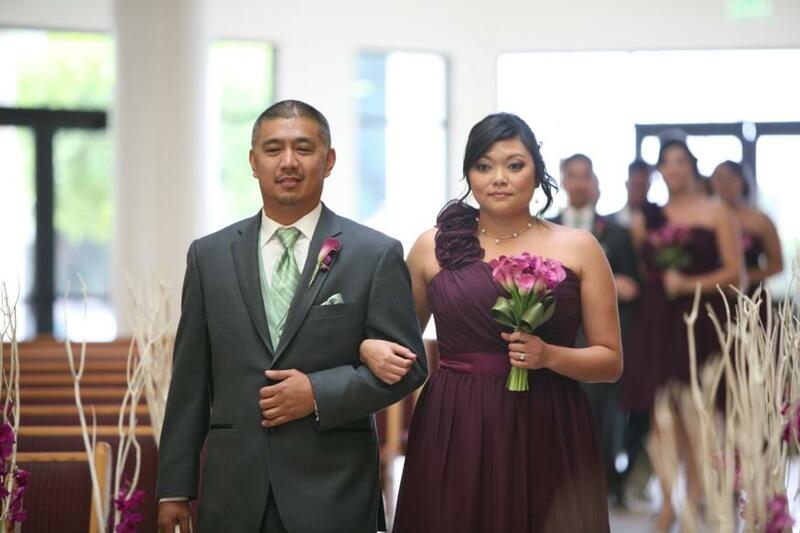 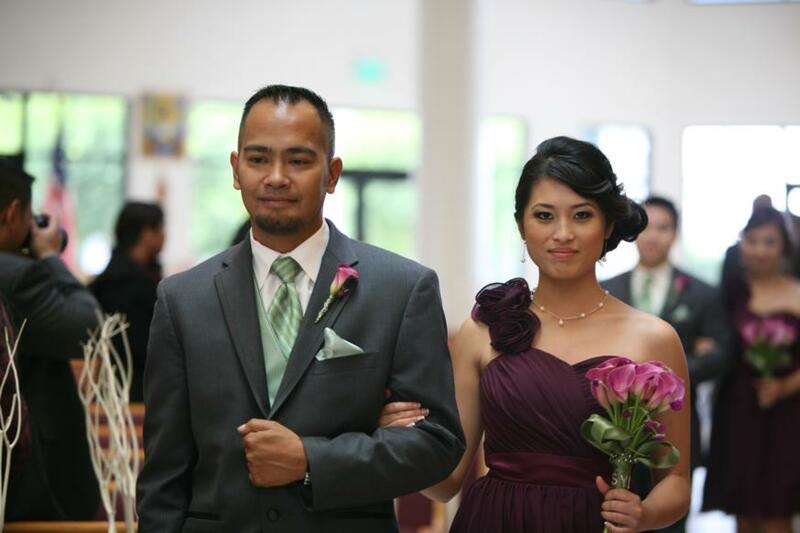 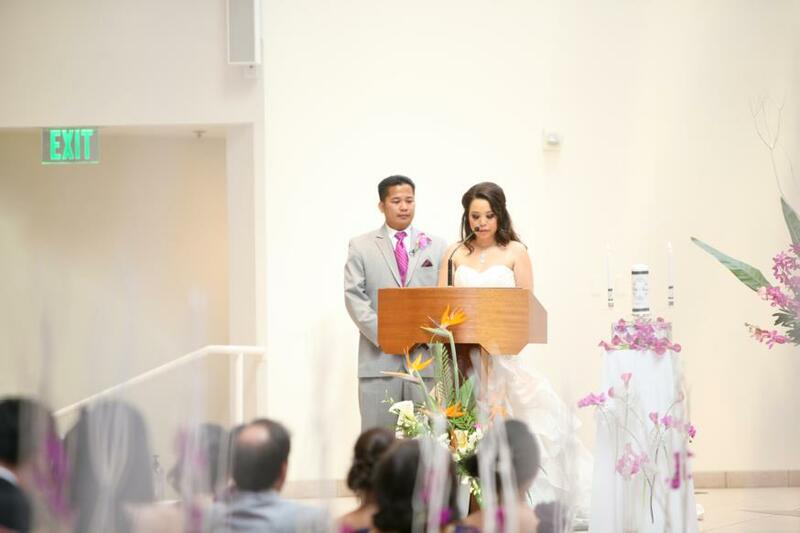 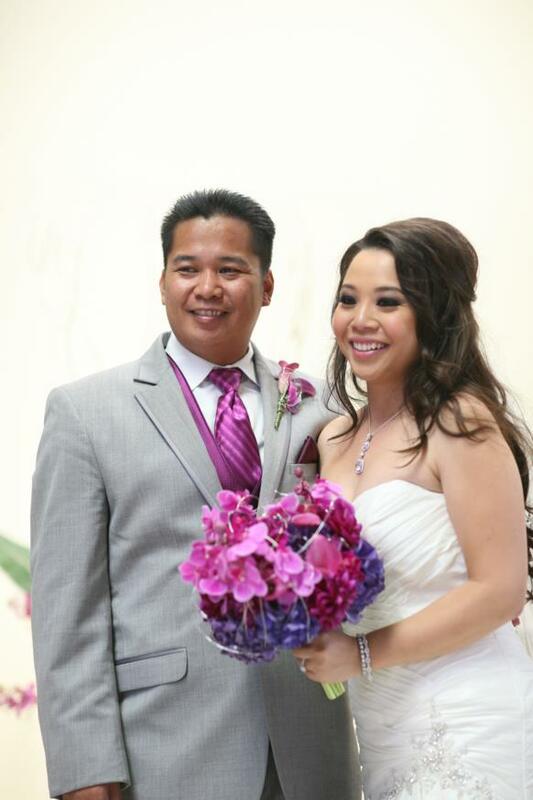 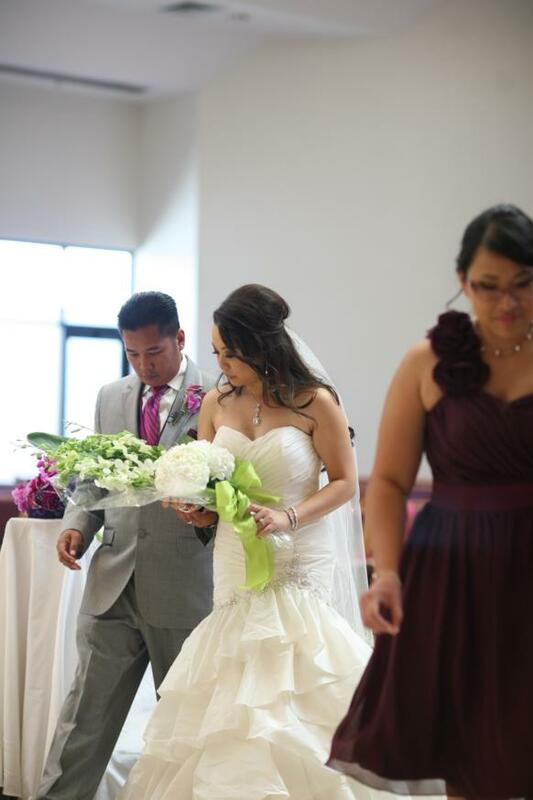 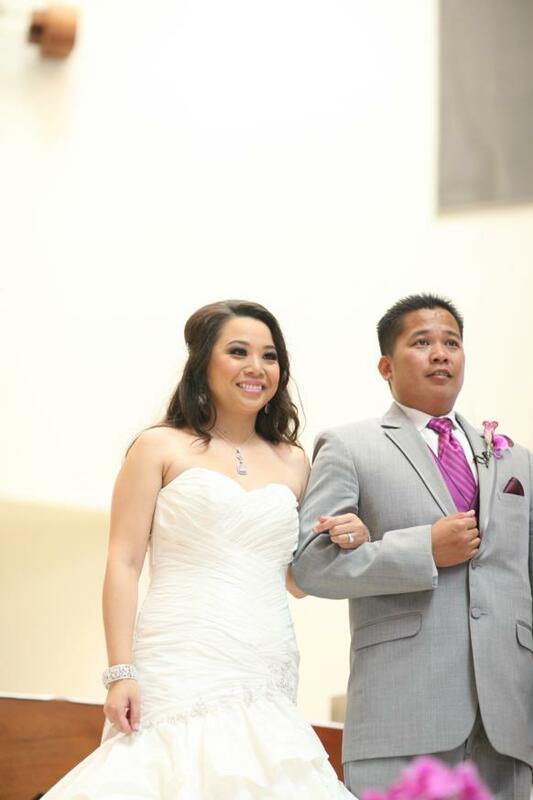 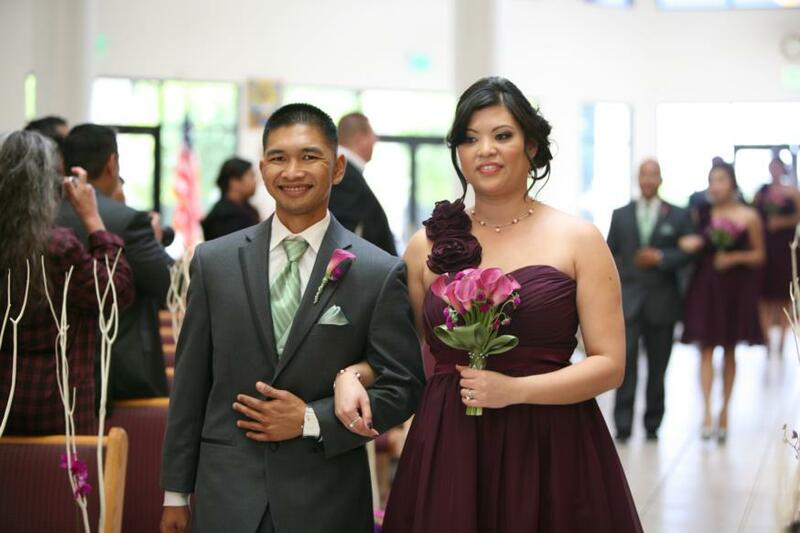 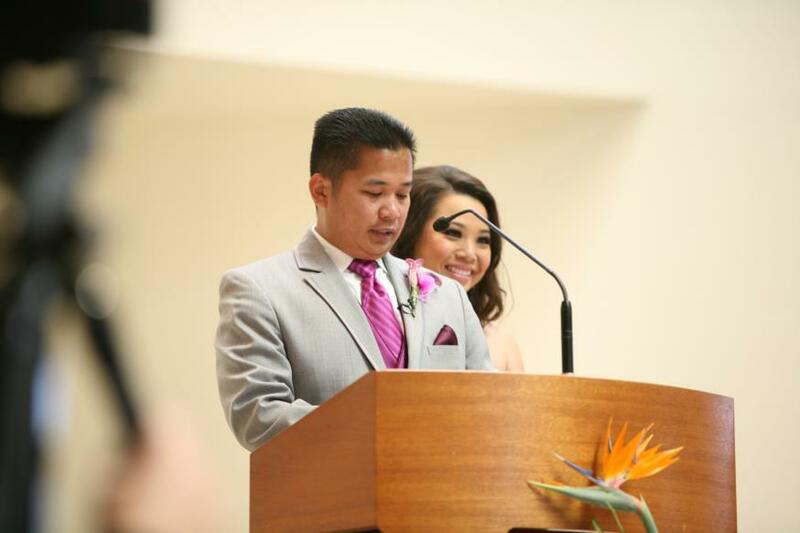 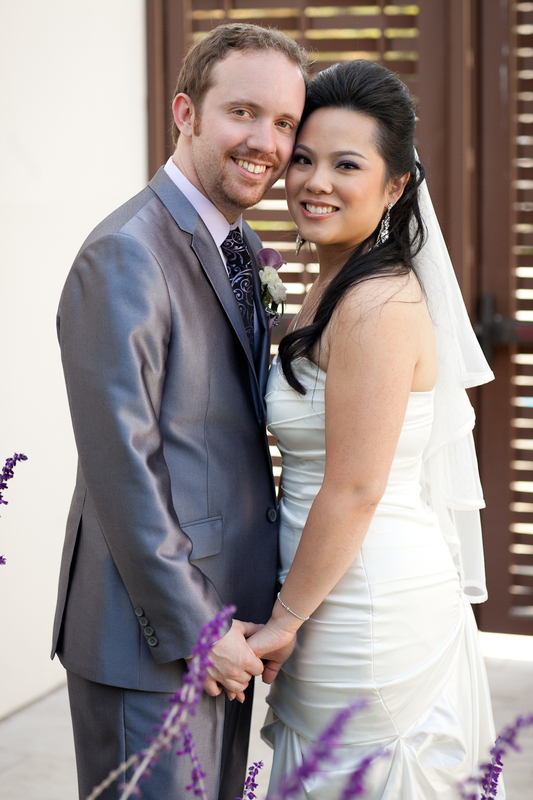 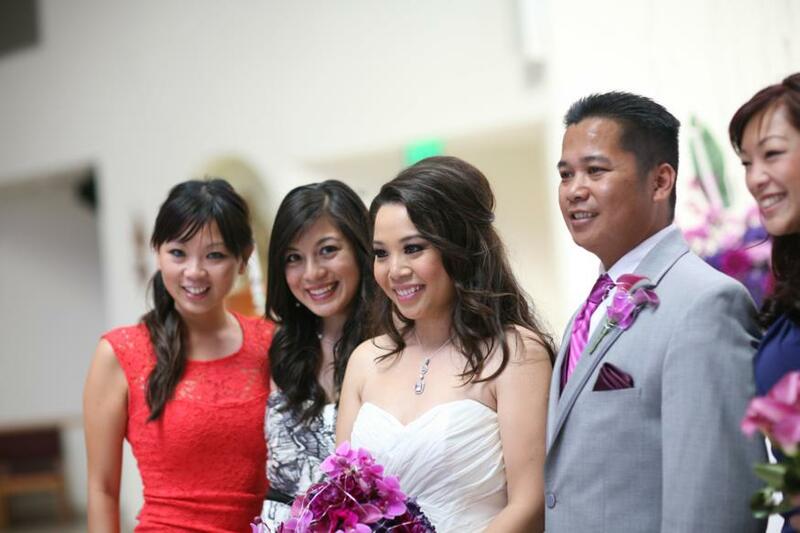 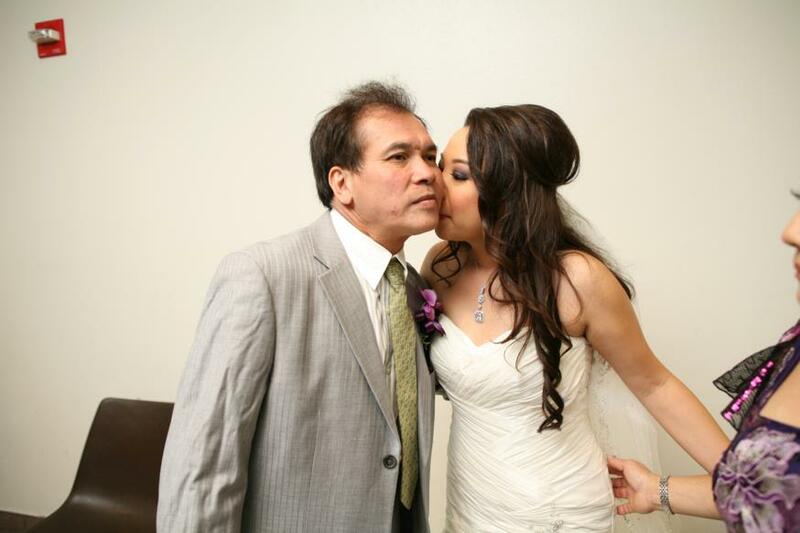 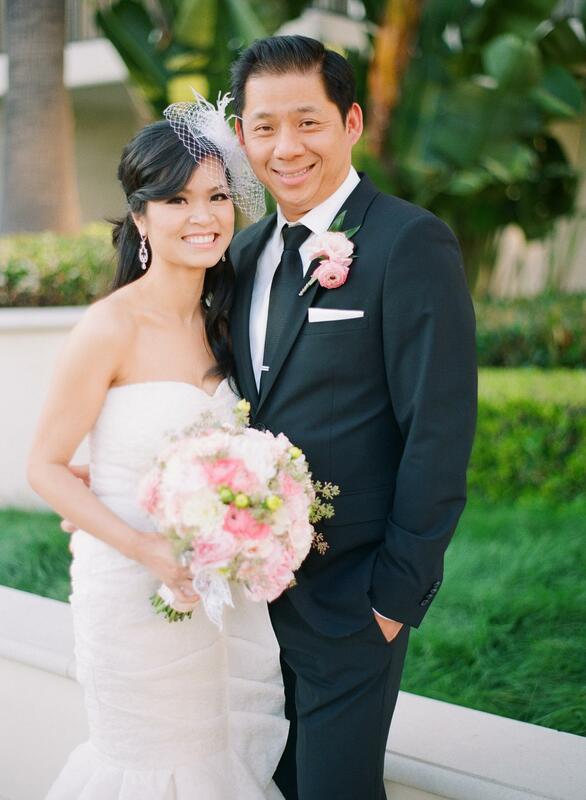 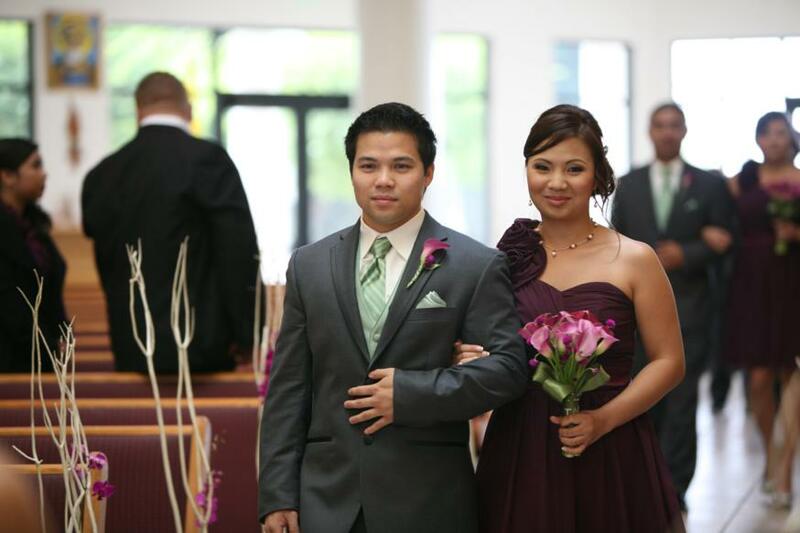 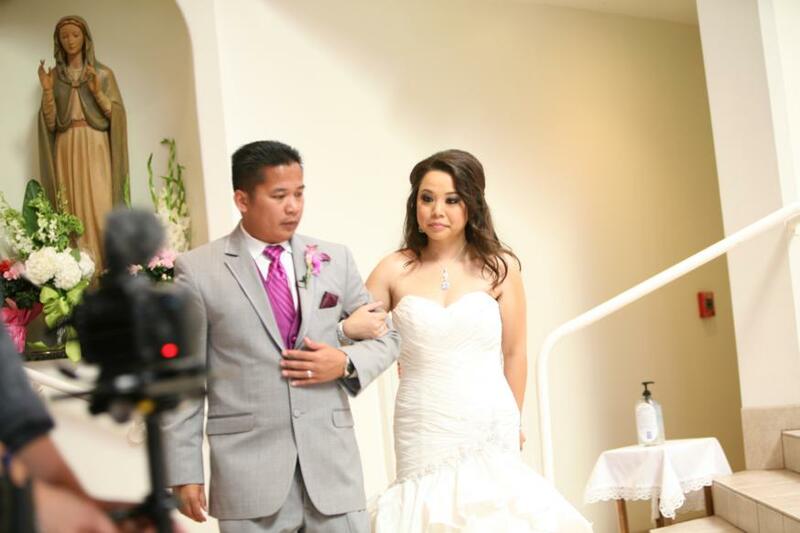 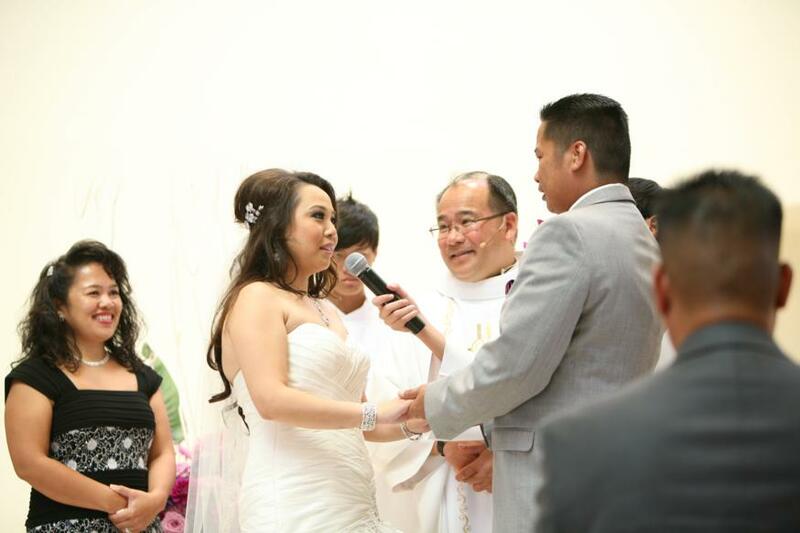 Happy 1 Year Anniversary Thuy and Andy!